The review was updated and the recommendation changed due to a misunderstanding about the case's capabilities. I initially inferred that the case was simply water-resistant, but in actuality, it's waterproof. Incipio sent me the TheMintGardener versions of this case, which are the exact same as the Oh Joy! ones, but with different designs. Here are some pictures. 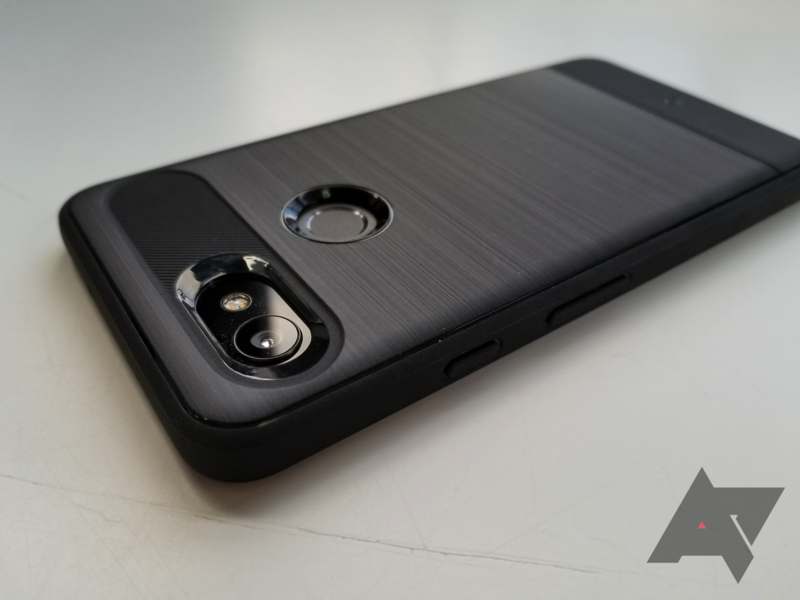 This roundup will feature a wide variety of cases from several different manufacturers. We'll dive into the pros and cons of each case, then award it a letter grade for easier perusal. 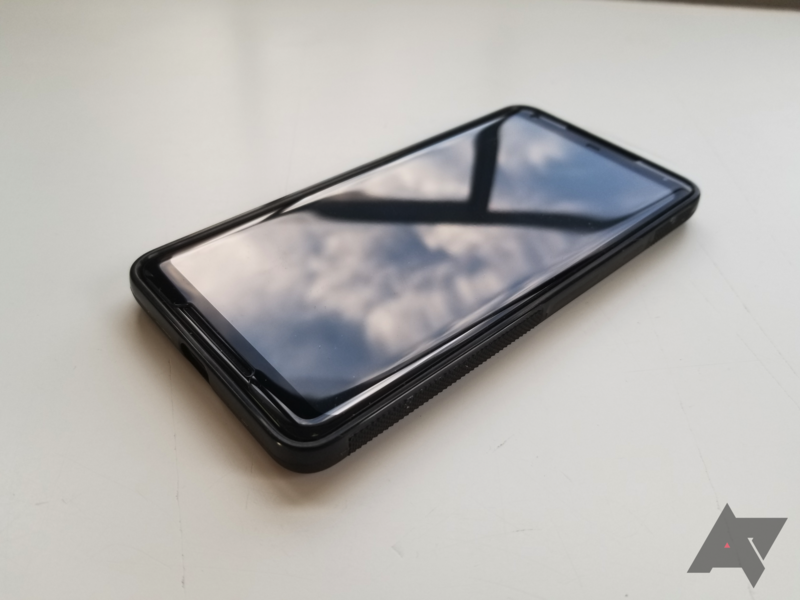 Also included will be reviews of whatever screen protectors we come across, as those are sure to be pertinent to the kind of person who's reading this in the first place. We plan to continuously update this post with new reviews as more cases come in. If there's a particular case you'd like to see reviewed, let us know in the comments section and we'll do our best to get one in for review. These are alphabetically listed for easier perusal; the order does not in any way reflect our preferences. You may have heard of Bellroy before if you've been in the market for a wallet or a backpack. Lately, though, the company has been branching out into tech accessories, including a sleeve and 'Pen Clip' for the Pixelbook. 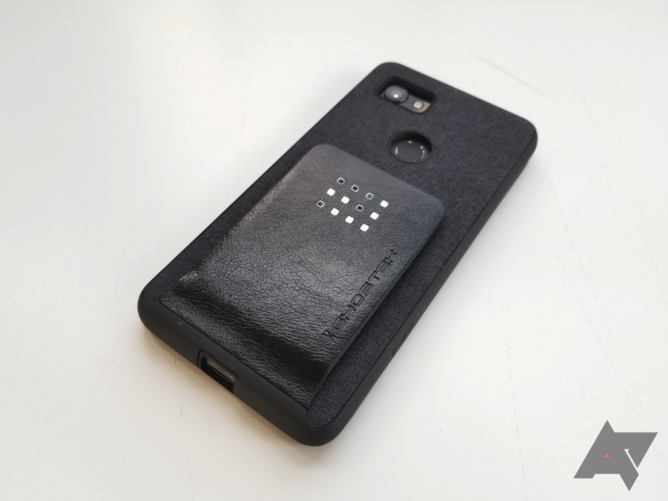 As part of its collaboration with Google, Bellroy is also producing leather cases for the Pixel 2 and Pixel 2 XL. These sound great on paper, but unfortunately, they're a complete and utter letdown. Design It looks good, so long as you don't have to actually touch and use it. Fitment It feels like it's too small for the phone, and the buttons are extremely hard to use with it on. Materials The leather is rock-hard and basically feels like cardboard. Price At nearly $50 a pop, I'd expect nothing short of perfection. Protection The bottom is exposed, and there's little to no lip on the front. As a big fan of Apple's leather cases, I was excited to check out what Bellroy had in store for the Pixel 2. 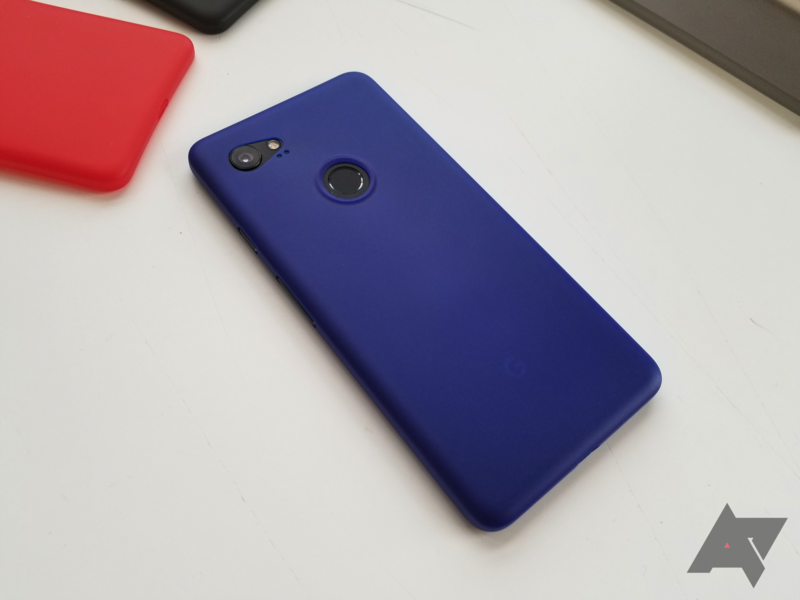 Since these ~$50 cases are sold on the Google Store and the packaging proudly sports the 'made for Google' designation, you'd imagine that the case would be at least halfway decent, but I'm appalled at how poorly it's made. 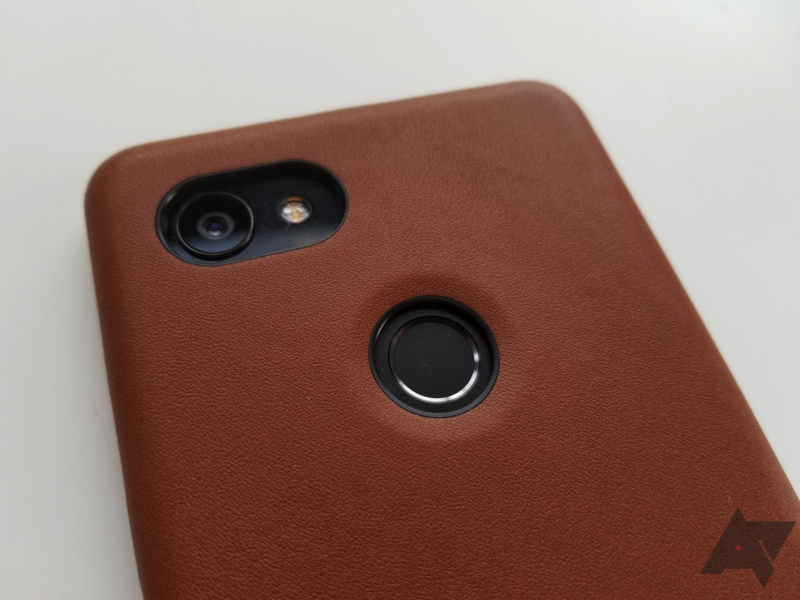 For starters, the main selling point of the case - the leather - feels like cardboard. If someone on the street randomly handed me this, I'd think it were faux leather. It's rock-hard, and there appears to only be a thin layer of it. Adding onto the crappy feel is an extremely cheap-feeling black frame that is the opposite of confidence-inspiring. The bottom is left wide open, and the lip on the front is almost nonexistent. It gets worse when you put the case on your phone. There are no buttons, only cutouts. This is fine when executed properly, like on the Spigen Thin Fit, but Bellroy has made the phone's buttons a royal pain to use by literally just putting holes where the buttons on the phone are. Additionally, the case itself feels like it has to stretch to actually fit the phone. Again, not confidence-inspiring. From what I can tell, the only aspect of this case that can be considered 'premium' is the microfiber lining inside, but that's minuscule in the grand scheme of things. I'm legitimately confused how this case made it past the drawing board. It's horrible in every single measurable way, and yet Google wants $49 for one (or $45 for the standard Pixel 2). It simply oozes cheapness. 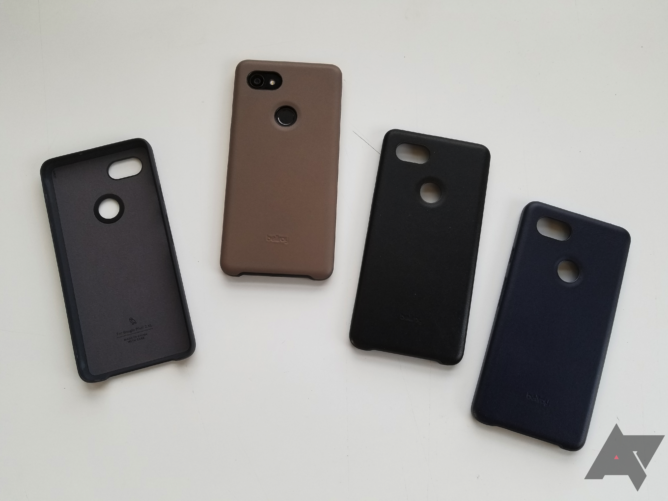 If you do want to pick one up for whatever reason, the Bellroy leather case is available in four (admittedly pretty good-looking) colors: Black, Navy, Caramel, and Stone. Recommendation: Don't buy it under any circumstances. Carved has been around for a while, but I haven't had the chance to try one of its cases out until now. 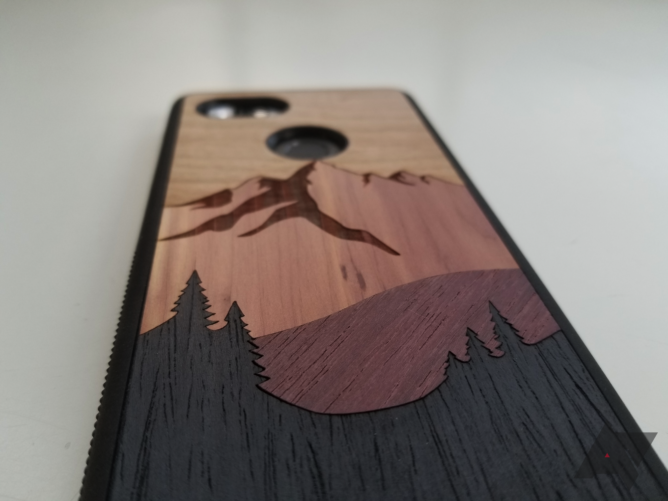 I opted for the Mount Bierstadt Inlay option, which features an intricate design on the back in the shape of - you guessed it - a mountain. While the wood is very nicely done, I have mixed feelings about the overall quality of the case. Materials The wood seems high-quality, and the design is very detailed. Protection Every corner and edge is protected by the grippy frame. Buttons They're little more than a differently-textured segment of the frame, and it's very easy to press the wrong thing. Materials (again) The premium wood back is thrown off by the cheap-feeling frame. When you open the packaging, you're greeted with the wood back facing you and a strong wood smell. I'm no woodworker, but the back definitely seemed very well-done. The design is very intricate, with the mountain in the background and some trees and a hill up front. The pieces fit together perfectly, and there are no real sharp edges. I don't see any way the woodwork could be improved. Interestingly, the inside portion of the back is hard plastic, which is probably necessary for the wood to adhere. However, the rest of the case is not nearly as nice. While it is protective, it feels fairly cheap, like one of those $1 cases you'd buy off Alibaba. Half of it is glossy and half is matte, with textured grip areas going up and down the sides. The buttons are a major issue, as they're raised from the rest of the case about half a nanometer. The texture on them is slightly different, but it's not enough to make them stand out when you're just trying to raise or lower the volume. I hit the wrong area when trying to press a button quite often while using this case. At least the cutouts are precise. Should you buy one? If you can look past its shortcomings, the wood inserts are truly unique. My Mount Bierstadt Inlay version will run you $39, but they range all the way from $24 for a plain wood back to $55 for one with a seahorse. Given the craftsmanship of the backing, I'd like to say that pricing is reasonable, but I was personally let down by the lackluster frame. Check out all the selections on Carved's site to see if there's a design that really draws you in. Recommendation: Buy one if the frame won't bother you. 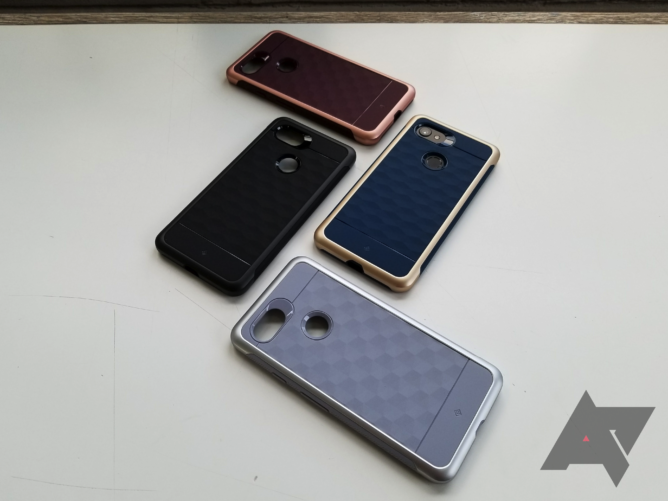 If you're looking for protection and relatively good looks on a budget, you may be considering Caseology's Legion to install on your shiny new Pixel 2 or Pixel 2 XL. Like its very noble-sounding name suggests, it's a strong, protective case. It's also pretty good-looking, though it isn't without a few minor flaws. Price You'll pay just $14.99 for one of these. Edges The case would be more comfortable in the hand if the edges were just a little more rounded. 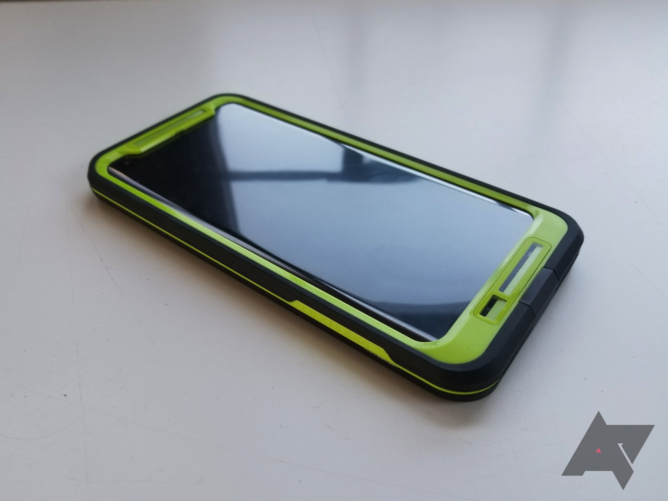 Have you heard of Spigen's Slim Armor and Tough Armor lines? If so, great! You know exactly what the Legion is. The moment I opened the box, I was instantly reminded of those two lines of Spigen cases, albeit without the handy little kickstand. The Legion features a dual-layer design, with a TPU inner layer and a polycarbonate shell around it. This earns it a MIL-STD 810G drop rating. The polycarbonate actually has a subtle soft-touch finish, which is actually quite comfortable in the hand. 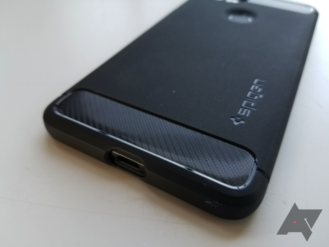 What's not comfortable, however, are the sharp edges that dominate the sides of the case. These edges look good, but they aren't very pleasant-feeling. Rounding these just a little bit would do wonders for the overall feel. Sharp edges aside, the rest of the case is fantastic. The buttons are tactile and easy to push, which unfortunately can't be said of every case. 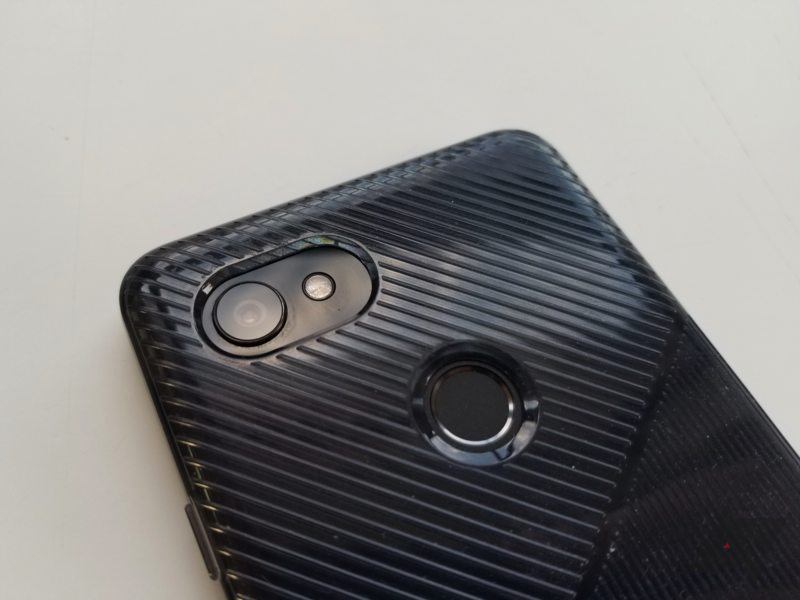 Cutouts for the camera and fingerprint sensor are well-done, and the gloss black accents surrounding them are a nice touch. The Caseology logo is small and subtle, and the little feet on all four corners of the back prevent the back from getting scuffed up when you put it down. 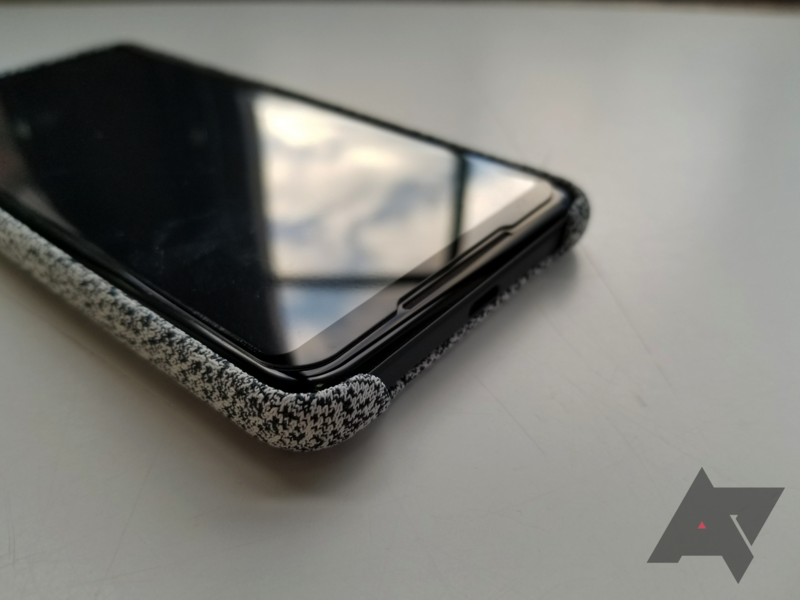 The inside has an interesting pattern to prevent dust from getting squished and possibly scratching your phone up, which an increasing number of cases have these days. The lip is large enough to clear a glass screen protector. 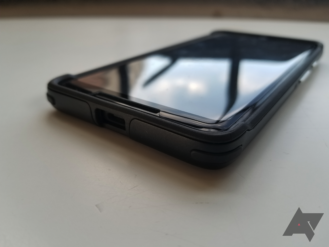 The Legion is a nice case, though I'd personally drop an extra couple buckaroos to get the Spigen Tough Armor for one simple reason: the kickstand. To my eyes, the Legion is actually better-looking, but you can't beat not having to hold the phone up while watching video. If you don't mind that and the slightly crude edges, this is still a great buy. 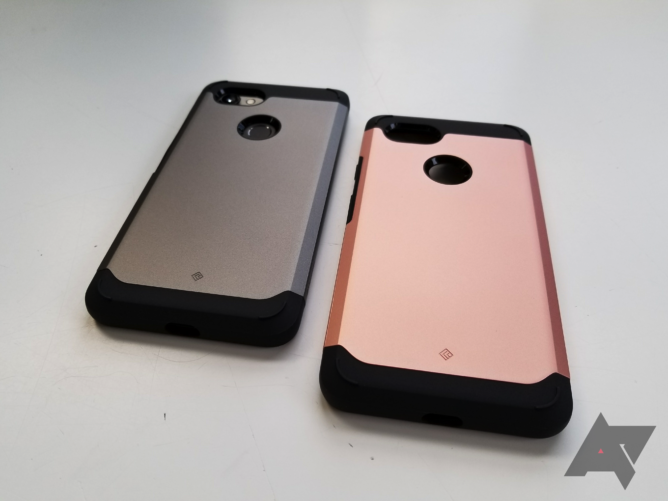 Both the Pixel 2 and 2 XL versions come in 'Warm Gray' (read: gunmetal), though the Pixel 2 has an exclusive white color and the 2 XL has 'Copper Gold' (light pink). Recommendation: Buy it if you don't need a kickstand. The Parallax isn't my favorite Caseology case, but it's still a good one. It's a full $2 more expensive than the Vault (which will be mentioned below) and adds some niceties, including a more interesting texture, several color options, and more. 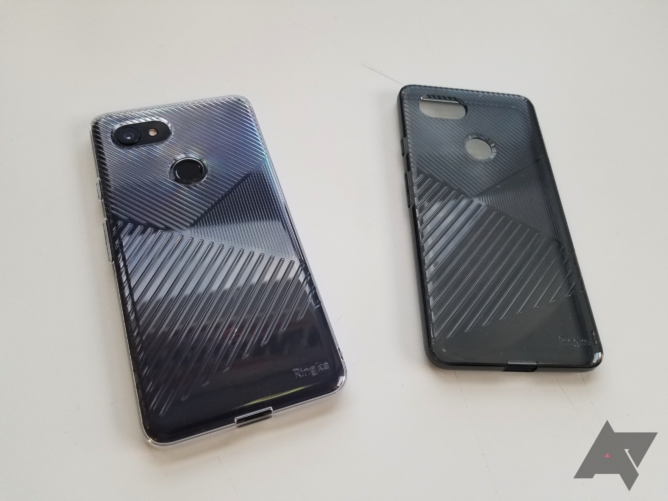 It reminds me a bit of Spigen's Neo Hybrid line thanks to the separable frame, but I'd argue that these cases are a better buy. 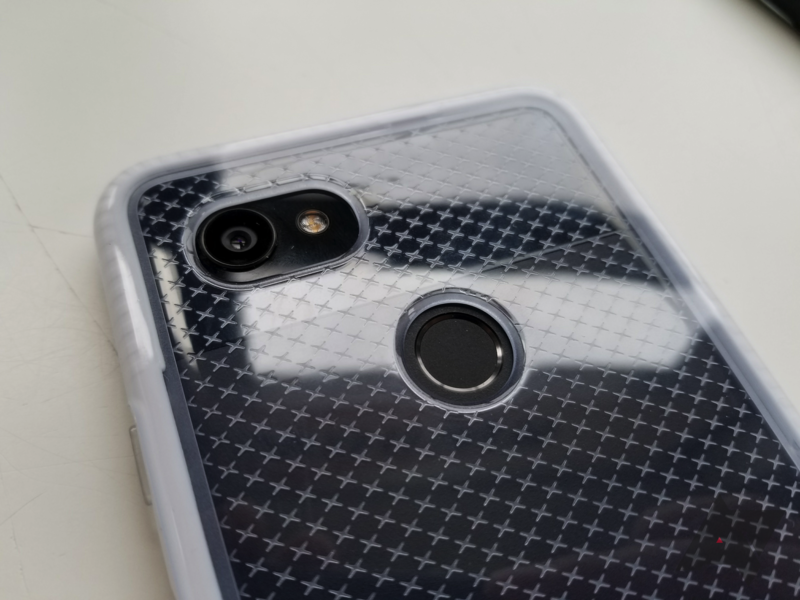 Design These cases look good, thanks to the textured diamond pattern and contrasting frames. Price At $13.99 apiece, these aren't expensive at all. Fitment When the case is installed, the frame can be misaligned, or the TPU portion a little scrunched up. The Parallax's highlight feature is its soft-touch back with an eye-catching diamond textured pattern. This genuinely feels good to the touch, and it's something no other major manufacturer does. 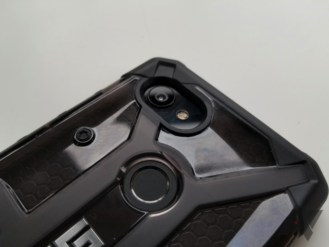 The top and bottom portions are flat TPU for contrast, with a small Caseology logo on the bottom part and gloss trim surrounding the camera and fingerprint sensor. Buttons are tactile, and there are ridges on the sides for maximum grip when holding your phone. The USB-C port opening should fit any normal cable just fine. 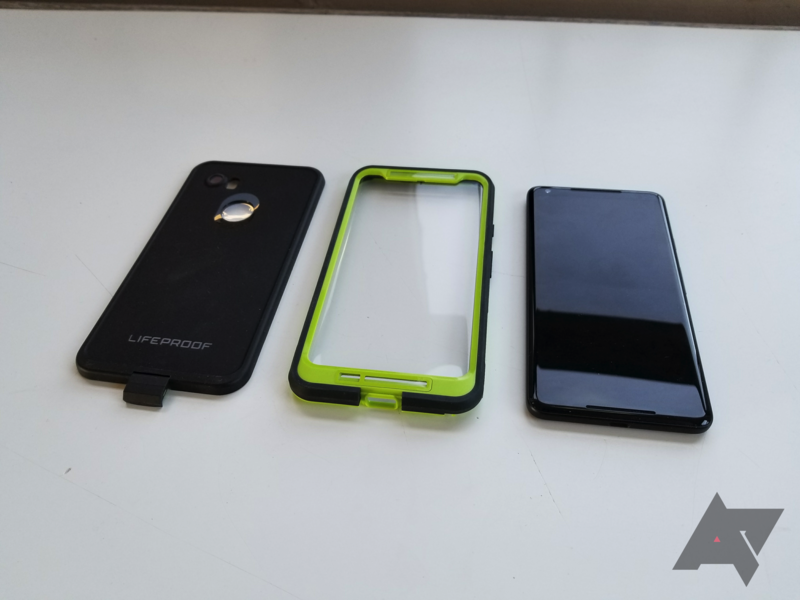 The lip up front will clear a glass screen protector with no issues. The plastic frame probably doesn't do much for durability since it wraps around the corners. I'd imagine that in a drop onto concrete, while the frame would shatter, your phone should be fine. In spite of this, it sports a MIL-STD 810G rating, and it does allow for added flair on the case. If you own multiple Parallax cases, you can even mix and match them. My one gripe with this line of cases is that the frame can be a little constricting when you're putting the case on or taking it off. Specifically, I've noticed that the TPU around the USB port can slightly flex, and the frame can pop out of alignment with the TPU, leaving a gap. These aren't a big deal, and the latter is easily alleviated with a bit of force, but it's worth noting. In my eyes, the Vault is still the better buy, but the Parallax has more interesting color options and a slightly more unique design. The Parallax does end up being a little wider and a little taller because of the external frame, so the added flair doesn't come at no cost. $13.99 is still a great price, and you won't find the diamond texture anywhere else. Oh, and fun fact: the case is mislabeled as 'Legion' inside. Caseology, you should probably fix that. Recommendation: Buy it - it's a great all-rounder. Caseology is a relatively well-established case brand, but their products have mostly been overshadowed on retailers like Amazon by more popular offerings from other manufacturers like Spigen. But if you search "Pixel 2 XL case" on Amazon right now, the Vault comes up as the first result with an 'Amazon's Choice' banner next to its photo. After some hands-on time with it, I totally understand why. Design I'm usually not a fan of brushed aluminum looks on cases, but it's pulled off pretty well here. Protection Everything is adequately covered up for maximum drop resistance. Price Cases don't come much cheaper than $11.99, especially not ones this good. Color You can have it in any color, so long as it's black. It'd be hard to find a more well-rounded case than the Vault. The back is mostly faux-brushed aluminum, which has a nice, subtle texture. 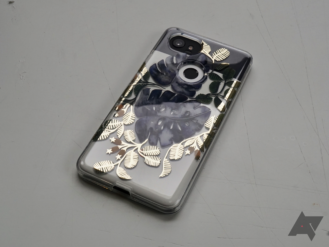 The bottom part of it features a discreet Caseology logo surrounded by the same soft TPU that the frame and buttons are composed of. 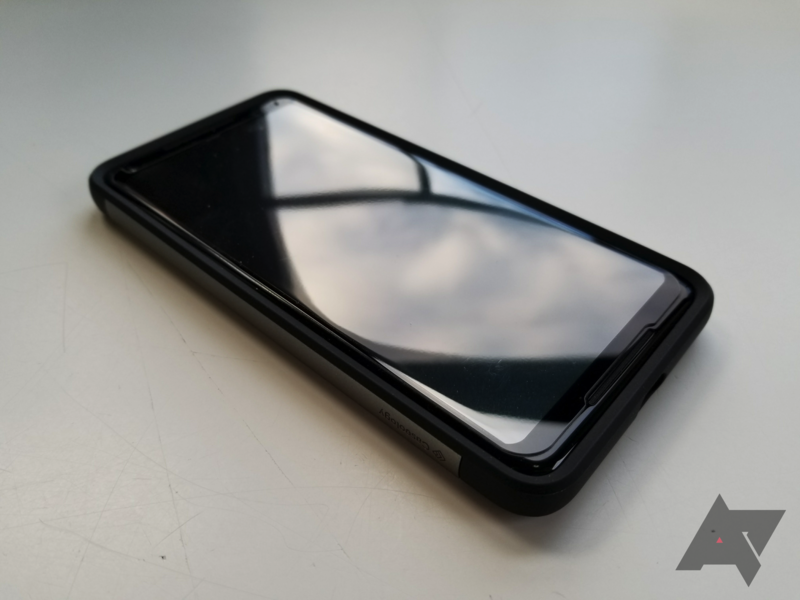 The beveled lip up front prevents even glass screen protectors from hitting anything when the phone is laid face-down. The buttons are nice and clicky - maybe not the most clicky, but adequately so. 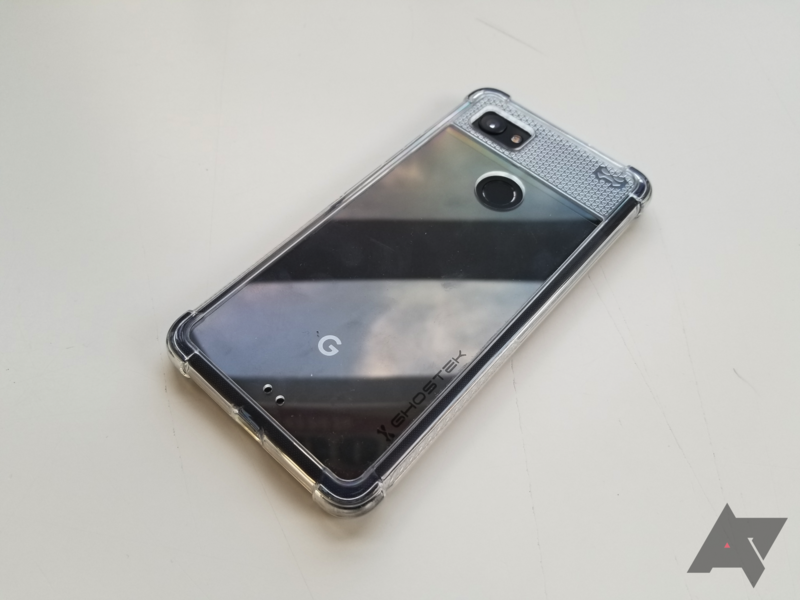 Despite this being Caseology's cheapest Pixel 2 XL case, it also comes equipped with a MIL-STD 810G rating. 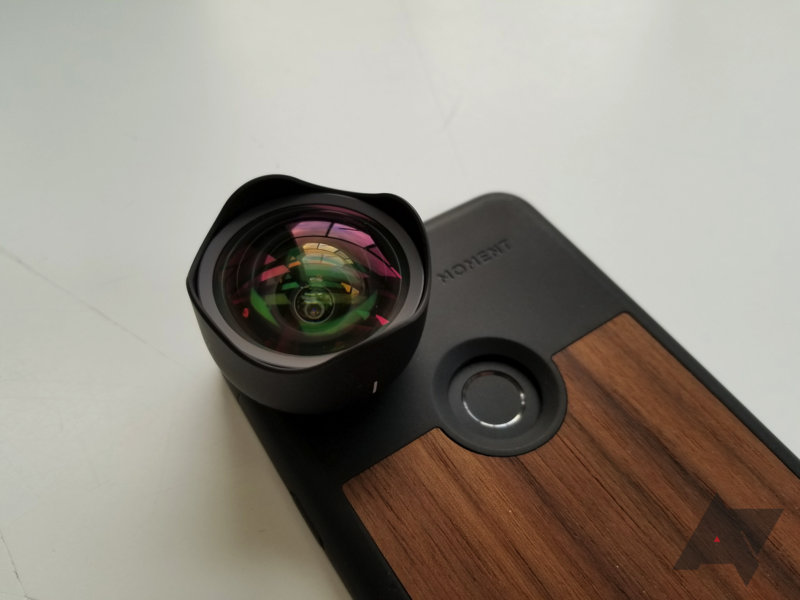 The camera is surrounded by a full-length bar with ridges on it and the fingerprint sensor by a gloss black ring, both of which add some contrast to the top area for your eyes' pleasure. That gloss black ring slopes into the fingerprint sensor, and it legitimately feels nice when you're unlocking your phone. The USB-C cutout may be a bit small if you have an abnormally large cable, but most cables, including the one included with your phone, will fit just fine. The attention to detail continues on the inside, where there's an interesting pattern that prevents dust from rubbing against and ruining your phone's finish. If I had to nitpick about something, it would be that the case only comes in black. Then again, I'd imagine that the design works much better in black than in any other color, and I love the sleek look that it provides. In other words, I really have no complaints. I wouldn't blink an eye if Caseology were charging something like $25 for this. But this virtually perfect case can be yours for just $11.99 from Amazon, which I find pretty incredible. I really don't think you can get better bang for the buck on any other case, and I actually prefer this to Caseology's other two offerings for the Pixel 2 and 2 XL. For those of you who want mild protection and handsome looks (which will be most of you), the Vault is the case to buy. I can't praise this thing enough - it's that good. Recommendation: Buy it - it has virtuallu zero flaws. 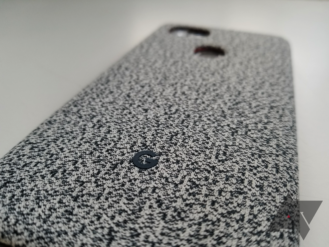 The vinyl skin game is one that dbrand's dominated for many years now. There's a good reason for that; the Lamborghini-obsessed company offers good quality and a ton of customization. I've had a couple on previous phones, and while I usually opt for a case instead for increased protection, I'd always appreciate the extra eye candy that a skin provides. Customization A ton of designs and options are offered. Fit I've never had an issue with the size or cut of a skin. Installation It's difficult to get the fitment precise, even when following the video guide. 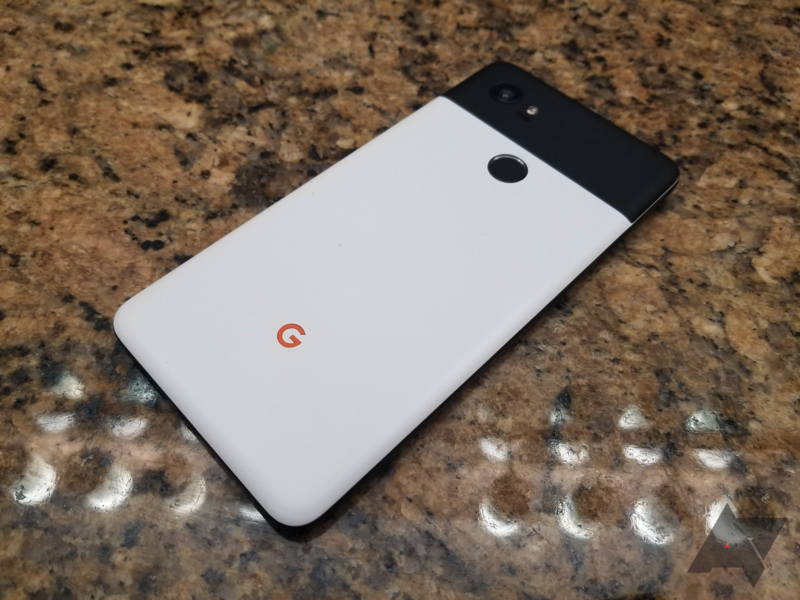 This time around, I was sent several white backs, black glass covers, and orange 'G' logos. 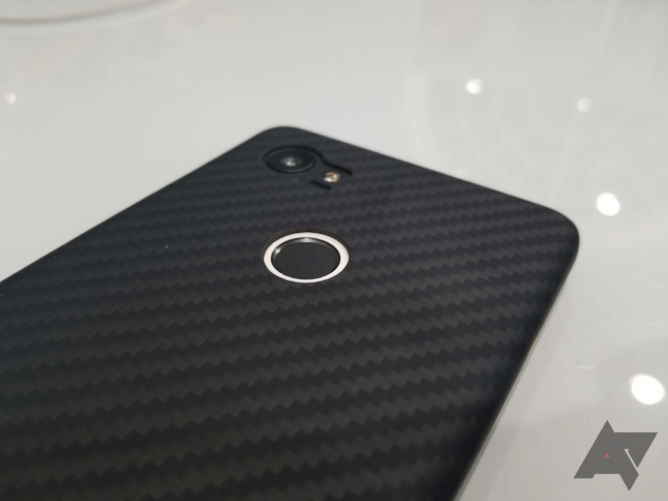 As someone who bought the black Pixel 2 XL only because the panda one had delayed shipping times, I was pleased that dbrand decided to send what is essentially a panda transformation kit along. I'm not going to lie - I did go through one skin because I thought I knew what I was going, but after watching dbrand's video guide, I got the skins on. It's still a little tough to install them since you have to line everything up perfectly, but the result is rewarding. 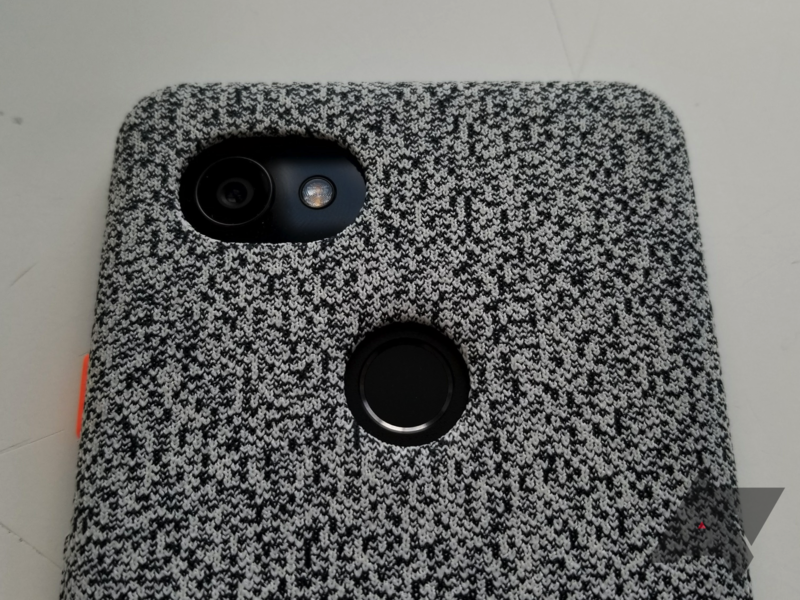 While dbrand does sell a full-body skin, I installed the back-only one. dbrand sends both in regular purchases. I'm a much bigger fan of this version, as it's easier to install and allows you to put a case over it. I currently have a Ringke Fusion over mine, and since the skin doesn't add much thickness at all, the case is unaffected. 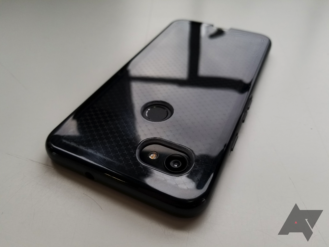 Until dbrand starts shipping out its Grip cases, this is probably the best solution if you also want some protection. If you have the patience to install a skin, go for it. In a sea of black and white smartphones, it's nice to have the option of an orange, faux wood, or purple one. 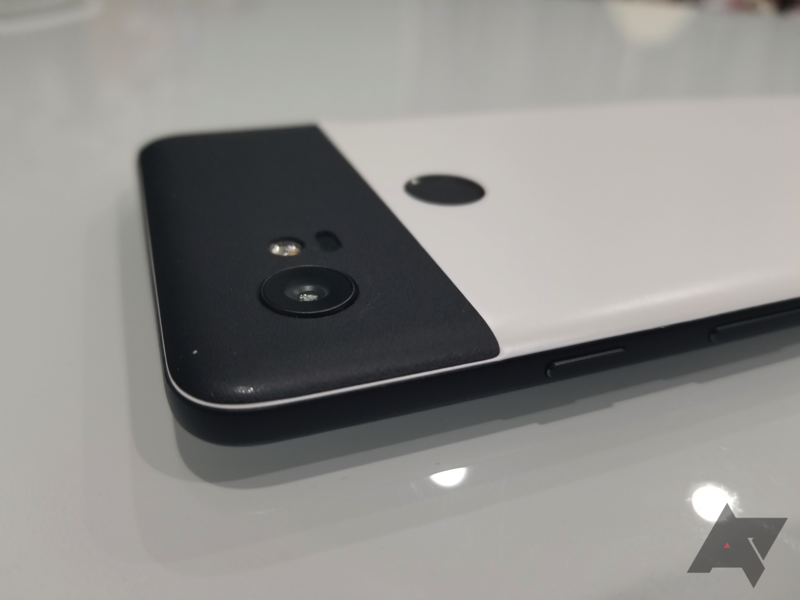 Or maybe you're just in the same boat as me, wanting to transform your black Pixel 2 into a panda version. 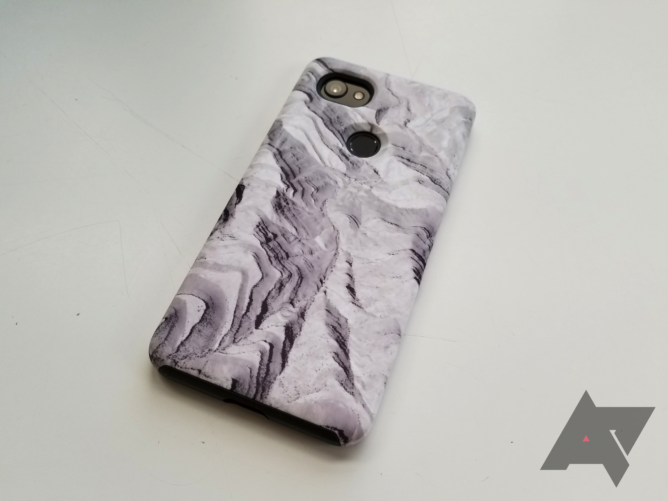 For less than $20, you'll be able to give your phone a whole new look. Recommendation: Buy it if you don't need much protection (or you're willing to buy a case to go over it). 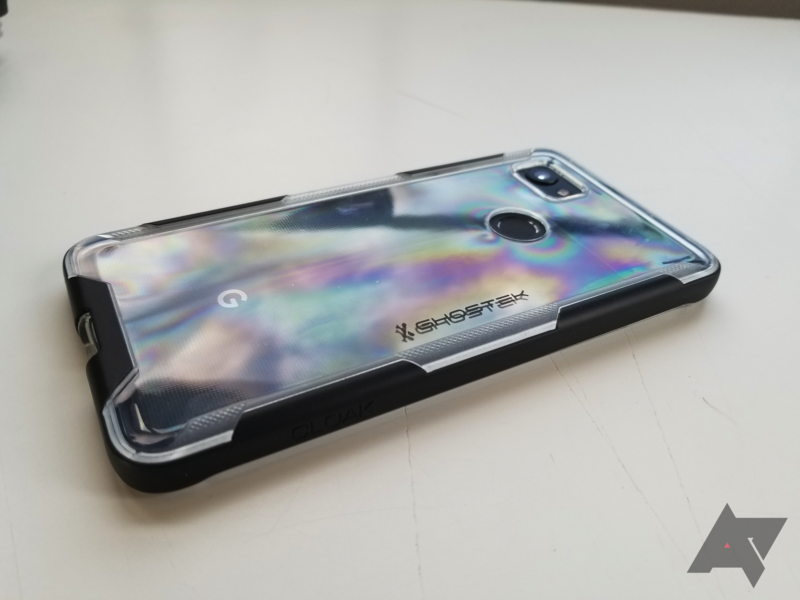 While companies like Spigen and Caseology produce cases with more traditional designs, Ghostek's theme seems to be selling cases that deviate from the norm. Take the Atomic, for example; it combines a metal frame, a clear back, and independent buttons into one package. But whether or not this uniqueness amounts to anything is another question. Materials The aluminum frame and hard, clear plastic back give off an industrial feel. Protection Given the dual-layer construction, half of which is metal, I'm inclined to believe it'd save my phones from even the most severe drops. Buttons They're uncomfortable and actually very difficult to press, which is surprising given their appearance. Design Looks are subjective, but I'm just not a fan of how small the clear window is in relation to the entire phone. The Atomic feels like an absolute tank in the hand. That's mostly thanks to the beefy aluminum surround, which also has rubber extrusions on the bottom two corners and TPU on the top. 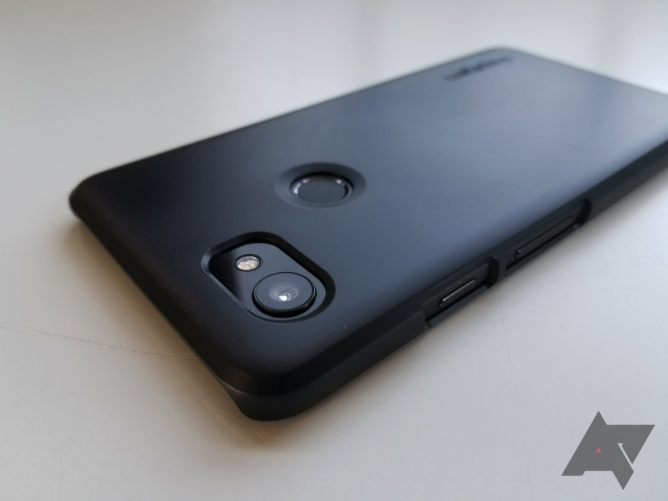 It's a dual-layer case to improve shock absorption, and it definitely feels like one. 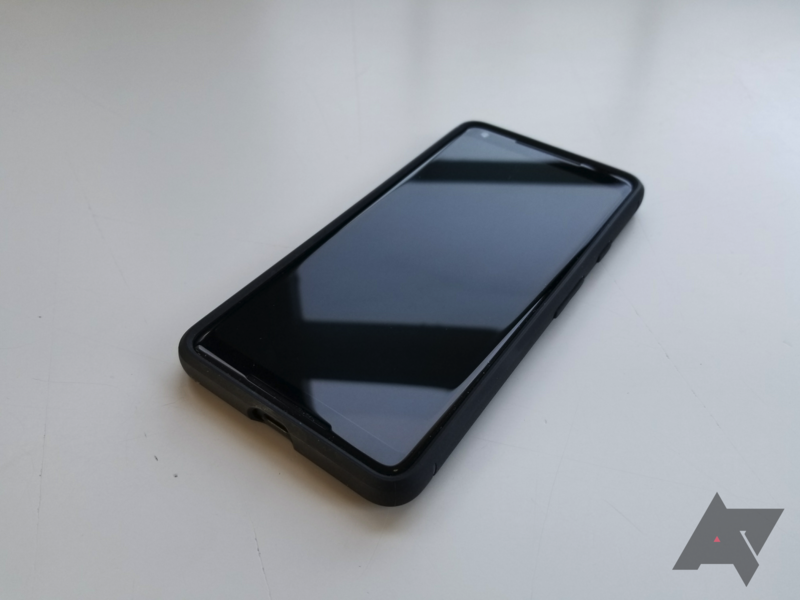 Compared with a normal case, the Atomic is noticeably wider, taller, and slightly heavier, meaning that it probably isn't the best choice if you have smaller hands and already think the Pixel 2 XL is too big. The branding on the clear back is a little aggressive for my tastes, but it could be worse. All in all, I'm not a huge fan of the way the case looks, but I can see how it'd appeal to some. Unlike with most cases, the Atomic's clear back is actually hard plastic. It's fairly scratch-resistant, though it is smaller than most clear backs thanks to the aluminum surround. That being said, the cutout for the fingerprint sensor is still decently-sized, though there are two circular holes on the bottom for some reason. The buttons, despite being pushed as a feature, are ultimately a letdown. As far as I can tell, they're metal, and the volume rocker even has arrows etched into it. However, they actually dig into your fingers since their edges aren't rounded, and they're very hard to push. I'm actually impressed at just how bad they are. Suppose you like the Atomic from Ghostek, but you don't want to blow $30+ on a case. 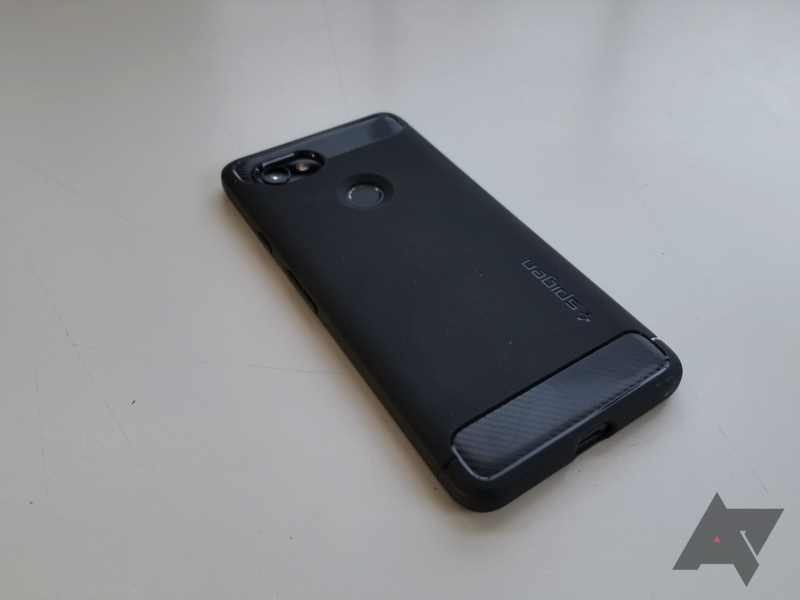 You might be drawn to the Cloak 3, a cheaper dual-layer case with a clear back. Unfortunately, this less-pricey Ghostek offering suffers from the same major issue that the Atomic does and more, and as a result, it gets a similar verdict. Protection I'd be pretty confident in my phone's survival if it fell in this case. Buttons They take way too much effort to press. Design It's not the best-looking offering on the market. Rainbow effect It's here, and it's as annoying as ever. It seems like any clear TPU cases are privy to the rainbow effect, and the Cloak 3 is no exception. Catch the light at the right angle, and you'll get a giant splattering of random colors, which isn't exactly ideal. There's some large "GHOSTEK" branding right in the middle, and it doesn't look great either. The entire panel is also a big fingerprint magnet. At least the cutouts for the fingerprint sensor and camera are accurate and sized correctly. The clear back - or more accurately, the clear layer - is surrounded by a plastic frame. This is made out of soft-touch plastic, which actually feels awesome in the hand. It's a shame that this is ruined by two more instances of branding (kind of excessive), as well as another set of horrible buttons like we saw on the Atomic. These aren't as bad since they don't jab you, but they're still much harder to press than they should be. The power button in particular takes a metric buttload of force to push down. I don't know how anyone could green-light them. 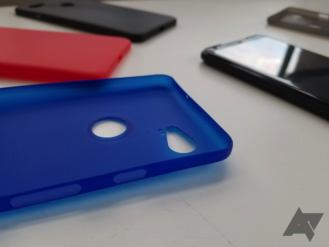 As we've learned so far, a clear TPU back is basically always going to have the rainbow effect. Because of this, many cases utilize hard plastic backs instead, which manage to avoid this issue. The Covert 2 from Ghostek is one of those cases, and thanks in large part to the hard plastic back, it's not a bad option. Protection Everything is covered, with added protection on the corners. Design I'd hesitate to call it ugly, but it's not the prettiest thing. Single-layer clear cases are usually pretty plain (and that's the way I like them), but Ghostek decided to spruce the Covert 2 up a little bit. The oversized corners are a welcome touch, as they probably absorb a lot of shock, but the same can't be said for the rest of the case. 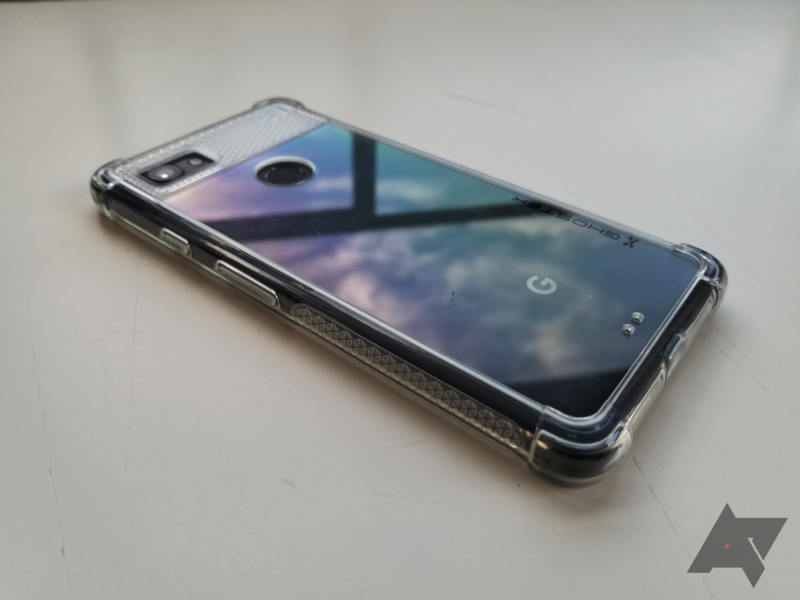 The triangle pattern over the glass portion and on the lower sides isn't ugly, but it's not particularly useful and I think the case would look better without it. I'm also not a huge fan of the large branding, of which there are two instances on the back. Unlike its siblings, the Covert 2 has buttons that are actually usable. They're still slightly harder to press than they should be, but they're tactile and don't feel like complete crap. 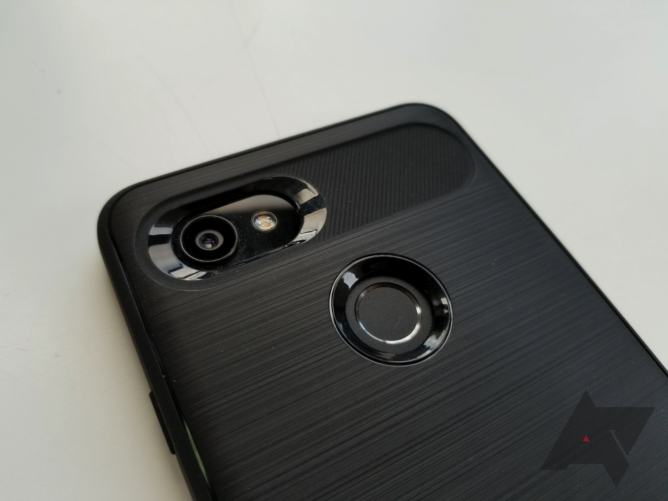 The cutouts for the fingerprint sensor, camera, and USB-C port are all accurate. I'm still confused, however, by the two circular holes at the bottom. Why do they exist? While the Covert 2 isn't horrible, that's not enough to distinguish it from the competition. It's not the easiest on the eyes, it isn't the best at any particular category, and $14.95 isn't a bargain. It's also only available at Ghostek's site and not Amazon, which pretty much guarantees that nobody will buy it. And I don't mean to sound harsh, but given the quality of other cases, I'm fine with that. It's available in black, orange, pink, red, teal, and white. Recommendation: Don't buy it - it doesn't excel at any particular thing. I know a lot of people who stick one of those cardholders on the backs of their cases. If you have an ID or credit/debit card that you access frequently, you might want to consider getting one. Alternatively, you could buy a Ghostek Exec 2 and not have to add anything. Which route should you take? Materials Fabric and leather are both present here. Pocket You can fit up to five cards in here. Protection The phone is fully covered. Design The pocket, while functional, looks a bit chintzy. Thickness Both the case itself and the pocket make things rather bulky. Usability It's not easy to take cards out of the pocket. I'll be honest: my first impression of the Exec 2 was not very positive. 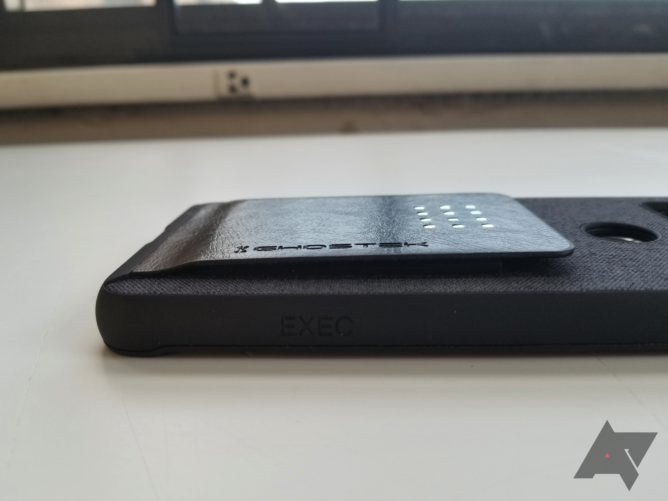 The case is a lot thicker than most inherently, and the cardholder on the back only makes things much worse in that regard. Plus, the cardholder looks rather cheesy - almost like something a five-year old would think looks 'cool.' The leather looks fake (even though it's supposedly real), there are 12 silver squares on it for visual effect, and the Ghostek branding really shouldn't be on there. After using the case, none of those thoughts have really changed; in fact, they've probably gotten worse. The back is topped by a layer of fabric, giving it a nice texture (though you can't feel much of it thanks to the giant pocket). The buttons are extremely tactile and a pleasure to use (finally!). But unfortunately, the pocket - the main selling point of the Exec 2 - is a little bit of a letdown. Not only is it tacky-looking, it also doesn't do very well at holding cards. It's extremely hard to get even one card out of the pocket without creating a commotion. Five cards will fit in there, as Ghostek claims, but good luck getting them out. Seriously - I yanked and pulled until my fingers hurt before the cards finally came out. On the plus side, when the pocket isn't crammed and only has one or two cards in it, those card(s) won't fall out easily. The Exec 2 is a good idea with some added flair in the form of a fabric back and a leather pocket, but it's ultimately a usability nightmare. The cards are difficult to take out, the pocket takes up so much space that you can't even feel the fabric back, and all of this makes the case extremely thick. If you have skinny jeans and struggled to fit the phone itself in your pockets, good luck with this monstrosity. It's a shame that the fabric back and tactile buttons were used on a case that isn't nicer overall. It comes in black, brown, pink, purple, red, and silver. Recommendation: Don't buy it - it doesn't work as it should. 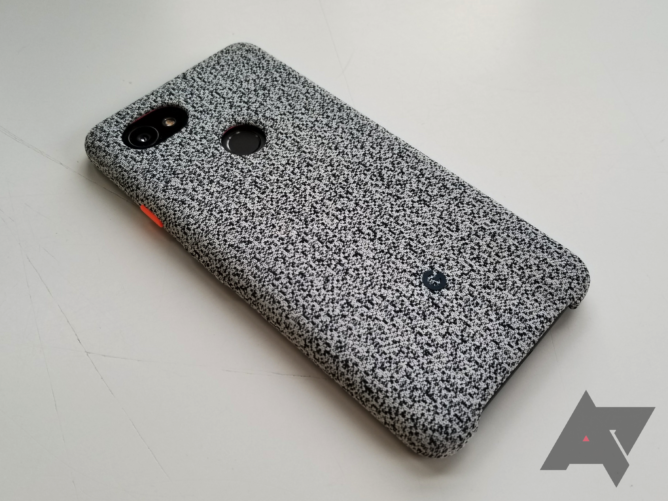 Google doesn't seem to have developed a real name for this fabric-covered case, which is a shame since it's a damn good one. Eye-catching and comfortable to hold, the Fabric Case makes a stylish companion for your shiny new phone. However, it's on the pricier side at $40. Design The pattern and its colored power button make for a unique look that no other case has. Materials You won't find fabric or the unique texture it provides anywhere else. Protection The bottom is left wide open, so you'd better hope your phone doesn't land there if you drop it. Price The $40 MSRP makes this one of the more expensive options. I usually don't purchase manufacturer cases due to their high prices, but this one is so different that it might just be worth picking it up. The texture is courtesy of a polyester and nylon knit, and the polycarbonate core underneath keeps things strong and lightweight. The inside is lined with microfiber, allowing for a more premium appearance and a smaller chance of scratches from dust and other particles trapped within the case. This microfiber matches the power button, which is a nice touch. In daily use, this is almost the perfect case. 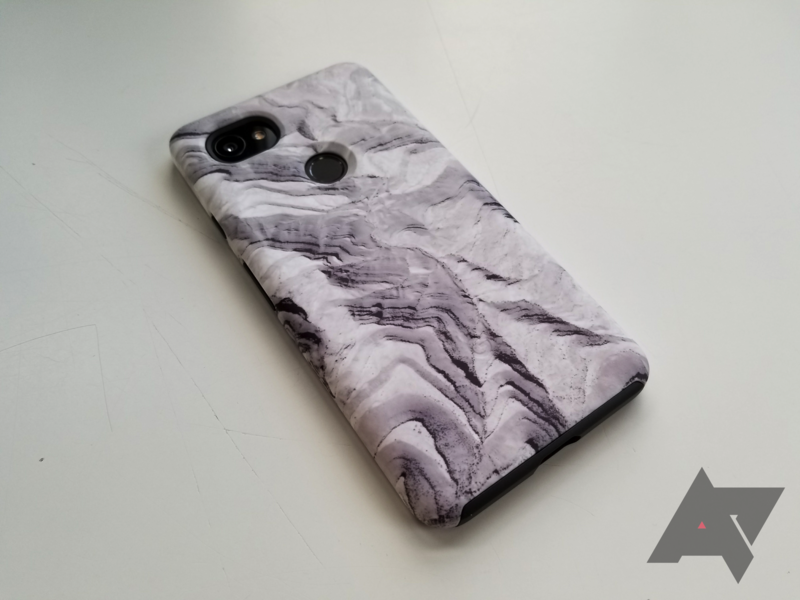 The fabric feels great in the hand, and the design has gotten more inquiries than any other case I've ever used. Both the orange plastic power button and the fabric-covered volume rocker are nice and tactile. The cutout for the fingerprint sensor isn't in the way at all, and the little 'G' near the bottom is subtle. 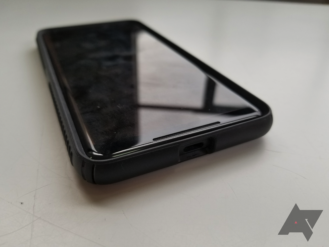 A minor lip on the top prevents the screen from making contact when the phone is placed face-down, though a screen protector will protrude from it. Taking the case off and putting it back on is easy, but not so much so that it'll separate from the phone in a drop. My only real gripe with it overall is the exposed bottom, which could potentially lead to disaster in the wrong circumstances. Oh, and if you get it dirty, you'll have to hand wash it due to the fabric nature of the case. You can't just wipe stuff off of it like you would with any other case, so if you're a messier person, you might want to avoid this one. 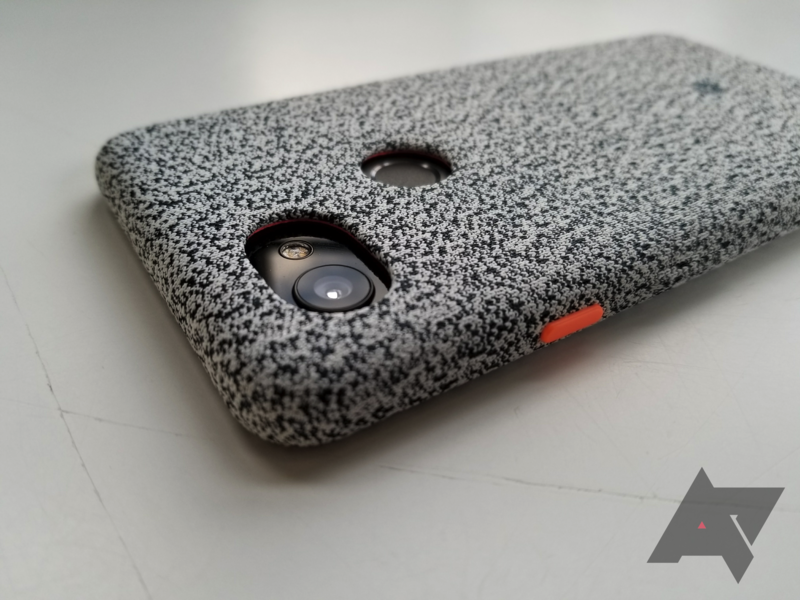 All things considered, the Fabric Case has probably been on my Pixel 2 XL the most of any of the cases I've reviewed. It's also caught the most eyes of any case I've ever owned. 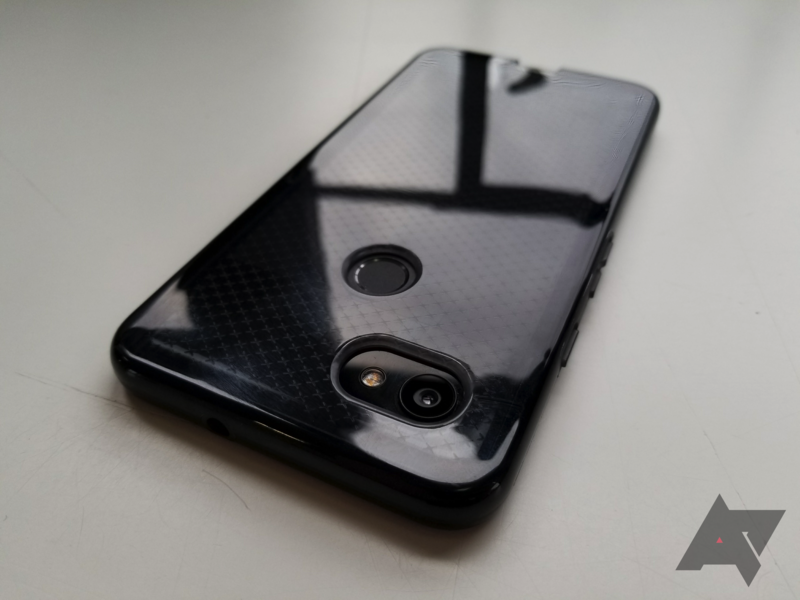 It's available from the Google Store for both the 2 and 2 XL in Carbon, Cement, Midnight (pictured), and Coral for $40. Recommendation: Buy it if you like having conversations with people about your case. This year's Live Case isn't as much of a gadget, but a better case. It loses the (nifty?) NFC button that allowed you to trigger things such as your flashlight, but I always thought that was pretty poorly implemented given the sheer amount of pressure it took to activate. But the case itself, especially the double-layered version that I have here, is a better product overall. That being said, unless you're really into customization, it's still a poorer value than virtually any other case. 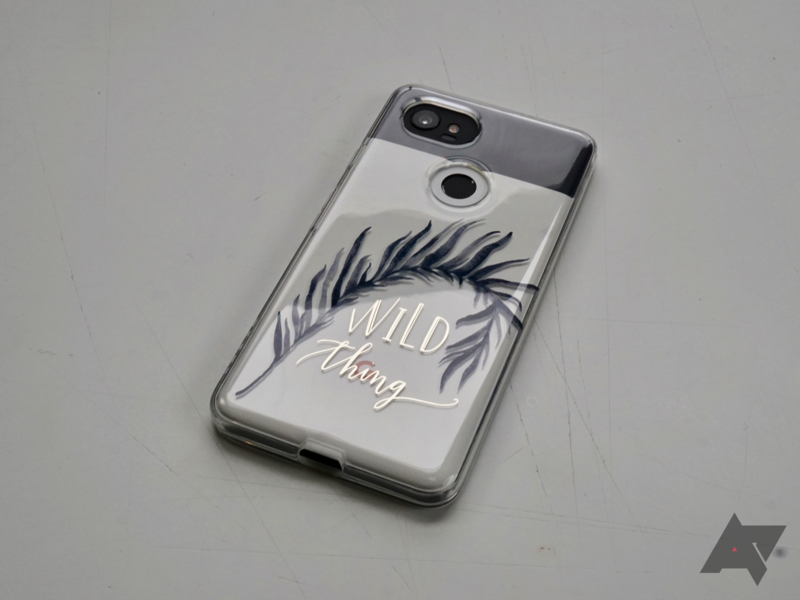 Customization This has always been the main selling point of Live Cases, and these are still the only way to get quality prints on good cases. 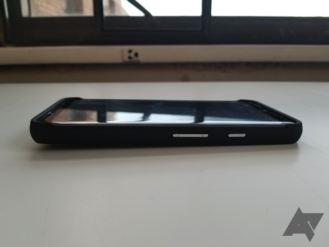 Design The profile is very slim for a dual-layer case. Materials The polycarbonate shell can be a little slippery. Price $40 for the 'Slim Protection,' or $50 for the 'Dual-layer Protection,' is a pretty penny. As a case, the Live Case is above average. 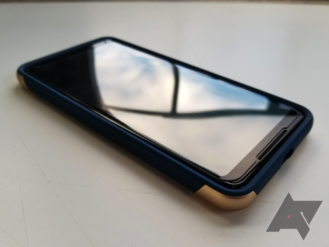 The dual-layer design is very nicely integrated, providing a nice two-tone look and a slim profile while still giving you two layers between your phone and wherever it ends up falling. The buttons are tactile, though they could stand to protrude from the case a bit more. 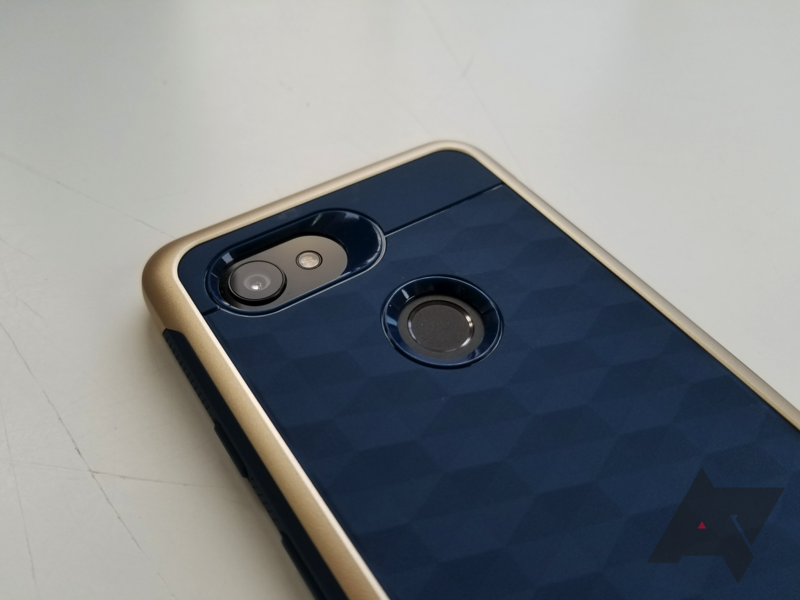 The cutouts for the camera and fingerprint sensor are both pretty standard, and the one for the USB Type-C port is a little wider than other cases'. 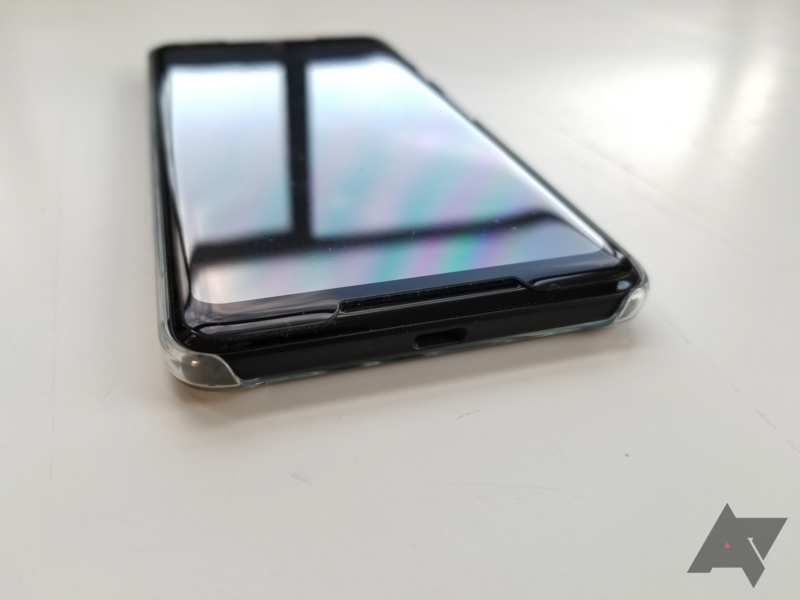 The lip up front is very minimal, so if you have a screen protector of any kind, it'll scrape when the phone is put face-down. There's a small 'G' embedded into the back of the case, just in case you forget what company made the case. 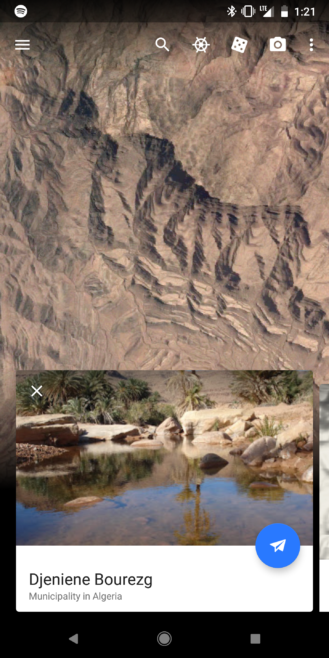 Moving onto the whole 'Live' aspect, my unit is the Google Earth 'Rock' dual-layer model. Setup is pretty interesting. 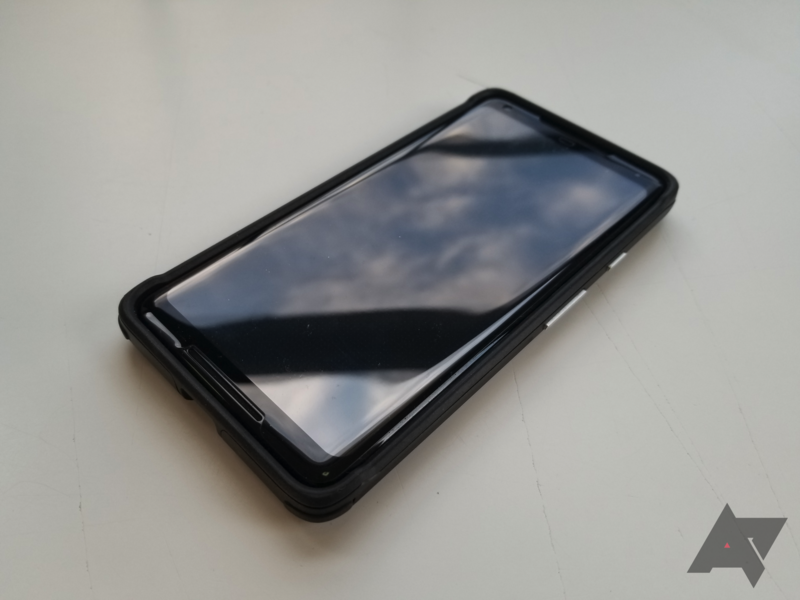 After installing the 'Live Case' app from the Play Store and logging into your Google account, you're told to grab the four-digit code that's printed inside the case (on both the polycarbonate and TPU layers, in the dual-layer version's case). Enter this code, which presumably identifies what kind of case you purchased exactly, and you're in. 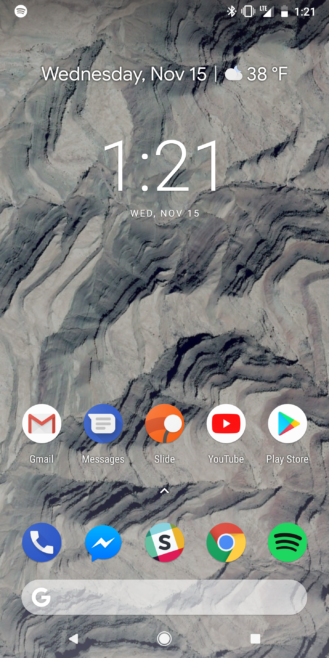 If you have Google Earth installed, a simple double-tap on the daily wallpaper will open Earth and reveal what exactly is being depicted, at least for the Google Earth case. There are 1500 of these wallpapers, so you'll have a unique wallpaper every day for about four years. And let's be honest: your Pixel 2 XL is going to be long out of your hands at that point. If you're the type of person who likes their case to be unique, a Live Case is pretty much the only way to go. You can print your own photo, get a map of any location, or have a piece of artwork printed on the back. The cases these prints are attached to aren't bad, but they're certainly not the best. Spend the extra $10 for the $50 dual-layer model if you're getting one of these, as the slim version is just a slippery piece of plastic that will probably shatter as soon as it's dropped. Recommendation: Don't buy it unless you really need a custom graphic. Arguably Incipio's most popular model, the DualPro has been around for a long time. It's always been a reliable way to get quality and protection out of a case. 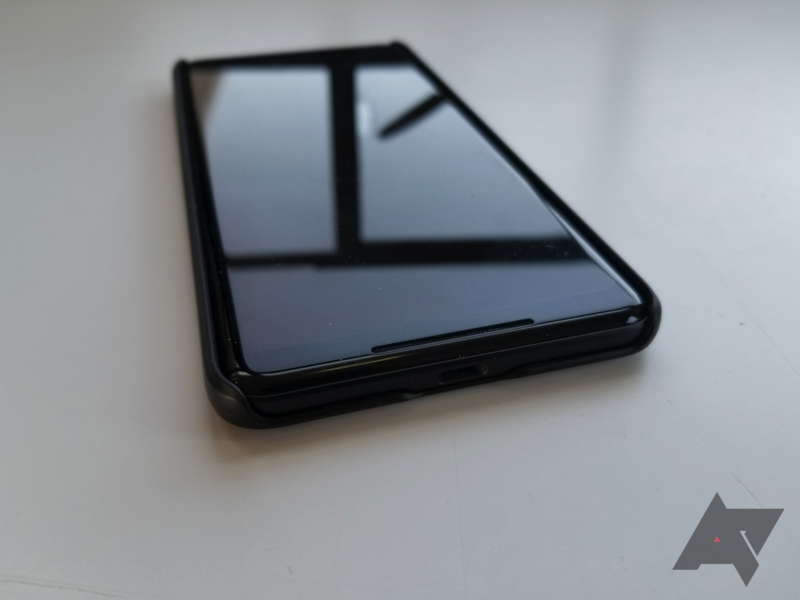 That statement reigns true with the DualPro for the Pixel 2 XL, which really doesn't have any downfalls. Even the price is extremely reasonable on Amazon, which was a surprise to me. Design The two layers are so well put together that you almost wouldn't know they're actually two separate pieces. Plus, there are several colors to choose from. Feel The soft-touch back is great in the hand. Protection This is without a doubt a sturdy case, even if it doesn't look particularly bulky. Fingerprints The soft-touch back is very prone to them. You wouldn't know the DualPro is a dual-layer case unless you looked at it closely. 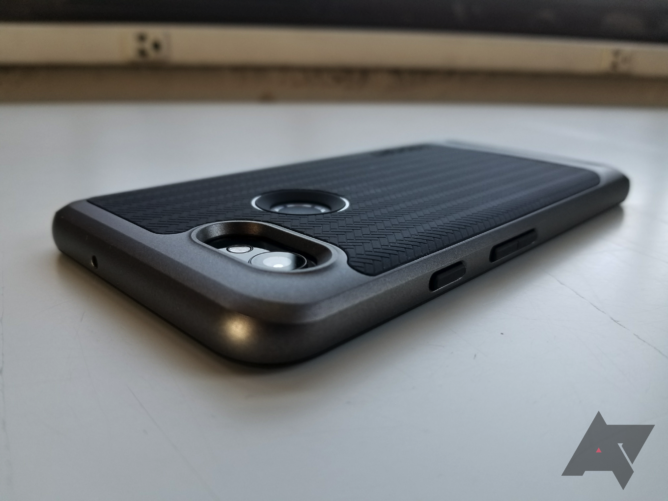 Unlike with other two-layer cases, the DualPro's seams are very tight, and the case doesn't try to look tough. The similarity in color between the two layers doesn't hurt, either. The bottom layer is made of silicone, and the top is a hard plastic with a soft-touch coating. 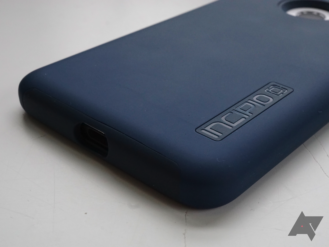 That coating makes the DualPro comfortable to hold, though it does yield fingerprints more easily than other cases. Overall, though, this is a premium-feeling case. In terms of protection, the DualPro would rank near the top of this roundup. It looks unassuming, but all four corners are covered by two layers, and the front lip is beefy. That also helps means it can clear a glass screen protector without issue when put facedown. The buttons are awesome, being tactile and easy to push down. Cutouts are all accurate, and I'm a fan of the subtle black accent around the camera. The only branding is some "INCIPIO" text raised over the silicone layer that sits flush with the hard plastic piece. At the MSRP of $29.99 on Incipio's site, the DualPro is a decent buy. It gets everything right, and it has a level of fit and finish that I feel makes it deserving of that price point. 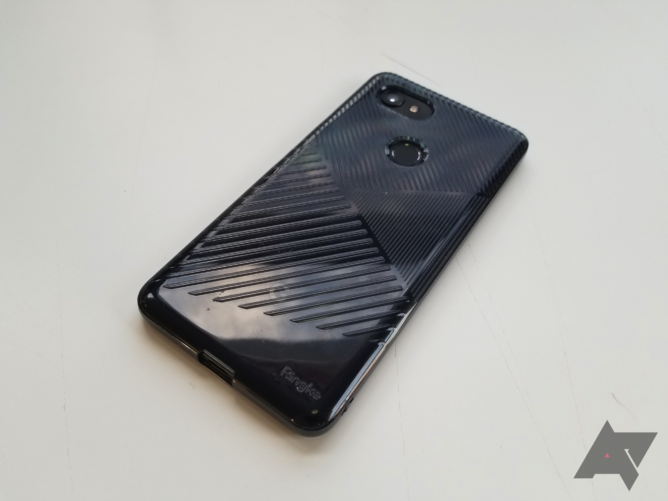 But over on Amazon, a DualPro for the Pixel 2 or Pixel 2 XL can be had for as little as $15 if you're willing to live with the boring black color. The navy blue I have here, the red, and the gunmetal are all sitting around $20, with the merlot color still around the $30 MSRP. I'd imagine most of you will go for one of the former, and $20 is a very good price for a case of this caliber. It's a great all-rounder. 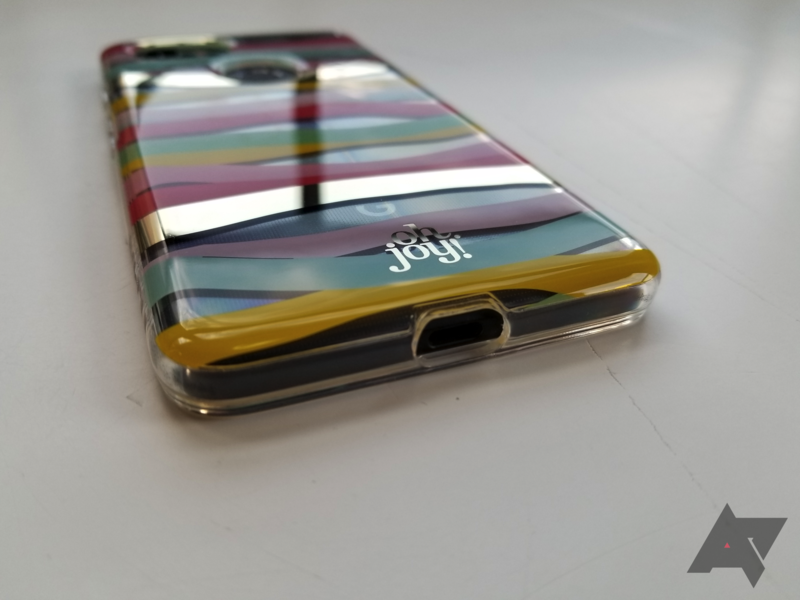 We're still waiting on Incipio to respond to our request for review units, but in the meantime, Google sent over the only Incipio case it carries on the Google Store: the Oh Joy! x Incipio. Incipio sells these cases with different patterns under several monikers, but they all feature the same basic clear case base that you see here. It's a good case, even if it isn't the most feature-filled. Design Incipio sells these with a bunch of unique designs, so you're not restricted to these two cases. Protection Everything is protected underneath a thick layer of plastic. 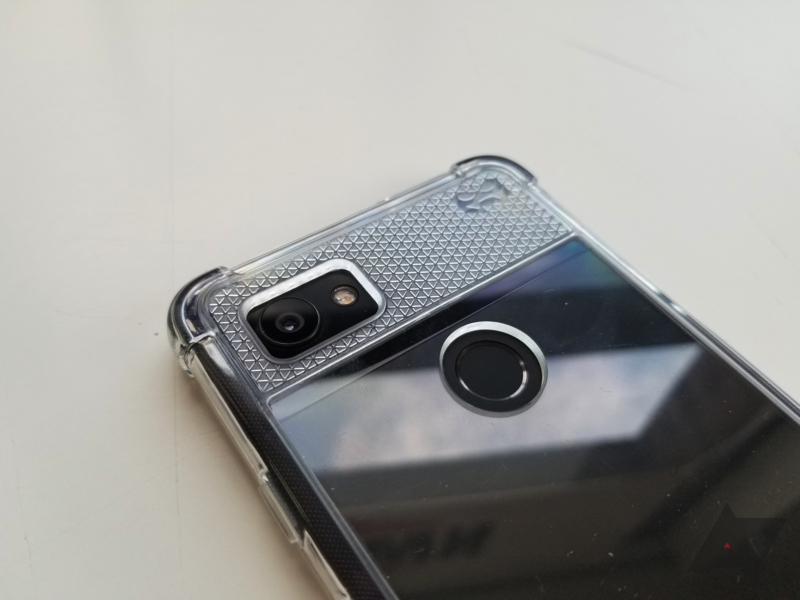 Price $29.99 is a pretty penny for a fancy clear case. The Oh Joy! 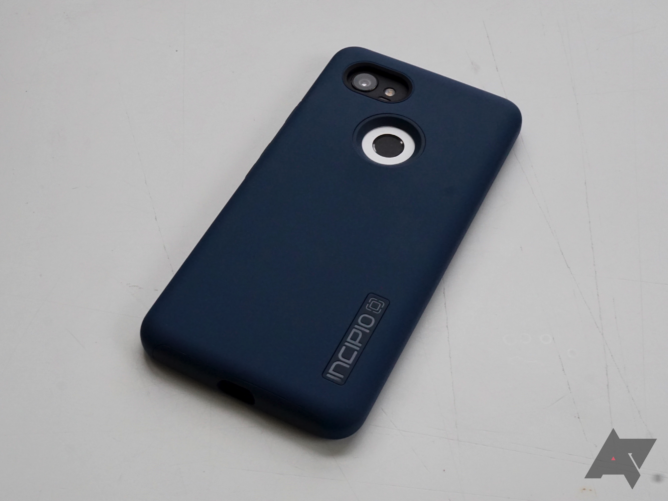 x Incipio case features a harder level of TPU than most clear cases. It's still shock-absorbent and flexible, but it feels a lot more rigid in the hand. It also seems like it gets rid of the rainbow effect, which most manufacturers usually just get around with a hard plastic back. Incipio also claims that the back is scratch-resistant, which I didn't really find to be true. Even pressing your fingernail too hard will leave a permanent mark, and keys will leave marks at almost any pressure. That being said, the clear back hides scratches fairly well, so I wouldn't worry too much about it. As for the rest of the case, it's pretty decent. 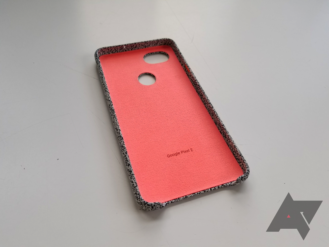 Cutouts are precise, even if the one for the fingerprint sensor is a little larger than most cases'. Buttons are about average: not the easiest to push, but still tactile overall. Branding is fairly minimal; there's an "oh joy!" logo on the bottom of the back and some subtle Incipio lettering on the right side. 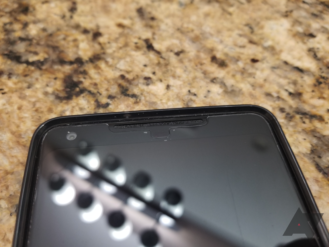 The lip on the front is average, and it barely clears my glass screen protector. If the designs on the back really call your name, this Incipio case might be worth the higher price it commands. The Google Store has the two options pictured available for $29.99 apiece, but Incipio has those and more for $23.99 (at least for now). You can find them at the links below. Again, these aren't really worth buying unless the designs really speak to you. Recommendation: Buy it if you don't mind paying a bit more. 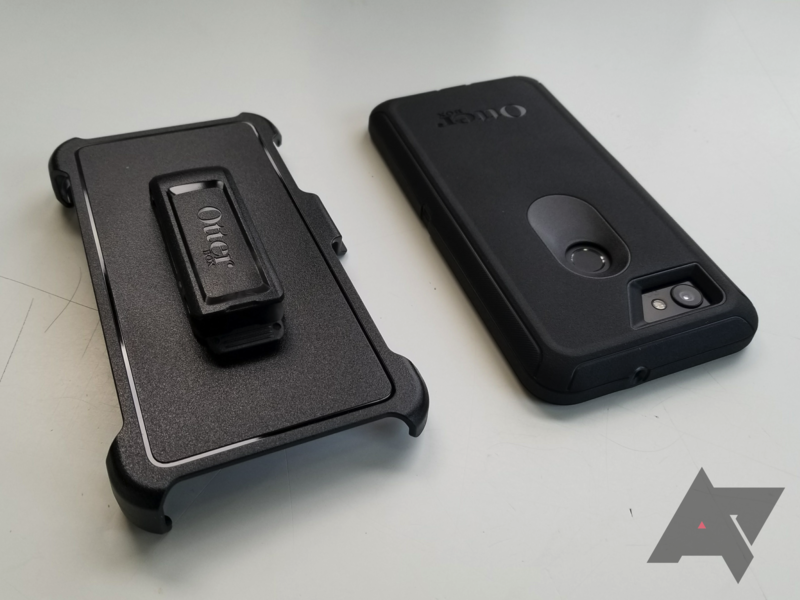 Of all the case companies there are out there, Incipio seems to enjoy partnering with other companies and designers the most. 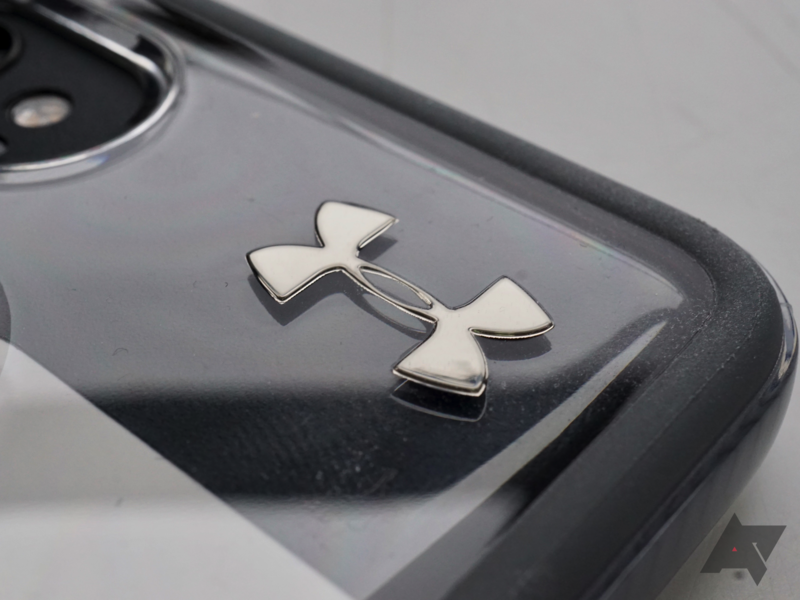 For the UA Protect Verge, Incipio worked together with... you guessed it, Under Armour. 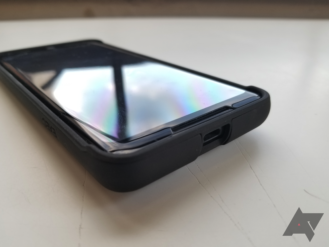 Interestingly, this isn't just a case of Incipio throwing a big Under Armour badge on and calling it a day; the UA Protect Verge actually works in conjunction with the UA Connect mounting system. Design I'm not a big fan of it, but it does look Under Armour-inspired. Mount If you have certain UA Connect mounts, you can stick this on gym machines or your bike. Protection There are clear strips on the side that add extra impact protection when compared to a normal case. 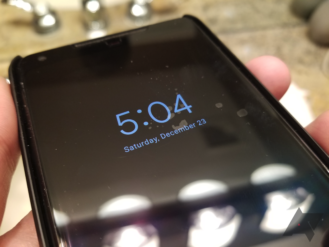 Price $40 is not cheap for what is essentially a fancy clear case. Rainbow effect It's not severe, but it's definitely present at an angle. Even without the giant chrome-looking Under Armour logo on the top right, the UA Protect Verge does have a fitness-y look to it. It's hard to explain, but the gray color, the clear buttons, and clear strips on the side give off that kind of vibe. 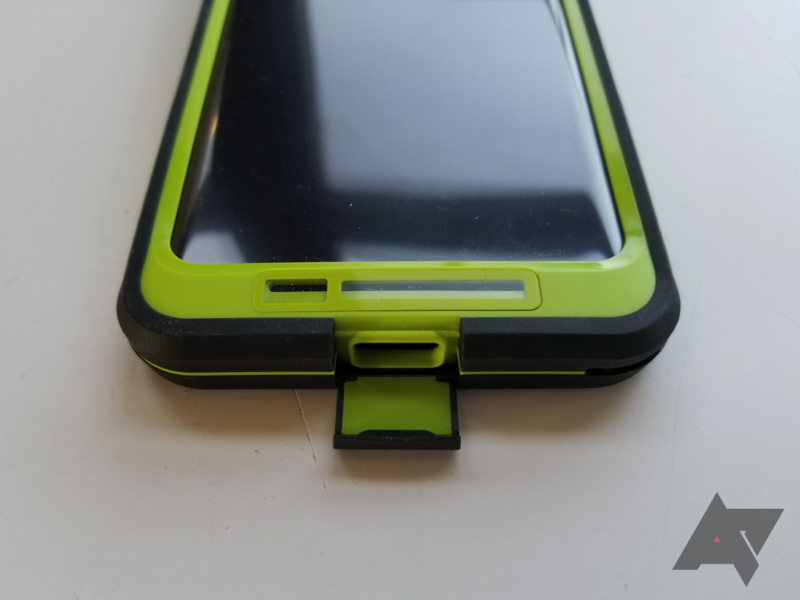 Those strips aren't just for show; they also allow the UA Connect mounting points to exist, and they do provide more protection. 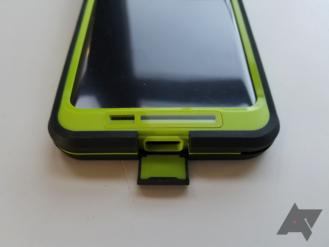 However, the UA Connect mounts are expensive. Of course, you don't have to have that mount to use this case, but I'd imagine that most owners of this case will own at least one. But how does the UA Protect Verge do as a case? It's... meh. Even though it is unique, I'm not a fan of the look. The buttons aren't very good; they require quite a bit of effort to depress. The hard plastic back is prone to the rainbow effect at certain angles, too. That being said, it is protective, with a sizable lip and adequate protection all around the phone. The cutouts are accurate, but they are on every case. I can't recommend a purchase of this case given its $40 price. 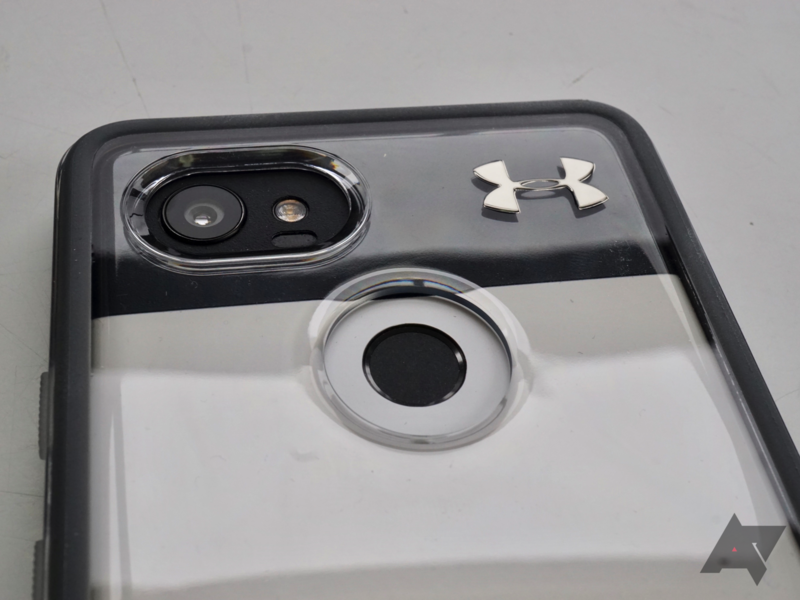 On top of that, you'll have to spend at least another $35 on a UA Connect mount if that's what you intend to buy this case for. For $75, I'm sure there's a more cost-effective solution out there. At least it looks like a case that someone who goes to the gym often would use. Verizon's currently offering it for $29.99, for what it's worth. Recommendation: Don't buy it unless you're really invested in the UA Connect system. If I'm being honest, it took me a couple of minutes of comparison and research to figure out if this Kate Spade Flexible Hardshell case is the same one, sans design, as the Incipio Oh Joy! case above. 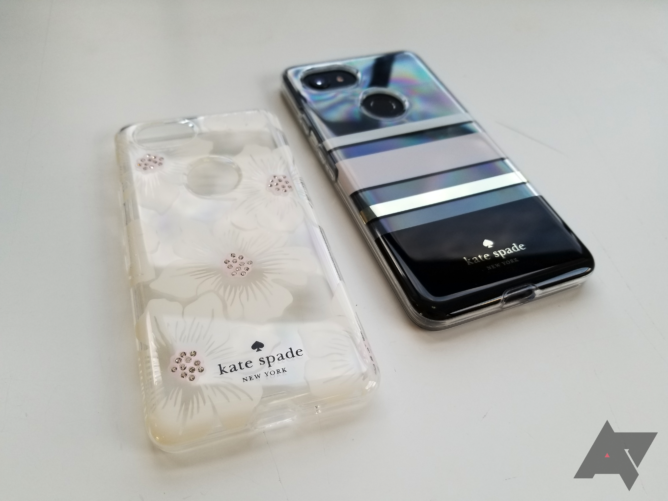 What I've determined is that while Kate Spade cases are produced by Incipio, the two actually have slightly different materials, along with a very different price. Design It's unique, I guess? This is obviously completely subjective, but if you're interested in this, you probably like the look. Protection All corners and edges are hidden under TPU. Price $49.99 is a lot of money for any case, and this one doesn't feel like a $50 product. You might be wondering how exactly the Kate Spade case differs from the Oh Joy! one. 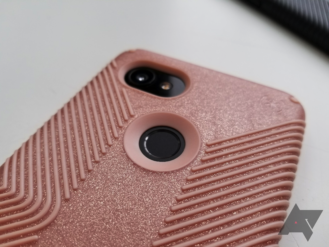 According to the Google Store product pages, while the Incipio-branded case only uses TPU, the Kate Spade one uses TPU, polycarbonate, and PET. I can see where the polycarbonate comes into play, as the back of the Kate Spade case is harder and much less flexible than the Oh Joy! 's, but I'm not sure where the PET factors in. 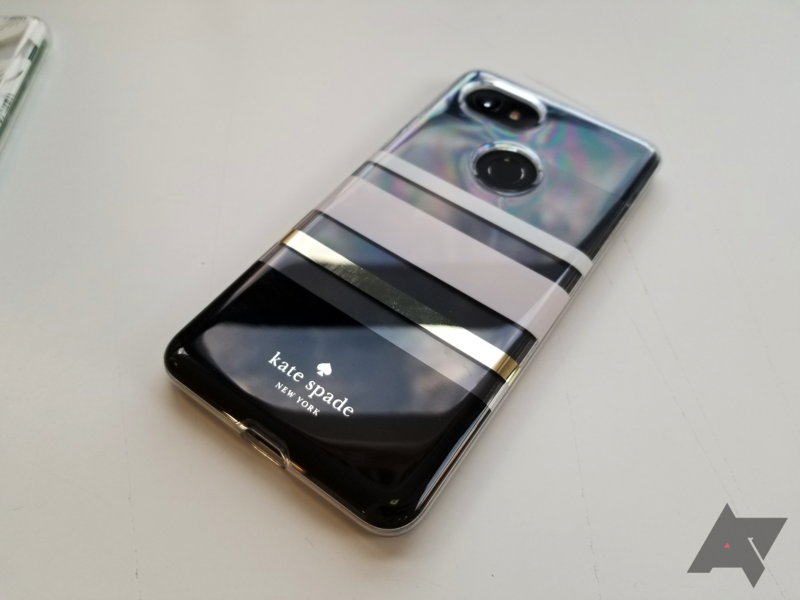 As for measurements, the Kate Spade case is ever so slightly wider on both the Pixel 2 and 2 XL, but it's also thinner. In use, the Kate Spade feels practically identical to the Oh Joy!, save for the harder back and the little plastic crystals in the flowers if you opt for the 'Hollyhock Floral' option. The frame is still TPU, so it's grippy and absorbs shock, but the hard back makes it feel more premium, I guess. It's all a matter of taste. The buttons are equally clicky, and the cutouts equally precise. That means that the main difference is in the price. Whereas the Oh Joy! 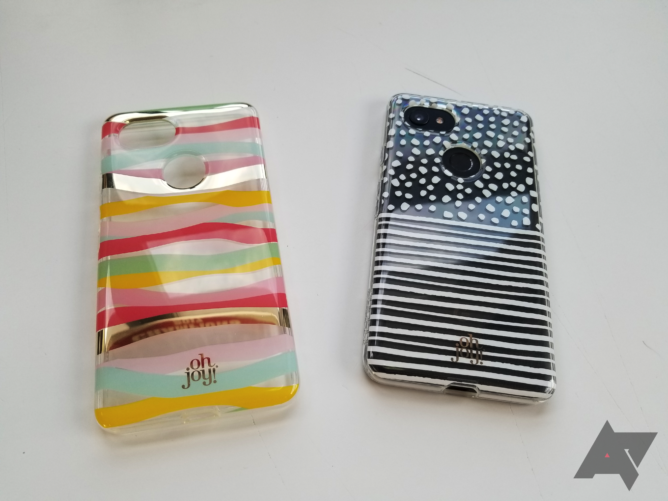 case can be had for as low as $23.99 right now, the Kate Spade case costs a whopping $49.99. That's a lot of money for a slight change in material and a different design. Of course, what you're paying for here is the name, as there's little to no tangible increase in quality. 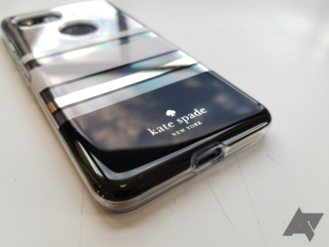 If you really want the classy 'kate spade NEW YORK' text on the back, you know what to do. But this obviously isn't good value, and as a result, we can't really recommend it. It comes in Charlotte Stripe and Hollyhock Floral. Recommendation: Don't buy it unless you really want the brand name. 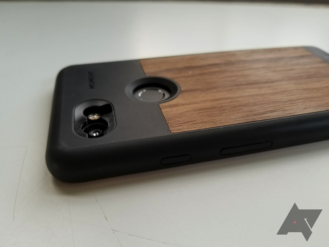 There are several cases with wood for the Pixel 2 and Pixel 2 XL on the market, some of which I've reviewed in this roundup. 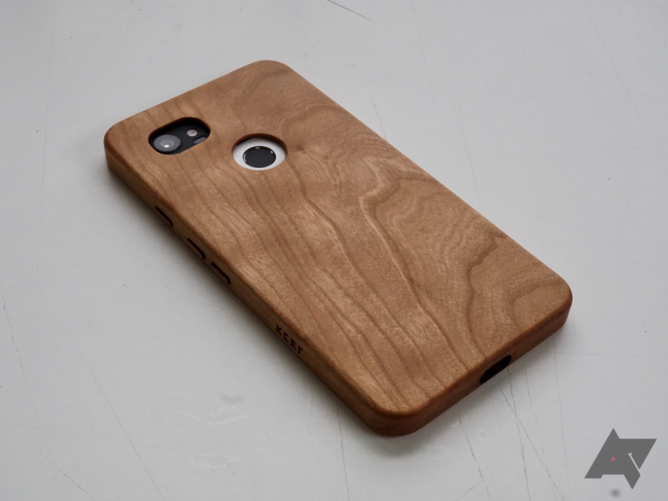 But none of those cases are made entirely of wood like KerfCase's are. KerfCase is a company based out of Pittsburgh that prides itself on crafting its cases out of a single block of wood for each, giving them a handcrafted feel that very few others can boast. 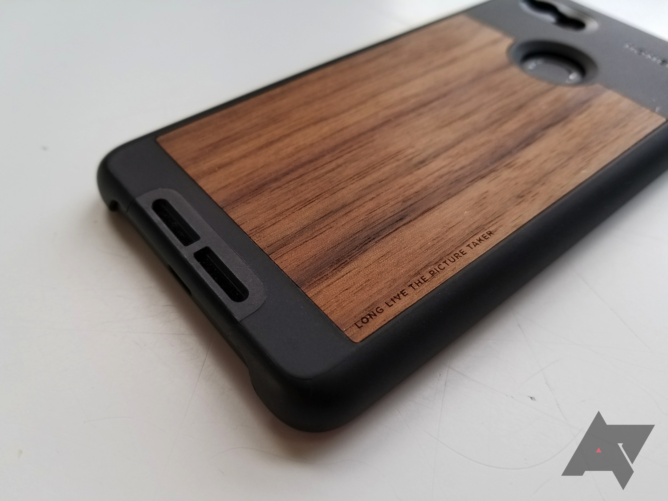 Even though you'll have to pony up quite a bit more cash for a KerfCase than most other cases, it's worth it for the high-quality product that you get. Design The design is as minimal as can be, and the buttons are very well-implemented. Materials You get your choice of several different types of wood, and you can even reach out for custom cuts. Warranty If you break the case, it can be sent back for repair for absolutely free. Design (again) The less-pretty insides of the case are visible from the front. I was sent a case for my Pixel 2 XL carved out of cherry. As soon as I took the case out of its packaging, I was greeted with a strong whiff of the classic wood smell that I can still smell on it today. 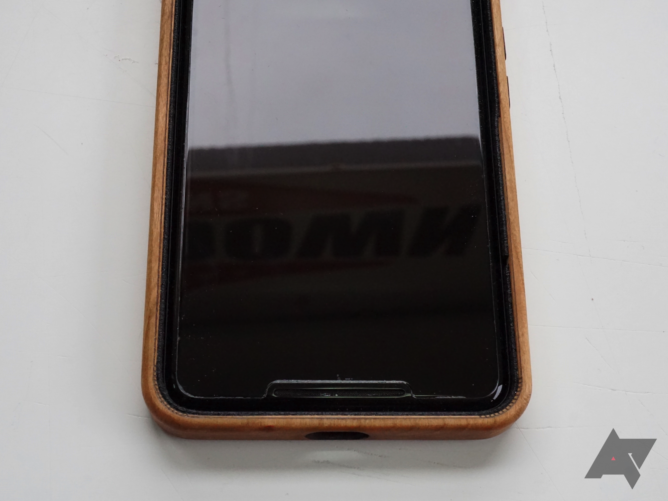 Putting my phone in took less fanfare than I'd imagined; all it took was pushing the phone straight into the case, at which point it's held in by friction from the suede lining. This is necessary since wood can't flex as much as plastic. 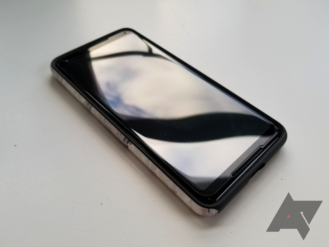 However, this also means that if you drop your phone facedown, it could be slightly forced out of the case into the ground since the lip doesn't really wrap around the front, even if it does provide adequate clearance for a glass screen protector. The case's overall quality is very impressive. Carving a case out of a single block of wood is no easy task, and the result is an expensive-feeling finished product. The wood is completely smooth to the touch, and there's zero chance that it'll give you splinters. 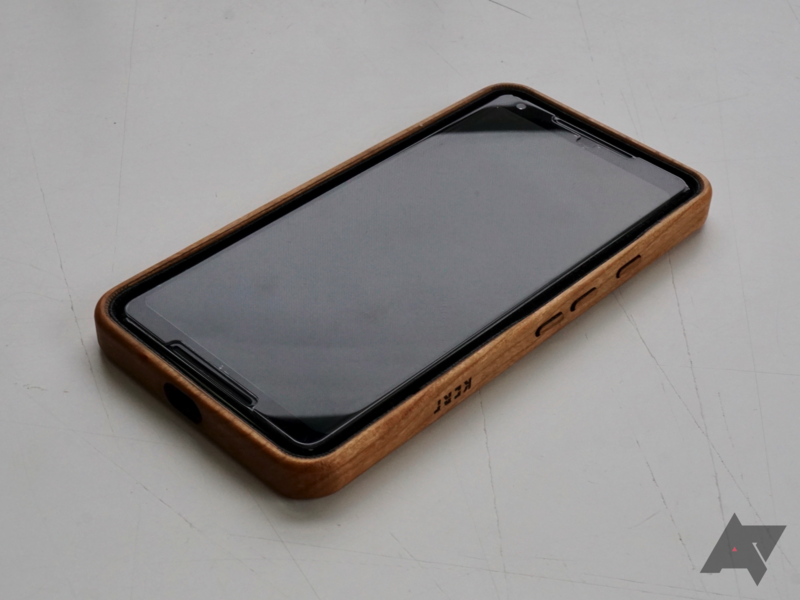 That might sound silly, but the Moment case's wood isn't nearly as smooth and, consequently, it's a little less confidence-inspiring in that regard. I did notice one corner where the wood maybe wasn't as well-sanded down as it could have been, but it's not at all noticeable in use. The cutouts are adequately-sized and line up perfectly, which I had some worries about on a wooden case. I was also worried about the buttons, but the KerfCase's buttons are some of the best I've used. From what I can tell, they're just small wood pieces glued to the suede lining of the inside, but they work very well. They're extremely easy to push and very tactile. Branding is minimal, with some small "KERF" text embossed into the right side. My only real qualm with the case is what you can see from the front; since the lip doesn't go around the front, you can spot the lining (including where it ends) and some less refined-looking stuff inside. It's just not something you'd want to see, but this is the consequence of a one-piece design. 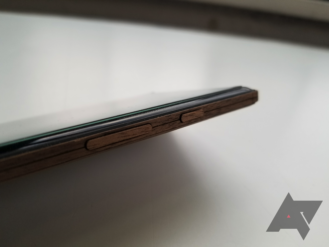 I have read some reports of the wood cracking when the case is dropped, but I don't believe it's a huge issue given the warranty. If you own this case, chances are you own another that you can use even if you have to send it in. And if the case isn't repairable, KerfCase will offer 50% off a new one. As you might imagine, these cases aren't cheap. 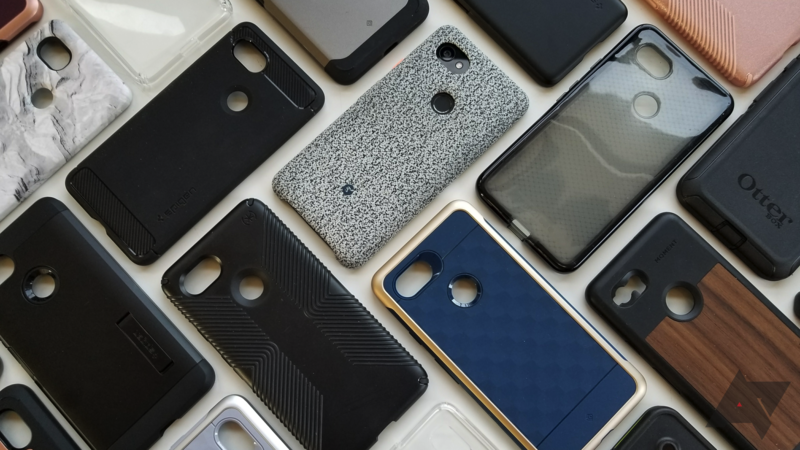 But with that being said, they're also not prohibitively expensive, and KerfCase is offering AP readers a 15% discount with code ANDROIDPOLICE. Prices start at $59 for walnut construction, though they do go all the way up to $239 for rosewood. The cherry case that I bought retails for $79. The fact that these come with a lifetime warranty doesn't hurt. 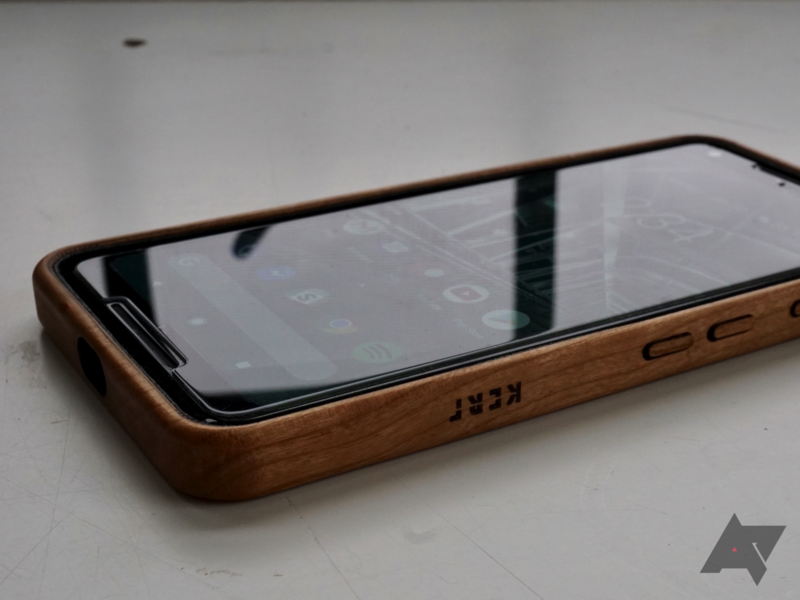 If you're looking for your phone to stand out from the crowd, I don't think there's a much better way than with a KerfCase. Recommendation: Buy it if you've got the dough. LifeProof has been producing rugged and waterproof cases for longer than I remember. Back in the days of when only the most rugged-looking phones were water-resistant, they made a great business case for themselves, but with the recent influx of water-resistant devices, they've become a little less relevant. 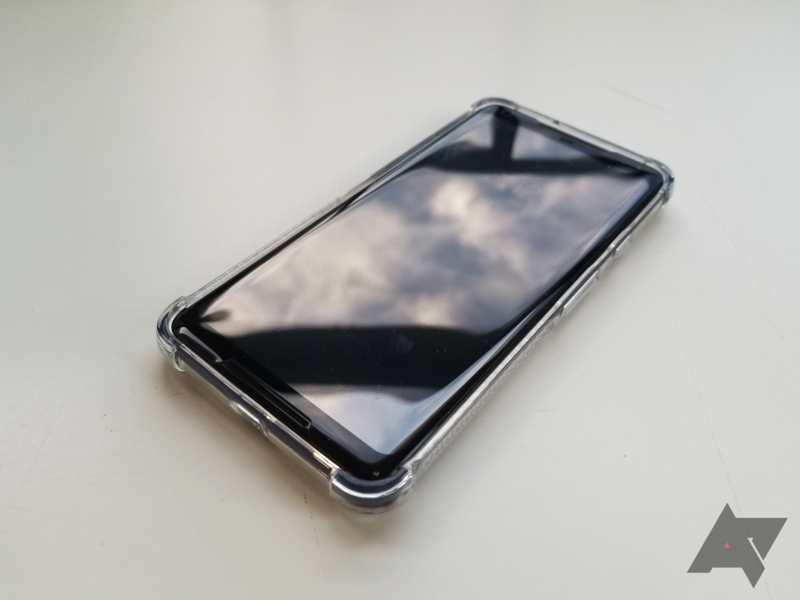 Nevertheless, because of the difference between water-resistance and waterproofing, the case might still be worth buying if you're an extremely active person. Protection This case legitimately covers your entire phone. Nothing is left exposed. Thickness Despite being very protective, it's still about as thin as most other cases. 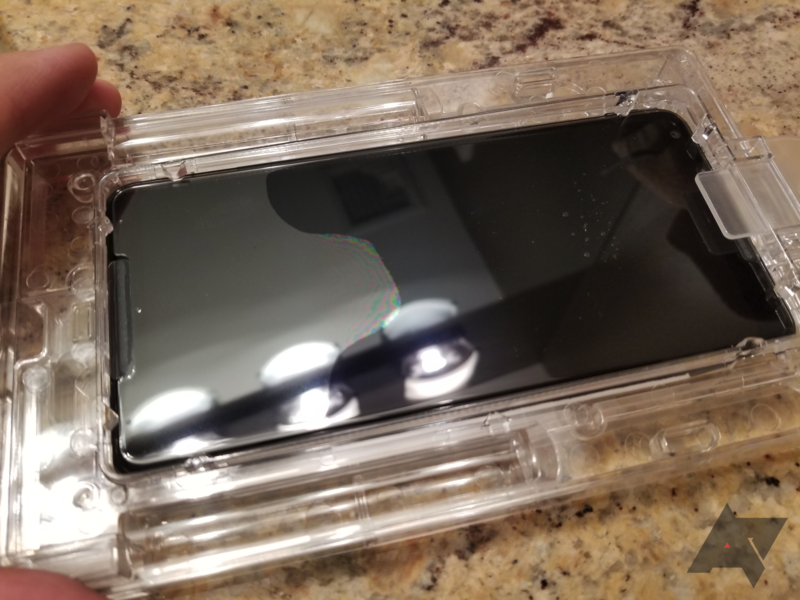 Waterproofing (not water resistance) LifeProof says that this case can actually be taken into saltwater with no ill effects, which is impressive. 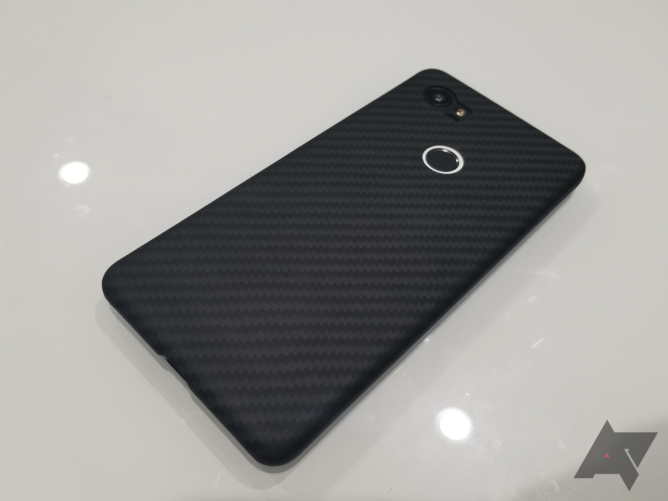 Materials The built-in screen protector and fingerprint sensor cover feel extremely cheap. Colors Both color schemes offered are too bright and in-your-face. The FRE is surprisingly slim for what it is. I was expecting it to be bulky like an OtterBox, but LifeProof did an impressive job here, considering all the gaskets and extra protection needed to ensure water doesn't make its way inside the case. It's actually a two-part case. When you first take it out of the box, it looks like you should pull it apart from the USB port after opening that flap. However, it actually disassembles with the back as one very slim piece, so you should pull from the gap left by the lanyard insert. Interestingly, the fingerprint sensor is covered by what looks like saran wrap. It still allows your fingerprint to be processed without issue, but it's cheap-looking and flimsy-feeling. The case is relatively easy to snap back together, but you really have to double-check to make sure the two parts are completely compressed without any gaps. Otherwise, you might be in for a nasty surprise. The built-in screen protector is better than I expected it to be, but that's not saying much. 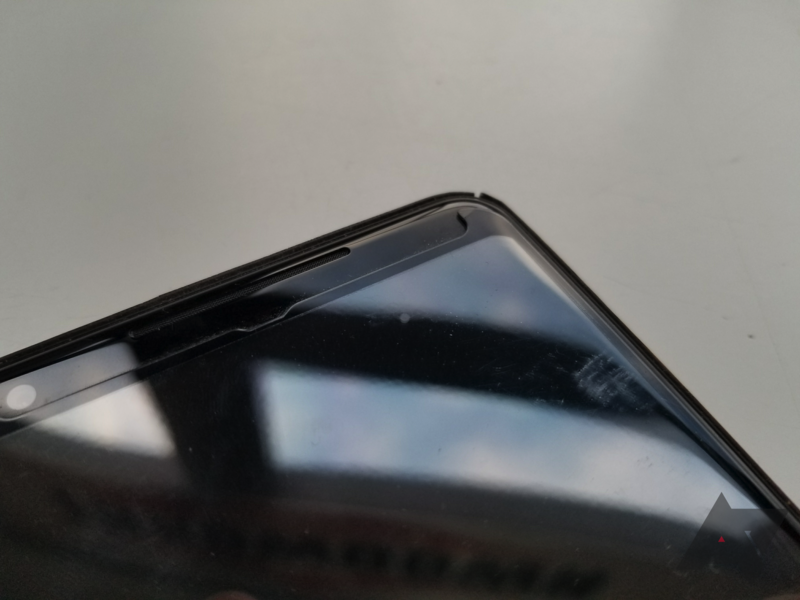 Unlike the ZAGG glass screen protector I had, you don't experience any issues with screen sensitivity - at least until you get to the edges, at which point you do have to push a tiny bit harder than you should have to. 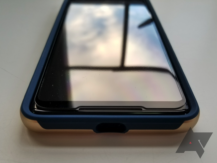 Because of the giant yellowish-green plastic bezel surrounding the screen protector, it's actually difficult to press some elements near the edges of the screen, namely the nav buttons. And if you're used to swiping down on the status bar from the center of the screen like I am, too bad; you'll have to learn to swipe from the top left or top right. 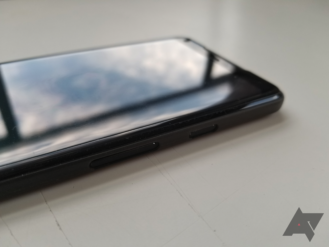 The front-facing speakers are covered by what appears to be the same kind of plastic covering the fingerprint sensor. In my testing, they did muffle sound output a bit, but not by too much. Even the camera and flash are covered, though I really didn't notice any image degradation. Buttons are a little more difficult to press than is ideal, but they're not terrible and they're still tactile. The plastic flap for the charging port makes space a little limited down there, but the stock charger fits in without issue. I did test it out by rinsing it with the phone inside under a sink and submerging it, and no water got in aside from some tiny drops on the charging port flap's gasket (which means it did what it was supposed to do). The case is rated for IP68 water and dust protection (the Pixel 2 XL comes with IP67) and MIL-STD-810G certification. I'd feel confident if I dropped my phone onto asphalt or into water with the FRE on. In fact, the FRE is actually rated even against saltwater since it completely insulates the phone from the outside world. 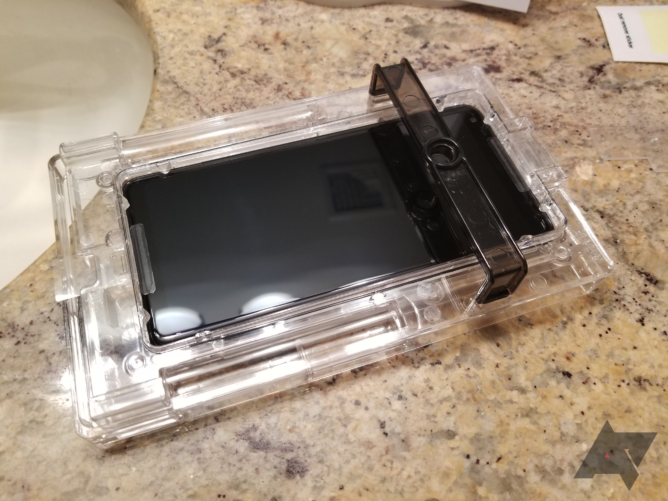 This case will be useless and pointlessly restrictive for 95% of the population, but for the 5% that do live a super rugged lifestyle and need a case that is anything-proof, the LifeProof FRE is a good buy. The MSRP of $89.99 is a little absurd, but the going price of around $50 on Amazon is much more reasonable. Of course, it's still noticeably more expensive than regular cases, but it's also much more capable. The review was updated and the recommendation changed due to a misunderstanding about the case's capabilities. I initially inferred that the case was simply water-resistant, but in actuality, it's waterproof. As such, I felt that it was necessary to take a look at it from a different angle. Recommendation: Buy it if you live an active lifestyle. 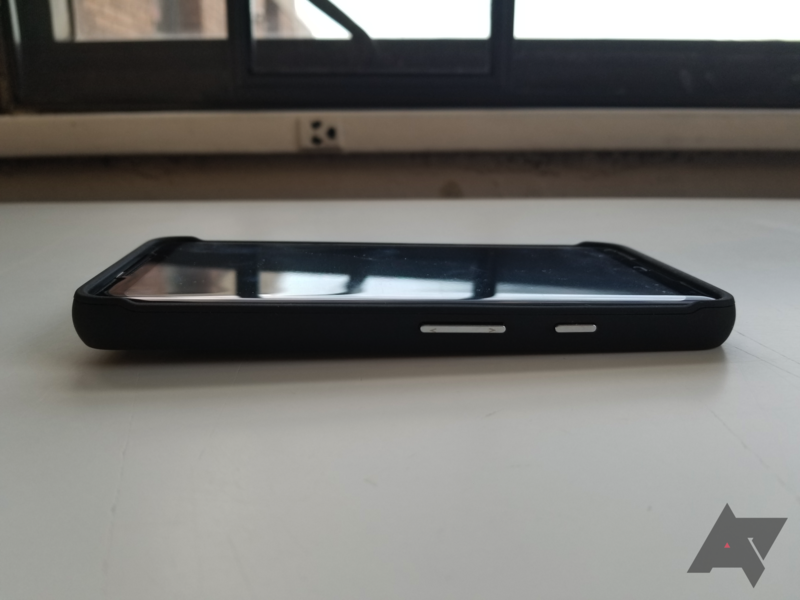 Prior to receiving this case, I thought that cases couldn't get any thinner than Spigen's Thin Fit or Pitaka's MagCase. Boy, was I wrong. This nameless case from MNML (get it? it's a minimal version of the word 'minimal') is almost impossibly thin. It's barely thicker than a vinyl skin, and yet it's a case. It's ridiculously minimal. Thickness Holy crap. It's just so thin. Price It probably costs less to make than an average case, but I'm sure the company could charge more if it wanted to. Colors You've got a variety to choose from. Protection This is only really going to keep your phone free of scratches. Everything about this case is minimal. 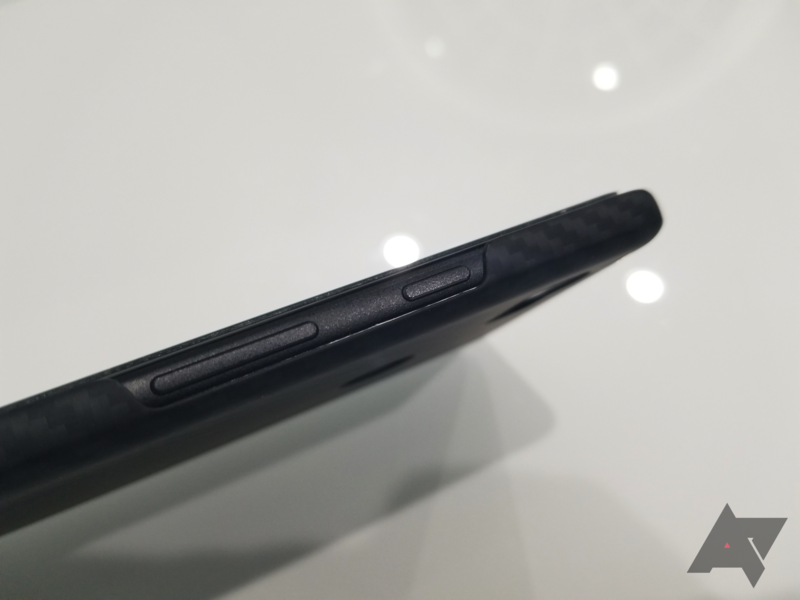 Obviously, the first thing your eye is drawn to is just how thin the case itself is. It legitimately feels no thicker than a sheet of paper, but it forms perfectly around your phone's body. It's almost like a full-body skin, except you don't have to deal with hair dryers and microfibers to install it. Every cutout is very small and very precise, and there's no lip on the front. The USB-C port's cutout is only slightly larger than the port itself, and the same is true for the power and volume buttons. This works because of how thin the case is; even if you have a USB Type-C cable with a larger end, it'll still fit over the case. The minimalism continues on the back. There's no branding at all, which MNML is quite proud of. The camera cutout is as precise as it can possibly be, with the cutout going exactly around the lens and the flash. The fingerprint sensor cutout, however, is quite a bit larger than the sensor itself to ensure that use is still easy. There's also a circular ridge around it so that you can find the sensor easily without looking. 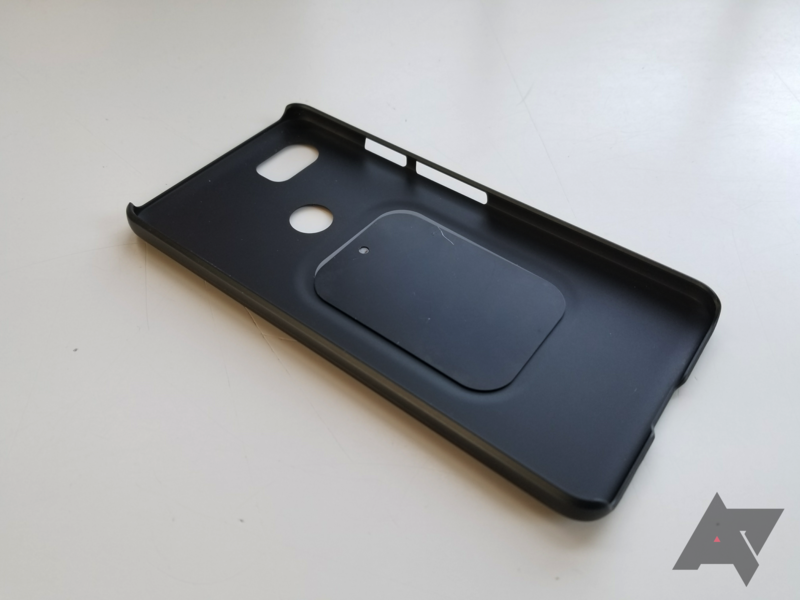 The buttons are a little bit more difficult to access, but again, given the slimness of the case around the cutout, you won't have any issues. By all definitions, MNML has produced a case, though it honestly feels more like a skin. It's superbly minimalistic, but that means that it's also not very protective. This won't save your phone against anything other than scratches. It's priced at $24.99 usually, though I can't tell if that's an artificial MSRP as I've only ever seen it at $14.99. That's a pretty good price for the unique product that you get. 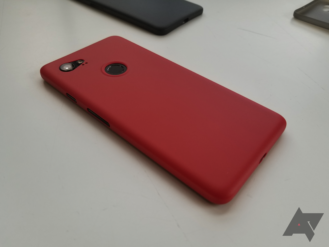 It comes in five colors, all of which look pretty good: Clear Black, Clear White, Matte Black, Really Blue (a nod to Google's naming), and Red. Recommendation: Buy it - just try not to drop your phone with it on. 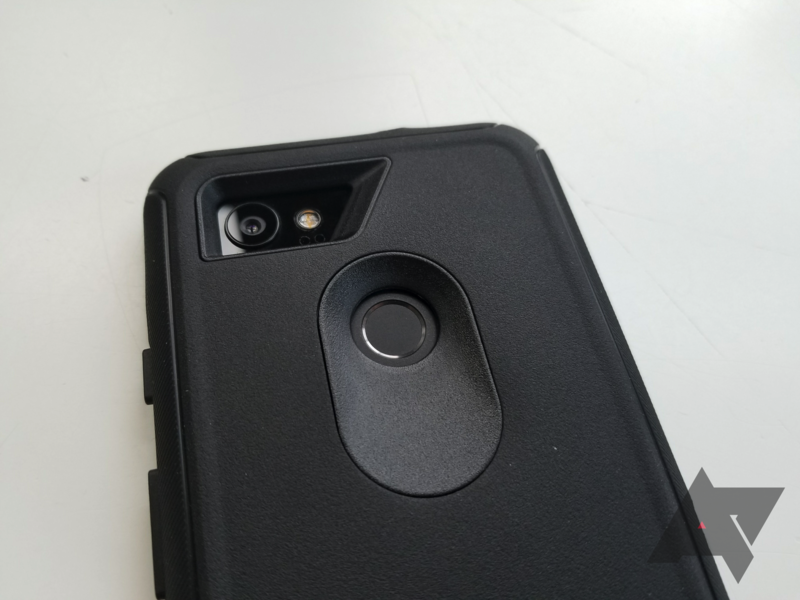 As you might be able to tell from the name (and the camera cutout), this case is intended to be used with lens attachments. We'll have a review of those in conjunction with this case up soon. But it turns out that Moment has made a case that is actually pretty kickass on its own. It's very well-made, and in my opinion, it's worth every bit of the $30 it costs (sans lenses). Design It provides a clean, modern look, even if you don't go with the wood insert. Materials The case itself just oozes quality, and the walnut option takes it up another notch. Lens attachments Of course, we can't forget that you can screw lenses straight in. Protection The bottom is left wide open. That's not good. Unless you're really into mobile phone photography, I don't imagine many of you would have heard of Moment before, but it's been doing this sort of thing for a few years now. 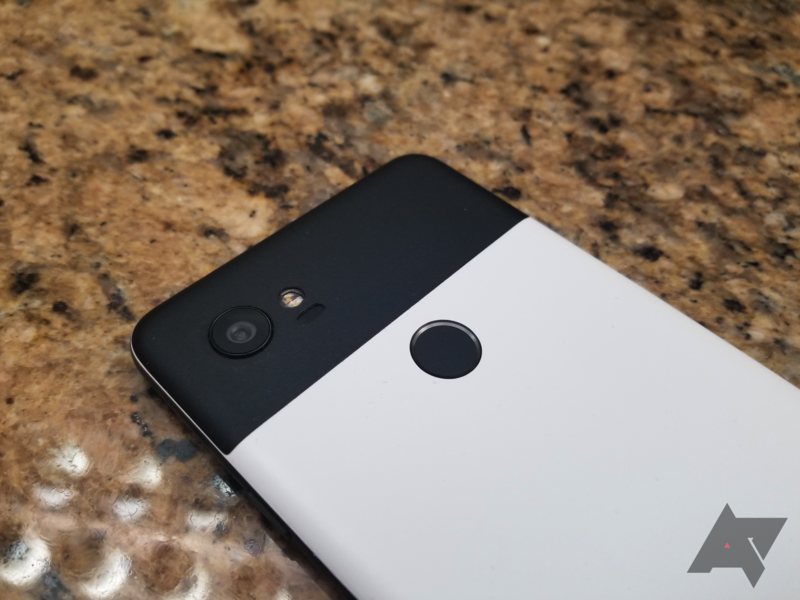 For the Pixel 2 XL, Moment has actually gotten 'made for Google' certification for the Photo Case. I can tell why, though; the case just feels so damn premium. 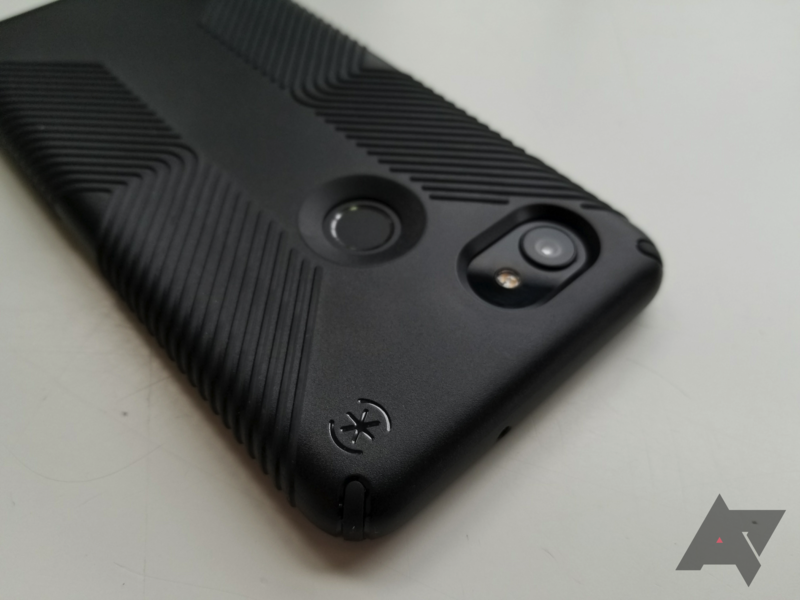 The rubberized texture on the exterior feels fantastic in the hand and adds grip. The stained and wax-coated dark walnut insert (you can also get black canvas) looks and feels great. Not only does it add a unique touch, Moment also says the texture also allows for easier one-handed shooting. I guess that kind of makes sense, but it's more about the look to me. The interior is lined with microsuede, which adds just a bit more protection. Markings on the Photo Case are very subtle. 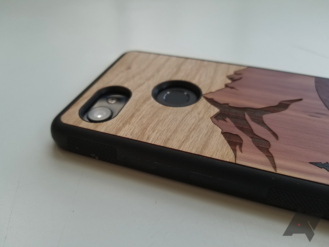 There's some small 'Moment' branding next to the camera, a little indicator on the side of the case to aid with lens installation, and a bit of tasteful 'Long live the picture taker' text carved into the wood piece. There are two thin holes for a lanyard on the bottom, which is, unfortunately, exposed. So try not to drop your phone with this case on. The buttons are a little bit hard to find since they're not significantly raised. They're also a bit spongy, so they're definitely not my favorite buttons, but they're serviceable. The lip on the front will not clear a glass screen protector, as I learned the hard way. Moment will sell you a Photo Case for $29.99, which is lower than I was expecting before I looked the price up given the sheer quality of the case. The Google Store wants $129.99 for the case and the 'new wide lens,' which retails for $99.99, but it's currently sold out there. Thus, the best place to buy one of these is Moment's official site. 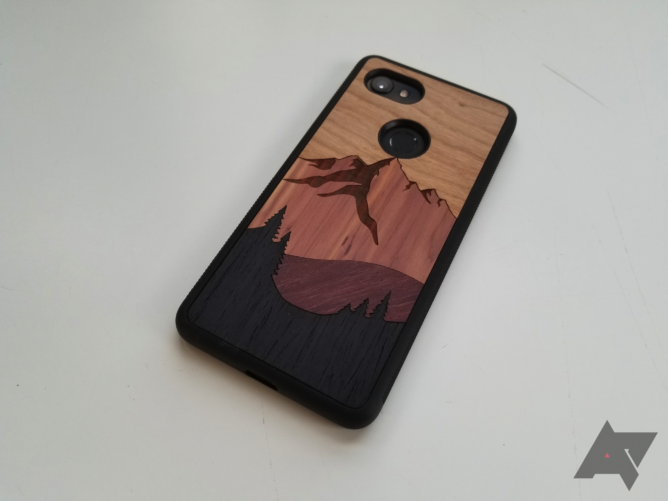 If you want a special case, this and the Google Fabric case are two you should look out for. Plus, the additional lenses are cool, if a bit pricey. Recommendation: Buy it for the great design and build, and if you plan on buying some lenses down the line. If there's a case brand that everyone and their grandmother's heard of, it's OtterBox. 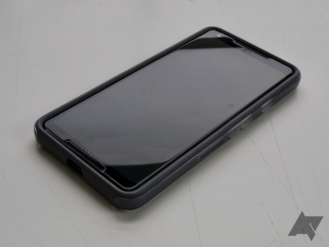 The company has become famous for producing heavy-duty, yet pricey cases. 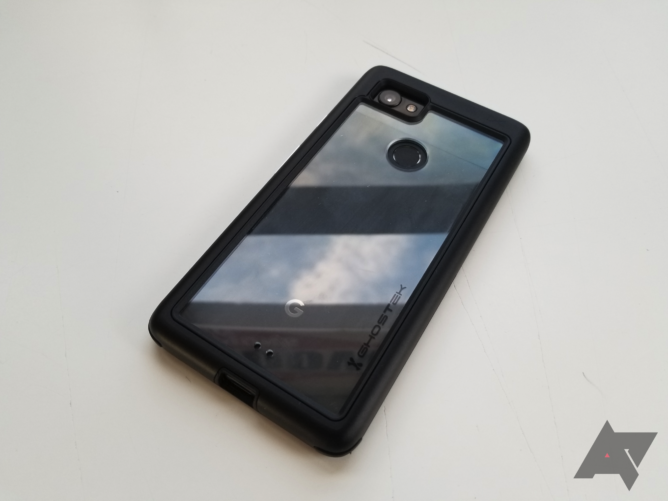 Arguably its most popular case, the Defender, is now available for the Pixel 2 and 2 XL. But unless you work on a construction site or in some other physically tasking environment, there are better options. Protection As always, the bulky Defender will keep your phone safe at all costs. Holster There's one included for those of you who are like Dwight Schrute and prefer to have your phone hanging off your pants. Assembly It's extremely hard to remove, thanks to the thin, two-piece plastic frame. Price $50/$60, or even Amazon's $36, is a lot for a case. The Defender is easily the biggest case that will be featured in this roundup. It's thick, it's wide, and it's heavy. This is all thanks to the dual-layer design, which comprises a rubber external layer and a two-piece polycarbonate frame. 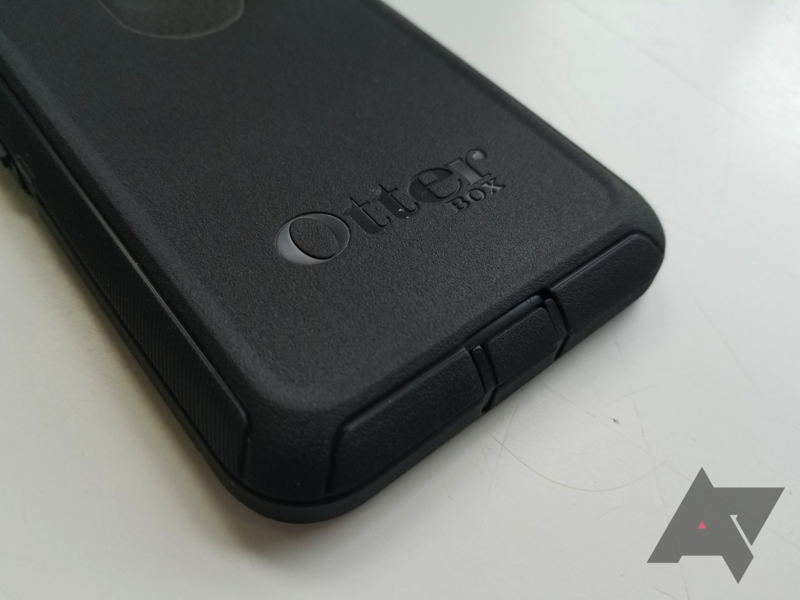 The rubber layer features textured panels on the left and right sides for improved grip, as well as some prominent OtterBox branding on the back. However, the polycarbonate bit is extremely hard to take apart due to the clips it's held together with and the sheer brittleness of the material; every time I (attempt to) remove the case, I feel like I'm going to break something. That's not something you'd expect from a case of this caliber. 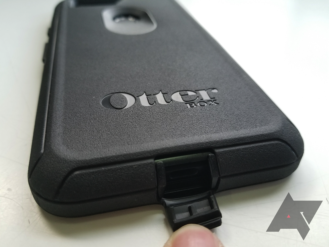 It does pass OtterBox's Certified Drop+ Protection standards, so I wouldn't be worried about punting it around once the rubber layer is wrapped around the outside. The soft layer inside the polycarbonate frame likely helps with that. There's a gradual slope leading to the fingerprint sensor, as anything else would make it next-to-impossible to use. The angular cutout around the camera and flash makes for an aggressive overall look, which does make it appear pretty menacing. 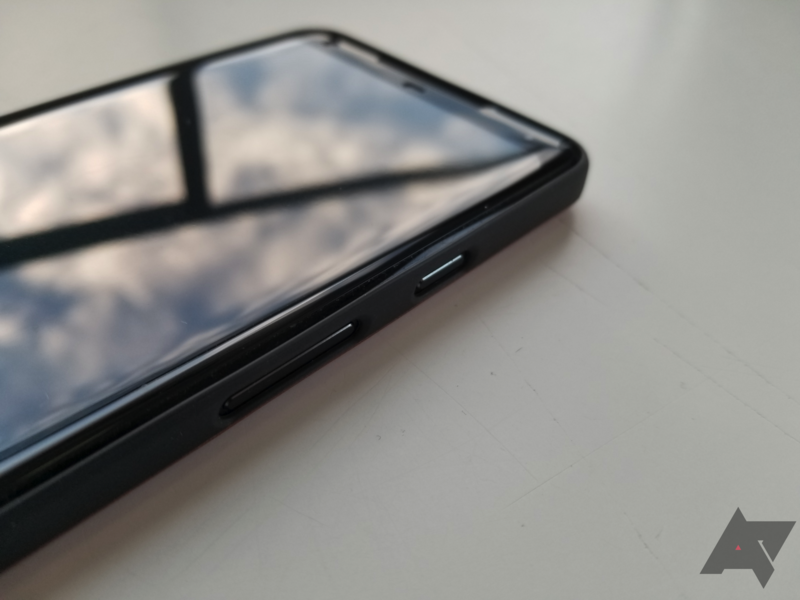 The USB-C port is covered by a cover that, in an interesting twist, is hinged from the top. 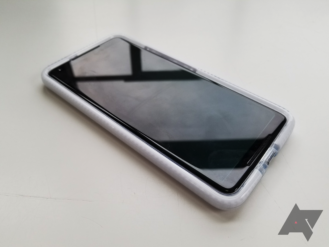 This cover is useless unless you frequent extremely dusty environments, as the Pixel 2 and 2 XL are already IP68 rated against water and dust. The buttons are a little harder to press than I'd like, but they do produce satisfying clicks. Unlike many previous Defenders, this one doesn't come with a built-in plastic screen protector, which is a blessing in my eye. Those tended to scratch quite easily and didn't feel great when tapping, and they'd also be difficult to replace. 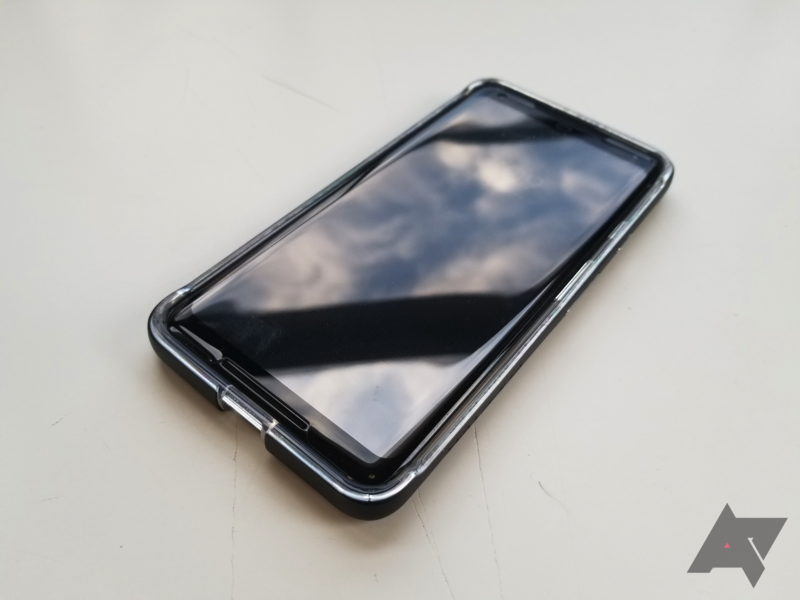 A glass screen protector or case-friendly plastic protector will fit here well, and the giant lip will still keep them off the surface when the phone's slammed face-down. I'd imagine that many people won't use the holster, but it's there if you need it. 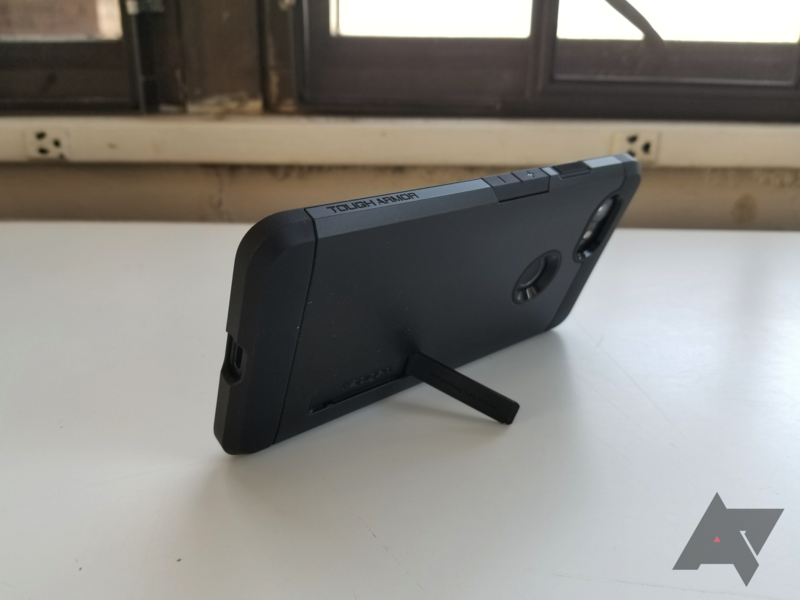 It can also function as a kickstand, but that's a bit harder to set up than it should be and doesn't support many angles. I can't recommend the Defender to the average person due to its many downfalls: excessive bulk, difficult disassembly, pointless port cover, and so on. It's only in the harshest of conditions where I'd say that all of the Defender's "features" would come in handy; otherwise, they're just dead weight. The high price ($60 MSRP for the XL, $36 currently on Amazon) doesn't help. Recommendation: Don't buy it - it's big and bulky for no good reason. 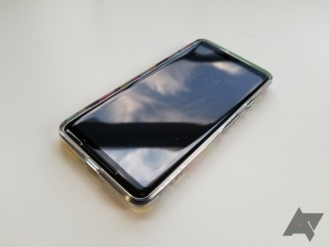 I'm not going to lie; I thought that the Peel might actually be the exact same case as the MNML, just rebranded, before I was able to compare them in person. After all, they're both super-thin cases made of the same material with the same basic design. In my opinion, the Peel has a slightly better design, but it's also more expensive than the MNML. Design This is obviously the highlight of the case, and it is indeed very thin. Protection (kinda) Unlike with the MNML, there's a bump over the camera area to better protect it. Price $24.99 is a lot more than the MNML's $14.99. Protection Let's be real - this isn't going to protect your phone from anything other than scratches. Since Peel is a direct competitor to MNML, I'm going to be making a lot of comparisons to the MNML here. The fundamentals are all the same: thin plastic material, accurate cutouts, exposed buttons, and so on. However, they differ in a few ways, and one of them is in terms of protection. 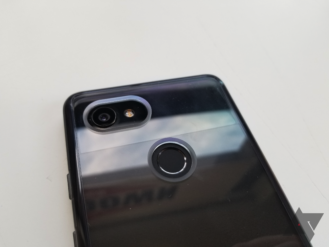 Whereas the MNML has a raised area around the fingerprint sensor and nothing really around the camera, the Peel has the opposite. 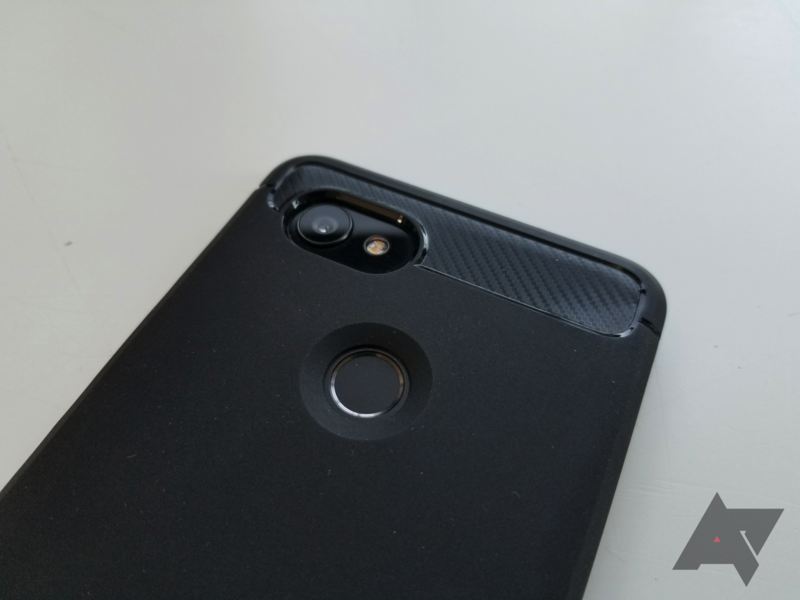 Both are valid methods of protecting the fingerprint sensor and camera, though I'd argue that Peel's is slightly better. The MNML also comes in more colors, while the Peel only comes in "silver" (it's more of a frosted white) and "black." But the main difference here is in price. While MNML lists its case's MSRP as $24.99, it's always priced at $14.99. Peel's MSRP is $24.99 as well, but that's the price you have to actually pay. For the extra $10, you get a slightly better design, but you also lose color options. Looking at the facts, it just doesn't make much sense to buy the Peel. Recommendation: Buy an MNML if you want this design. Is the Spigen Thin Fit too thick for you? Do you want a more exotic material? Look no further than PITAKA's MagCase. It's like the Thin Fit's more extravagant brother, with its even slimmer design, fancier material, and an integrated magnet for magnetic mounts. It sounds like the perfect case on paper, though it's not without its flaws. Material It looks nice, it's lightweight, and it feels good. What's not to like? Magnet I've never seen a case with one integrated into the back before. Protection There's not a lot of coverage here. Price $50 is a lot of money for any case. 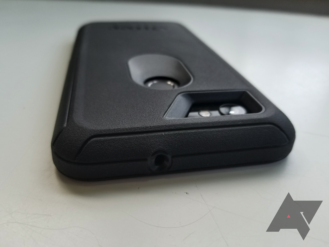 The most striking characteristic of the MagCase is its material, aramid. Kevlar is based on this stuff, so it's definitely pretty strong. That being said, the case is still very thin and doesn't offer a lot of coverage, leading me to worry about how it'd fare in a drop. The lip doesn't even extend past the display. 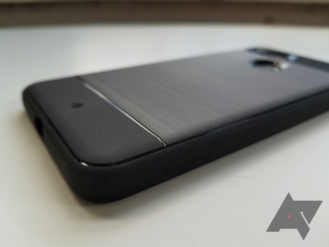 The case has a nice soft-touch finish and it's pretty lightweight, though it is somewhat of a fingerprint magnet. Since the case is basically a shell, there's not much to worry about. The buttons are exposed, though they are a little obstructed by the case on the bottom. 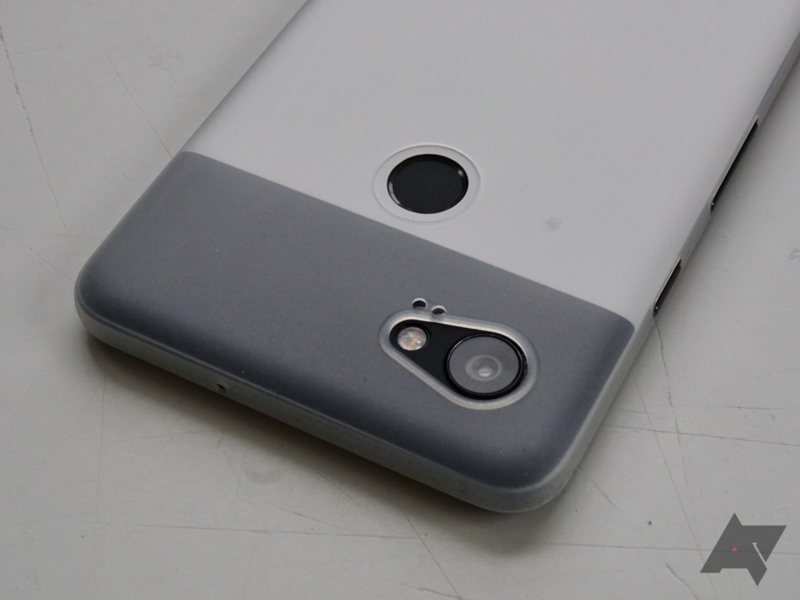 The cutout for the fingerprint sensor is adequate, as is that of the camera (even if it is shaped a little weirdly). The integrated magnet on the back is cool, though you will need to pay an extra $10 to get the mount from PITAKA. That mount was too large for the air vents in my old BMW, though your mileage will obviously vary. I tried using a run-of-the-mill circular magnetic mount off Amazon, but that didn't hold it very well for some reason, even though it held my Thin Fit and its magnet just fine. Again, this may not be an issue for you, but it's important to keep in mind. If it were my money, I don't think I'd buy a MagCase. Sure, the material is cool and the integrated magnet is handy, but $48 is an awful lot of money for a case that wouldn't really protect my phone in a drop. On top of that, the magnetic car mount is an additional $10 from PITAKA for a $58 total, and that might not even fit in your car. In contrast, the Thin Fit and a set of magnetic mounts would barely cost $20. 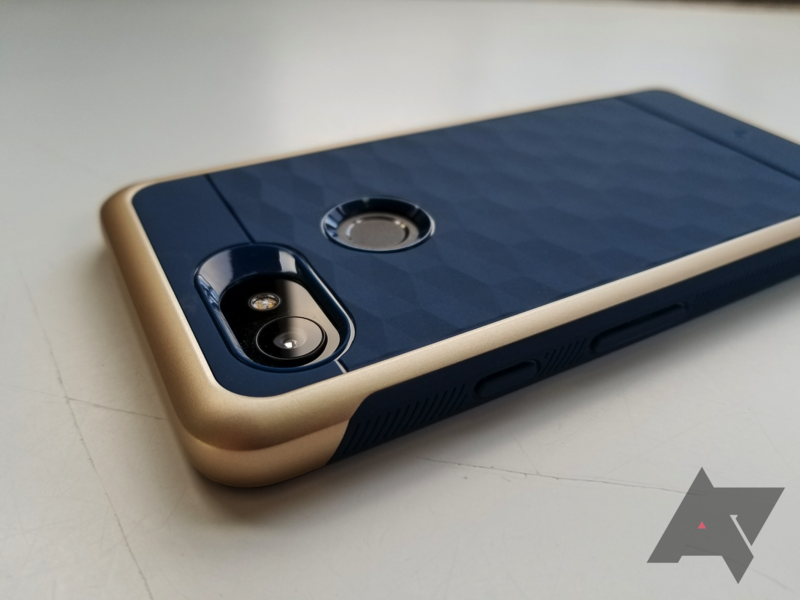 If you really like the material, I wouldn't blame you for wanting a MagCase, but it's not a practical buy. 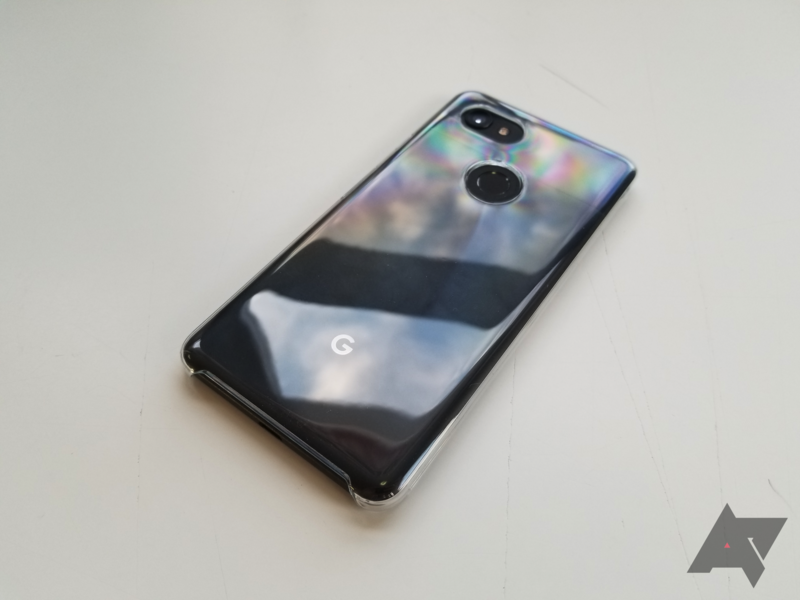 And for what it's worth, the Pixel 2 XL size doesn't seem to be in stock right now. Recommendation: Don't buy it - the alternative is much cheaper. The name 'Power Support' doesn't sound like it'd be a case company's name. 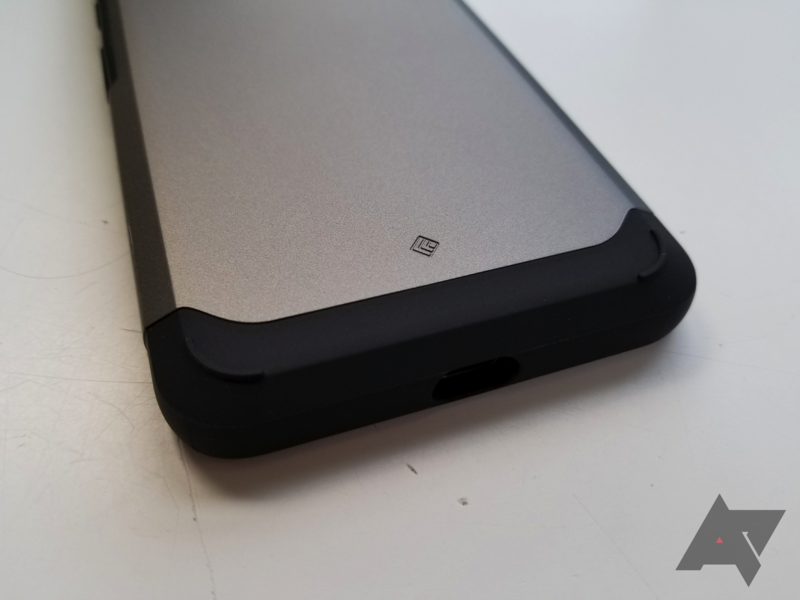 When I first heard it, I thought it produced batteries, or maybe battery cases, but it turns out that it just makes regular cases and screen protectors. 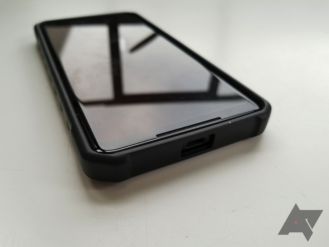 Power Support has garnered itself 'made by Google' status on its Pixel 2 Air Jacket case, but that doesn't necessarily make it good (as we've seen from Bellroy). Unfortunately, this case falls into a similar situation. Design It's thin and minimal, and it's almost invisible. Grip Hard plastic is a slippery material, and that's the case (ha, pun) here. Price $34.95 is far too much for a clear case that has nothing really going for it. Protection Good luck if you drop your phone. You'll need it. 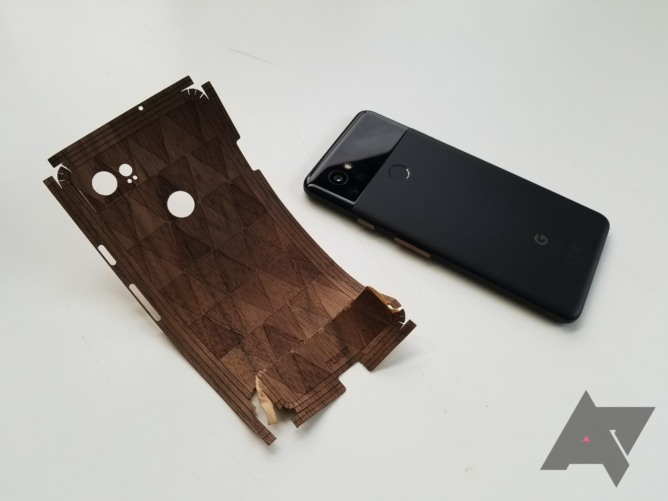 In its Google Store listing's photos, the Air Jacket looks pretty sharp. It paints the picture of a barely-there case. It turns out that's true, but not in a good way. 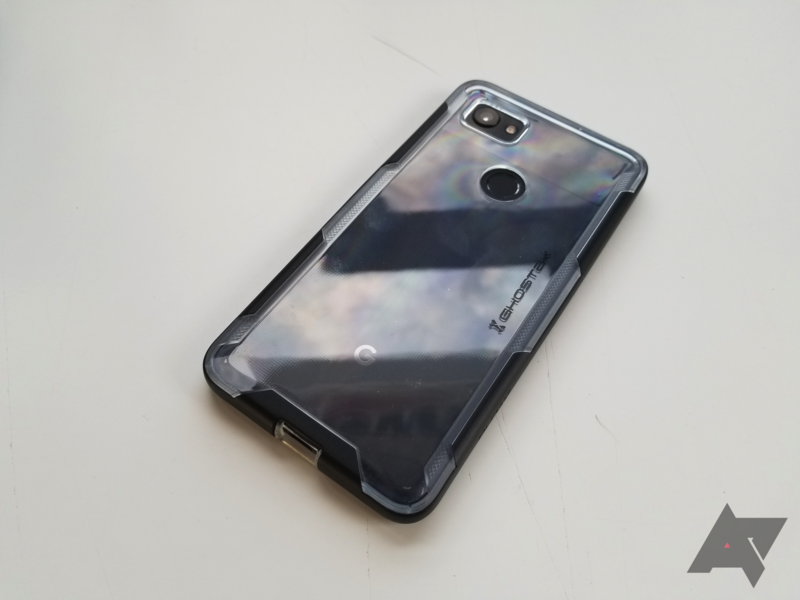 The case is entirely made of polycarbonate, a hard plastic material that is not at all ideal to make an entire case out of. It's fairly scratch-resistant, but that's about the only thing going for it. As you might imagine, it's quite slippery. And given the nature of the material, I honestly think the case could crack/shatter with a hard-enough drop. It also feels like it could pop off, which is never a good feeling. Keep in mind that the bottom of the case is exposed, too, so there's another potential issue. Oh, and the lip will not save anything. The rest of the case doesn't get much better. 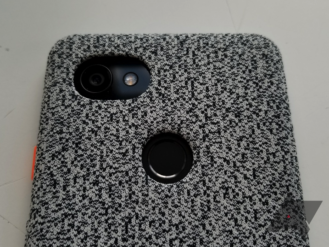 The back seems to be privy to the rainbow effect, even if it is less prevalent than on clear TPU cases. The buttons are just cutouts with tall surrounds, making them very hard to push. 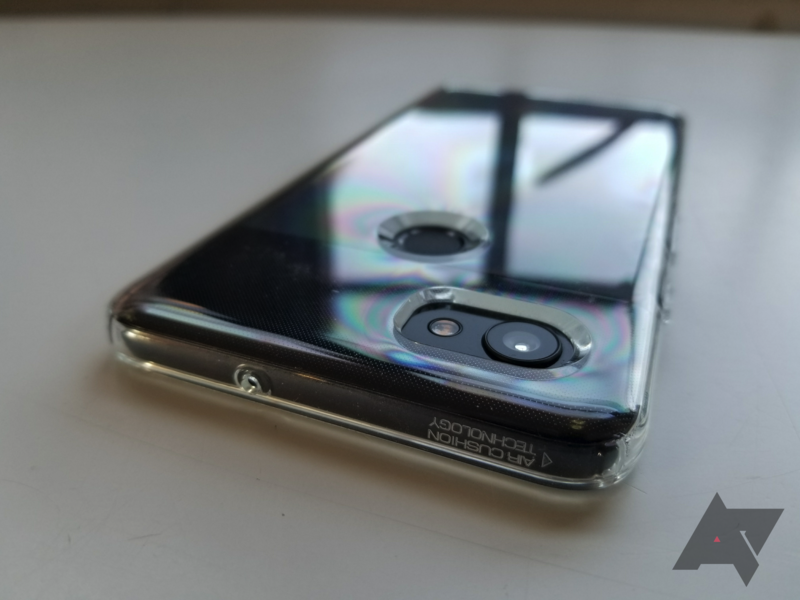 The fingerprint sensor cutout is large, but that means that it produces somewhat of a strange visual effect over the glass portion of the back. It honestly feels like some sort of jewelry piece, but that is not what you need out of a case. The Air Jacket is a bad case, plain and simple. It's not protective at all, it's slippery, and the buttons are awful. On top of that, it's a whopping $34.95 on the Google Store. I'd hesitate to pay $5 for this case, and that's not an exaggeration. Please don't buy this thing. Recommendation: Don't buy it - it's just a bad product. The last time I bought/used a Ringke case was when I got my Nexus 5. I haven't seen any of the company's offerings lately, and quite honestly, I thought they'd gone bust. But many of you seem to be enjoying your Ringke cases, so we reached out to them for some review units. I was pleasantly surprised with them. Let's start off with the Bevel. Design It's unique and eye-catching, making TPU a lot more interesting. Price Cases don't get much cheaper than $9.99. Protection All four edges and corners are covered in TPU. Fingerprints They attach to this material quite easily. 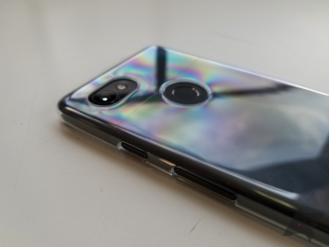 The Bevel's claim to fame is its random patterns of lines on the back, which are pretty cool-looking (and cool-feeling when you're holding your phone). 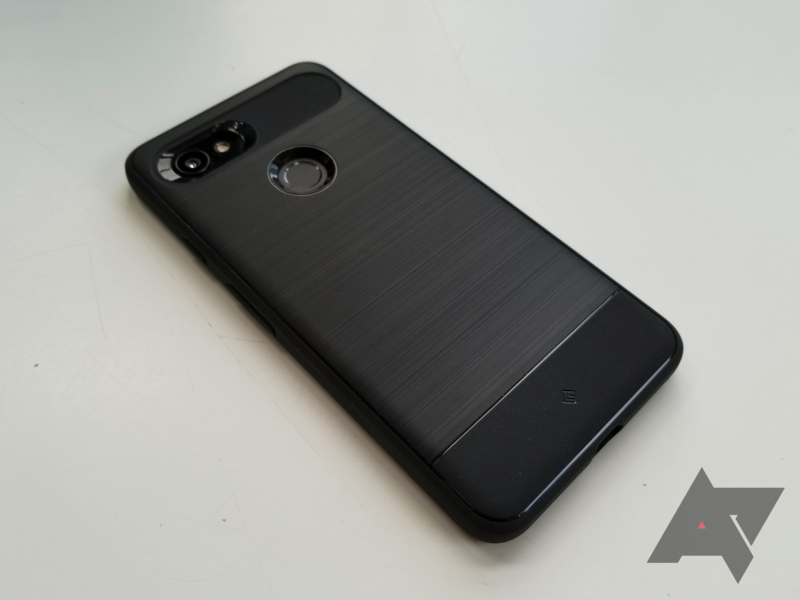 Aside from that, it's pretty much a standard TPU case, but that's not a bad thing. All four corners are protected, and the lip is enough to hide even a glass screen protector. The front has a slight bevel, which is where the product name probably comes from. That edge feels a little rough, but it's not a big deal since you barely even touch it. Other aspects of the case are great as well. The buttons are very tactile, just as they should be. The cutouts for everything are nothing special, but they're well-designed and don't intrude on anything. There's even a lanyard holder, though nobody outside of Asia uses them and you'll have to buy it separately. Branding is restricted to some small 'Ringke' text on the bottom right of the back. I really don't have much to complain about here. The Bevel is a good case, period. It's protective, has a unique design, and best of all, it's cheap. It comes in three colors: Clear, Rose Gold Crystal, and Smoke Black. If you're on a budget or just want something new, the Bevel is a fantastic choice. 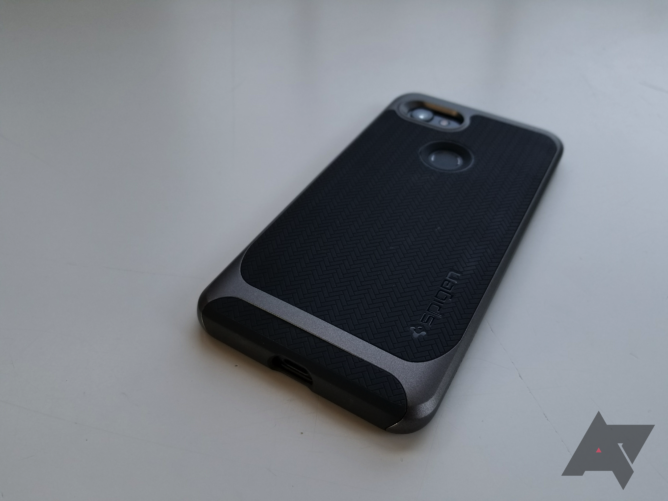 The Fusion is the only case I remember in Ringke's product line, as I owned one for the Nexus 5. I remember thinking about how similar it was to another case from Spigen, which I'd also bought. 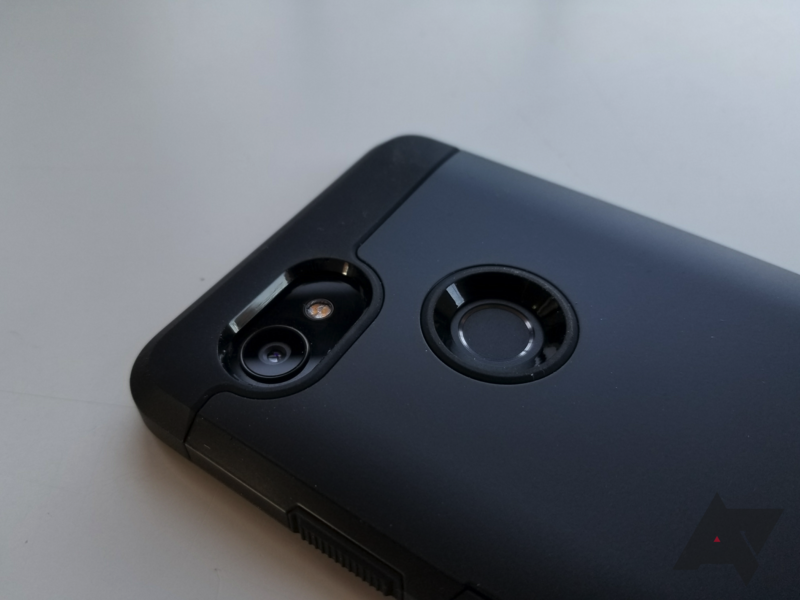 Several years later, I own a Ringke Fusion for my Google phone once again, and it's quickly become one of my favorite cases. Allow me to explain. Design It's a good-looking case, showing off your phone's back while also adding some character of its own. Price $10.99 is peanuts for a case this nice. Protection Everything that needs to be covered is covered. Fingerprints The clear back attracts them easily. There's virtually nothing bad about the Fusion. 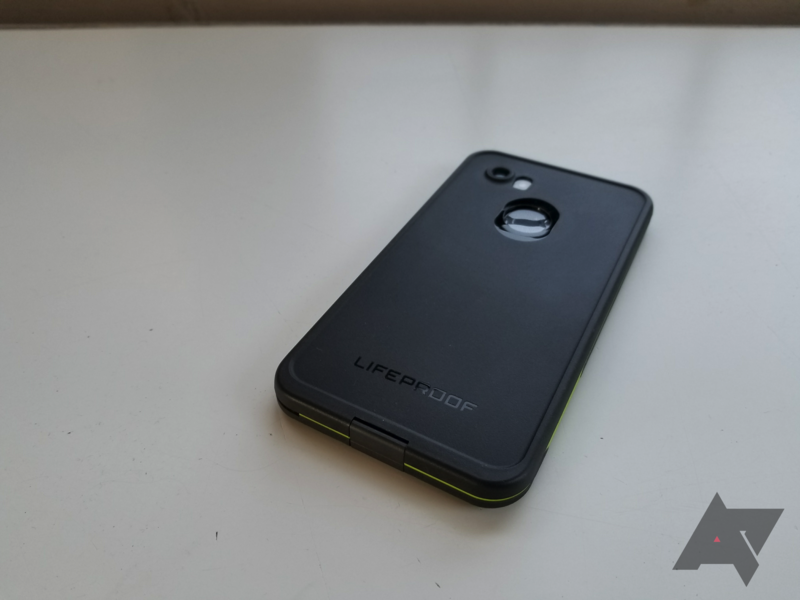 Protection-wise, it excels thanks to its TPU frame. 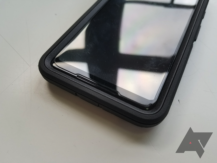 All four corners are concealed, and the lip on the front is enough to clear a glass screen protector. 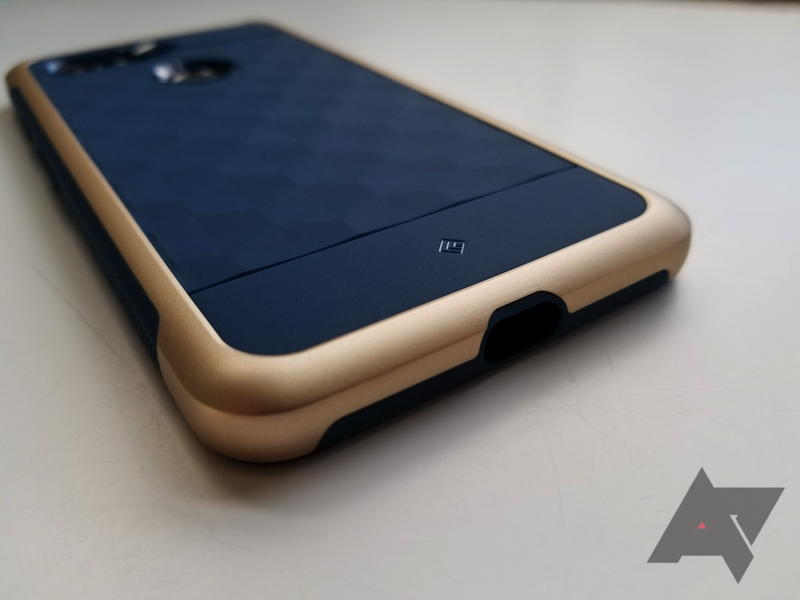 The optional colored frame makes the case look more premium than it really is. The clear back is actually hard plastic, and it avoids the infamous rainbow effect that plagues so many cases here. 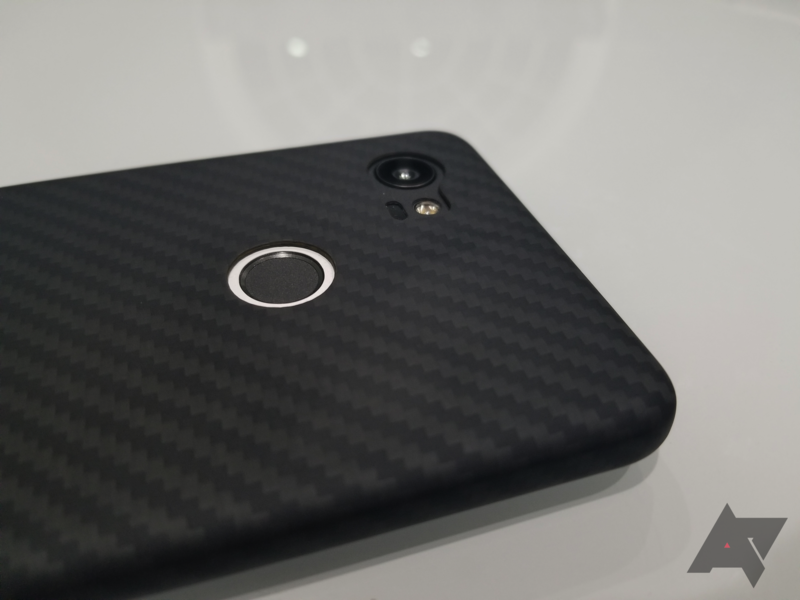 However, it is a little bit of a fingerprint magnet. Buttons are fantastic just as they are on most TPU cases, and the cutouts are nothing noteworthy either, which is good. The lanyard holder that Ringke seems so attached to is present here as well, but let's be real: you're not going to use it. Branding is practically invisible (a slight 'Ringke' branding on the right side). The makings of a great case are all here. The Fusion has quickly become on my favorite cases, even though its price barely touches the double digits. Like the Bevel, it's just a good case; there's a reason it has an 'Amazon's Choice' badge tacked onto it. I prefer the clear back of the Fusion to the patterned one of the Bevel, though that's personal preference. You can't go wrong with either. 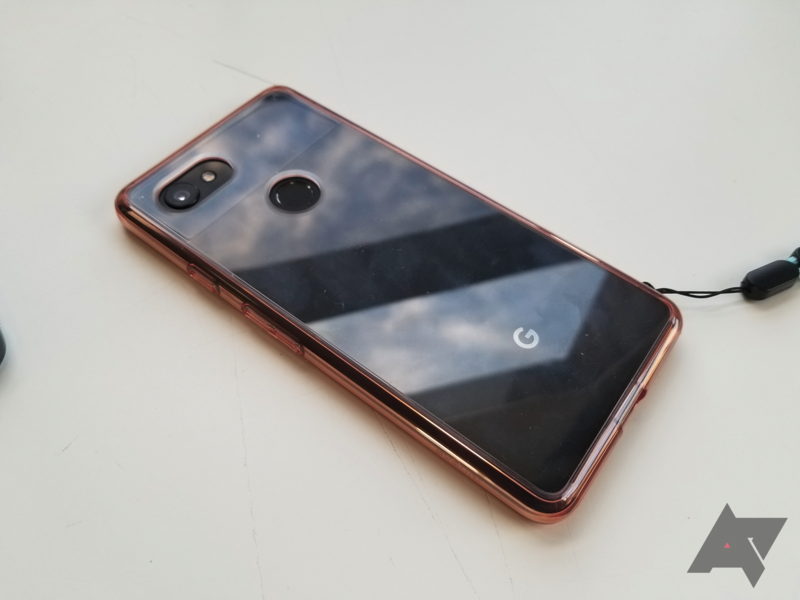 It is worth noting that while the clear version is $9.99 (or $8.99 for the standard Pixel 2), the Rose Gold Crystal and Smoke Black colors add an additional dollar to that - not that that kills the deal, of course. Like OtterBox, Speck has been a staple of carrier stores, and subsequently, people's phones for some time. One of the company's main product lines is the Presidio family, which is split into the Presidio Grip and Presidio Clear. We're going to focus on the Grip for now, which I'd imagine will have a lot more takers. 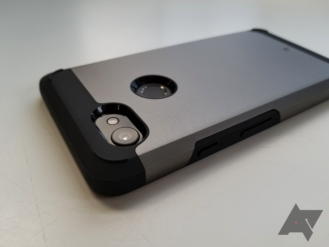 If you can swallow the $40-45 price, this is one of the best cases on the market. Protection The overall thick construction, rubberized corners, and shock-absorbing design mean this'll protect your phone very, very well in a drop. Grip With all of the rubber on the exterior, this thing will never slide out of your hands. Grip (again) The rubber also makes it a bit difficult to slide the phone in and out of your pants pocket, and the bulkiness of the case itself doesn't help. Price $40 for the Pixel 2 case and $45 for the Pixel 2 XL case isn't an insignificant amount. 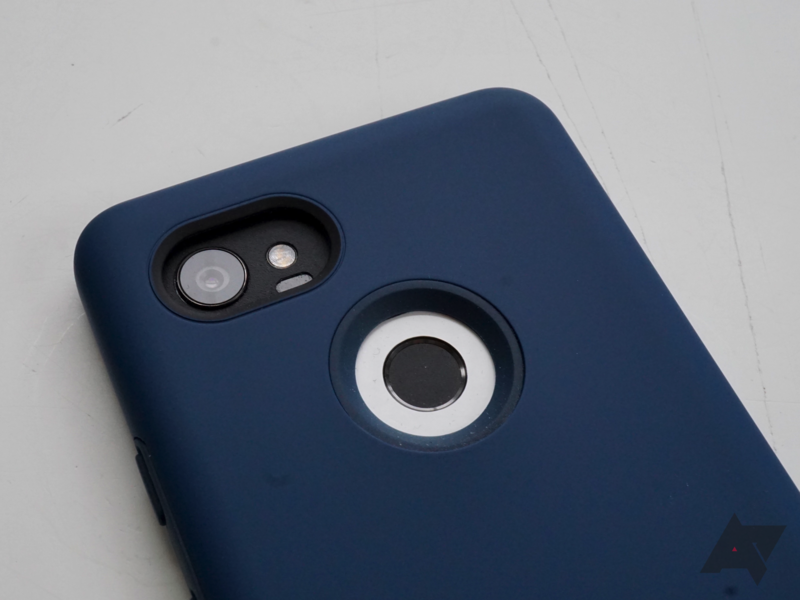 The Presidio Grip is a seriously well-rounded case for the clumsier. The matte finish on the plastic is scratch-resistant, though I did manage to mar it with pressure with my keys. The sides and edges are lined with a ton of rubber for added grip, and it's definitely helpful. The sizable lip up front is rubber, and will clear even the thickest of screen protectors without a problem. The rubber buttons are among the most tactile I've had the pleasure of clicking, and the USB Type-C port opening has a decent amount of space. Of course, the bottom edge is covered since this is more of a rugged case. Even the interior is lined with rubber for increased shock resistance. This case doesn't play around. 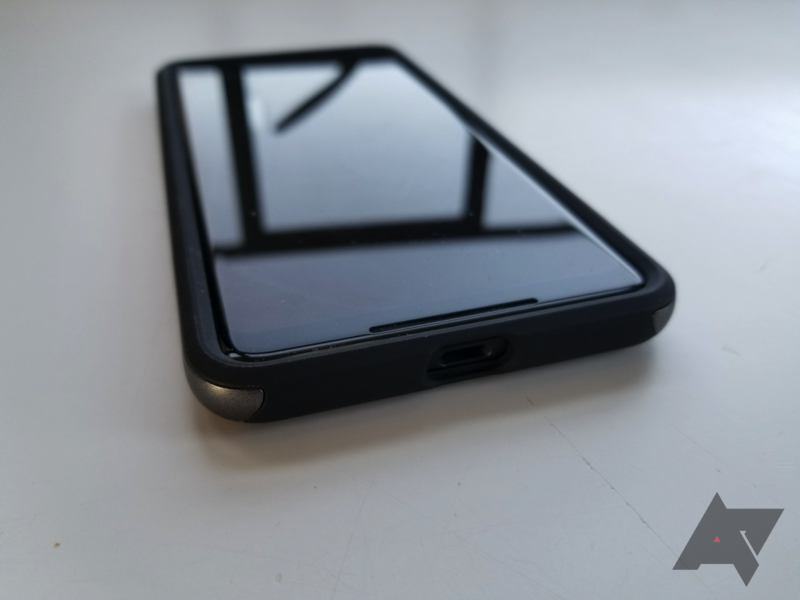 However, all this rubber does make putting your phone into your pants pocket a bit more difficult, and it may not even fit in smaller pockets. But that's the trade-off you have to make with a case this protective. Cutouts are all accurate, and the rubber around the fingerprint sensor hole actually makes scanning your fingerprint comfortable. Branding on the exterior is limited to a small 'Speck' logo on the top right of the back. If you're after maximum protection, I think the Presidio Grip is worth the $39.95/$44.95. 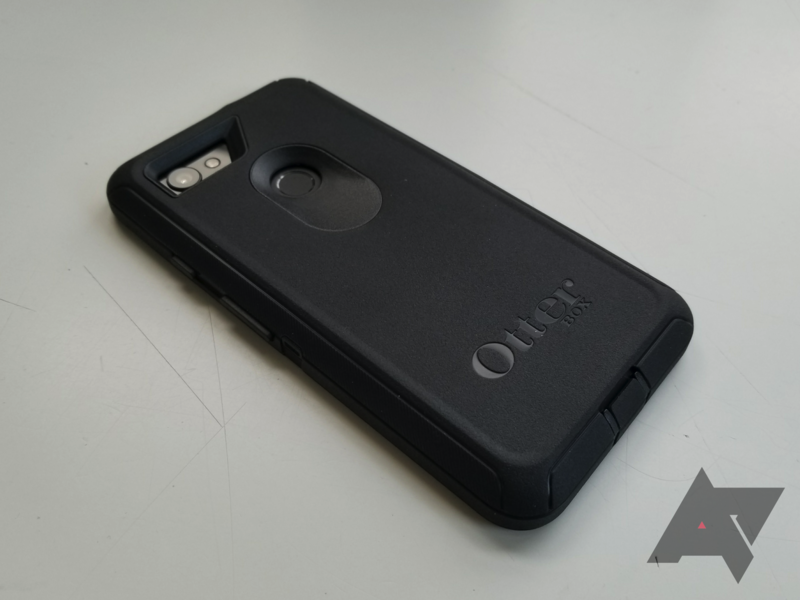 It's expensive, yes, but it manages to cram a ton of protection into a shell not much bigger than a regular case. It even comes in the glittery pink you see above (it's technically its own product called the Presidio Grip + Glitter)! In regular guise, it also comes in gray, dark blue (currently out of stock), and teal. However, Amazon is out of stock, so you may want to hit a local carrier store or Speck's site to pick one up. Recommendation: Buy it - it's a little pricey, but you get what you pay for. I've probably purchased more cases from Spigen in my many years as a smartphone enthusiast than any other brand. I'm sure you know why: the company consistently offers quality products at reasonable prices. Quite a few of those cases I've purchased have been clear ones, as I like to protect my phones from drops but still want to see their designs. 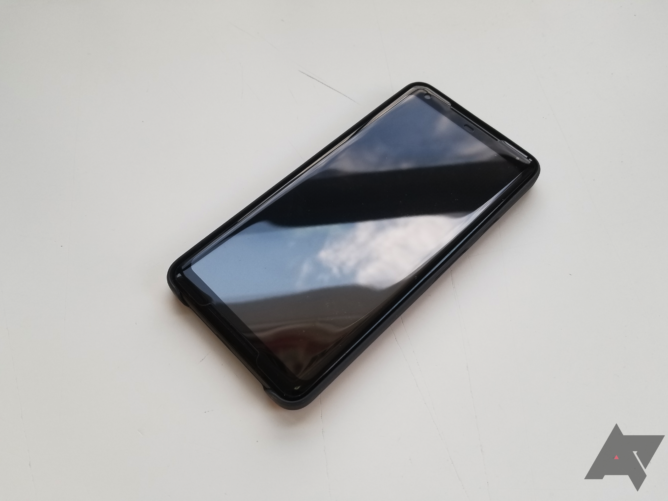 I'm usually pretty pleased, though this Liquid Crystal for the Pixel 2 XL has one slight flaw that might prevent you from purchasing it. Protection The Air Cushion technology and protection all around the phone are assuring. Price $10.99 makes it cheaper than any other clear case mentioned here. Rainbow effect There's a very clear rainbow effect going on, and while it does look cool, it's not ideal. Branding Clear cases are supposed to be minimal, but Spigen threw a little too much text on the sides. The Liquid Crystal is a well-made case for the most part. Buttons are among the best I've pressed; cutouts for the charging port, fingerprint sensor, and camera are accurate; and the TPU material feels nice in the hand. The Air Cushion technology traps a little bit of air in each corner to allow for less abrasive impacts. How do you know it's called Air Cushion technology, you ask? Because Spigen felt the need to put it on the top of the case in large white lettering, which absolutely should not be there on a clear case. 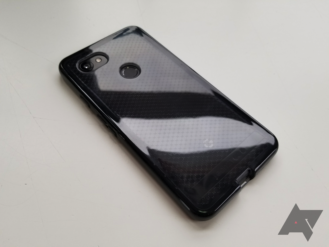 Sure, if you have a panda Pixel 2 XL, you might not be able to see it as well, but it's definitely there. There's some more 'Designed in Irvine, California - Made in South Korea' text on the right side. You're getting a little too talkative, Spigen. Spigen advertises a few things on its Amazon listings, both of which are pretty funny. The first is that the dotted pattern on the back prevents the rainbow effect. 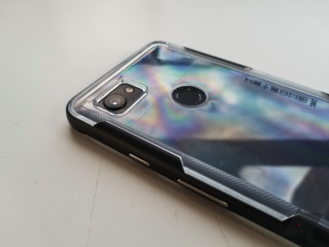 Well, I applaud the company for trying, but there's still a very noticeable rainbow effect (yes, the phone and case are both clean). The second is that you can put cards like your driver's license and credit card inside the case. I don't know who came up with this, but that's a great way to stretch the case out and even scratch the back of your phone up. 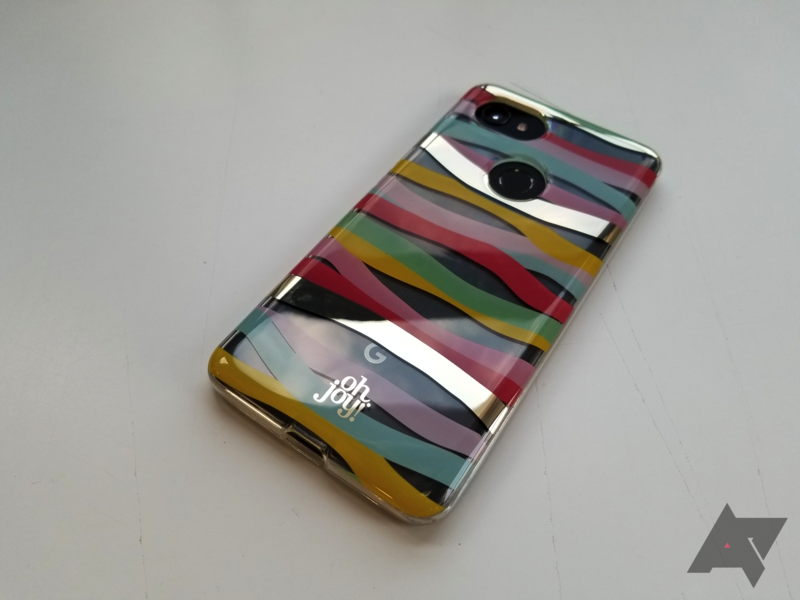 If you can live with the rainbow effect (I personally think it makes for an interesting look), this is a great case. If not, just keep in mind that it'll be pretty difficult to find a clear case at this price point that doesn't do that. 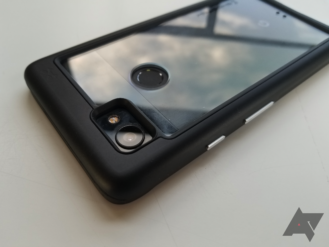 $10.99 (or $11.99 for the Pixel 2's) is not much money at all for an otherwise great case. Take it easy on the branding, though, Spigen. Recommendation: Buy it if you don't mind the rainbow-ness. Traditionally, I haven't been a huge fan of Spigen's Neo Hybrid line. The Neo Hybrids I had for both my Nexus 5 and Galaxy Note III had their plastic frames crack upon impact. Cases are supposed to protect phones, but they shouldn't self-destruct when dropped. But with the Neo Hybrid 'Herringbone' for the Pixel 2 XL, the quality seems to have been taken up a notch. Design The 'Herringbone' design is definitely unique, and I'm a fan. Materials The soft-touch frame and TPU layer make this comfortable to hold. Size Neo Hybrids have always been wide, and this one is no different. The first thing you'll notice about the Neo Hybrid Herringbone is the design. Like it or not, it definitely stands out from the crowd, even in this relatively drab gray/black color combo. Whereas Neo Hybrids' frames used to be made of hard, glossy plastic, this frame has a more matte look and a soft-touch feel. 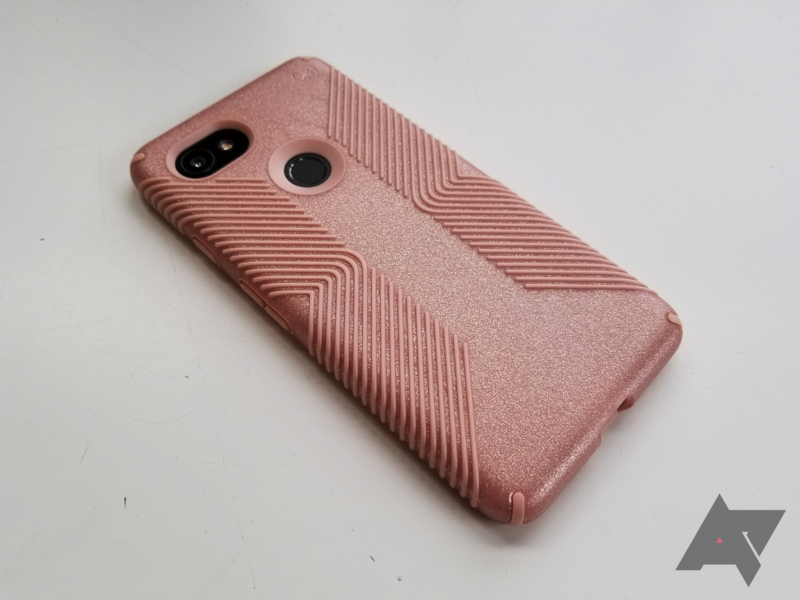 The TPU portion of the case features an interesting pattern on the back, further differentiating this as a case for those who want to stand out from the crowd a little bit. However, this frame does make the case a little bit wider than others usually are, meaning that the phone is a little more difficult to hold onto. It's really a minuscule difference on paper, but it feels like much more in the hand. If you have small hands, stay away. The rest of the case is great. 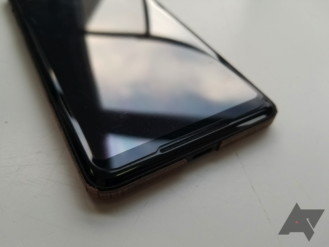 Buttons are clicky and easy to press, there's a nice lip around the camera to prevent it from getting damaged, and the fingerprint sensor cutout slopes down to meet the sensor perfectly. The front lip is higher than a glass screen protector, should you choose to use one. There's a bit of branding (the 'Spigen' on the back and the 'Neo Hybrid' on the frame), but it's pretty subtle. 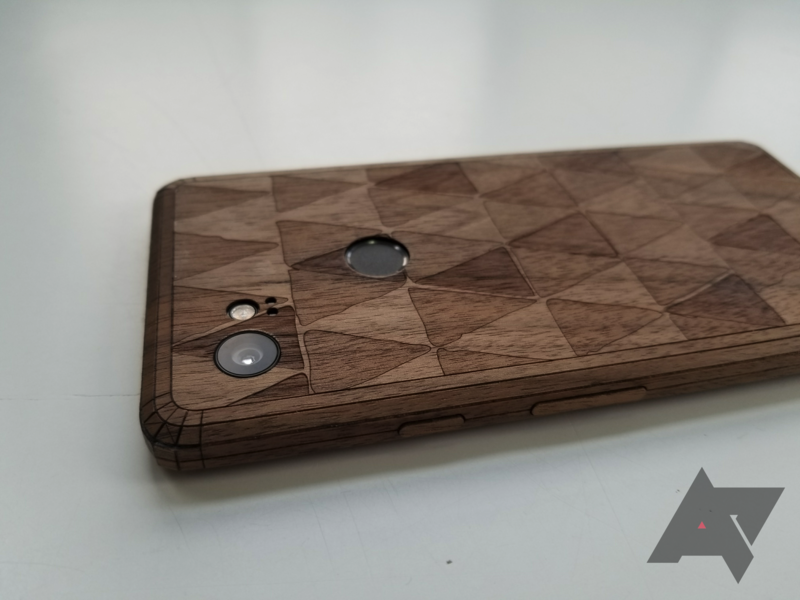 All things considered, this is a nice case with an interesting design. 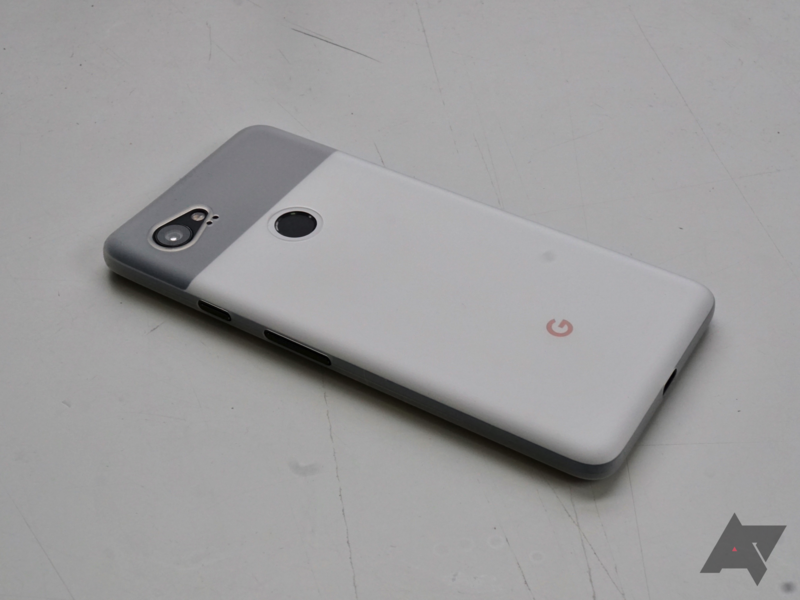 $16.99 ($15.99 for the Pixel 2) won't break the bank, though I'd stay away if you have smaller hands purely because it is a bit wider than most other cases of this caliber. It sounds silly, I know, but I have fairly large hands and the phone legitimately feels larger and a little harder to hold with this case on. It also comes in 'Kinda Blue' for an extra dollar, if that's more your speed. Recommendation: Buy it if you've got large hands. 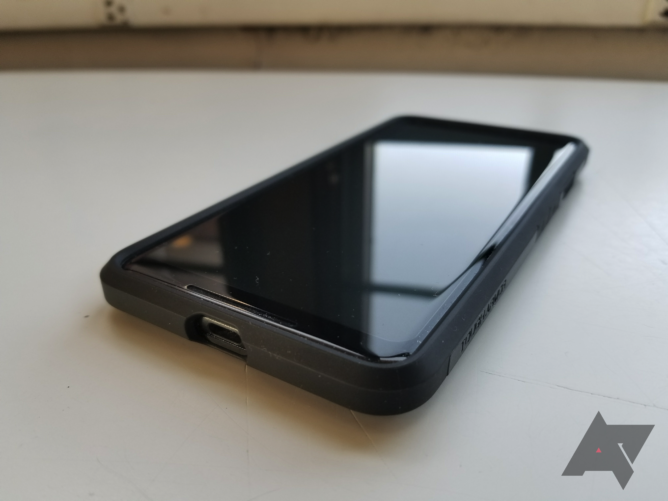 The Rugged Armor is one of Spigen's newer product lines. 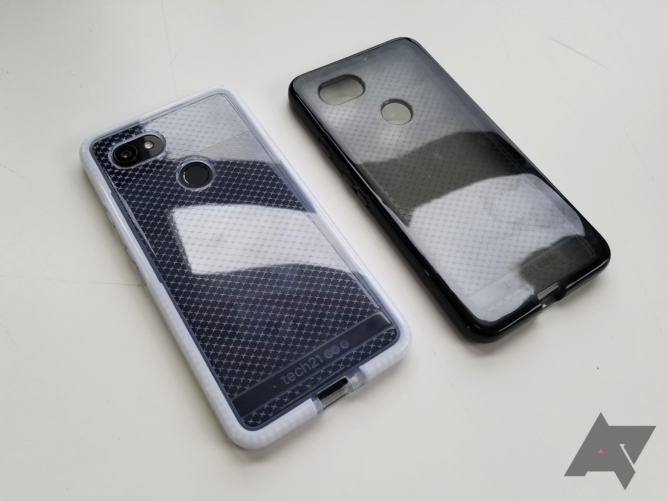 These cases are easily identifiable by the two strips of faux-carbon fiber on the top and bottom. But while they're simple for the most part, that's all most people really need. 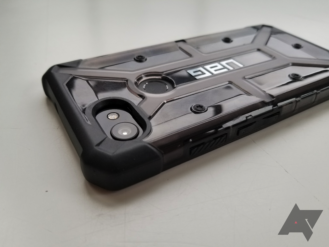 If you just need a case (and maybe a little bit of added carbon fiber flair), the affordable Rugged Armor is a great choice. Materials The TPU is fingerprint-resistant, and the faux-CF has a nice texture to it. Price $12 will not break the bank. Materials (again) If you have dry hands, this case's material will make them feel even drier. Let's start off with those little fake carbon fiber inserts, since they're the first things you see. There's one on the top and one on the bottom, and each features a satin finish with a subtle texture. I'm usually not a fan of imitation materials, but this is pretty well-done. It doesn't look like they'll ever start peeling up. There are also some gloss accents around those faux-CF pieces, which is a nice touch. 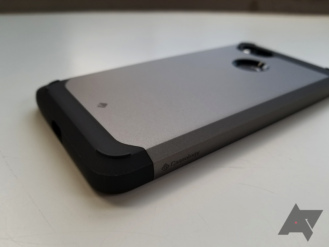 The material of the rest of the case is TPU with a matte finish on top. This finish does a fantastic job of resisting fingerprints and keeping the case clean, but if you have dry hands (like many do at this time of year), it also makes them feel even drier. I'm not sure how exactly to explain this, but it's just not very pleasant to hold for me. Going through the rest of the qualities required to make a good case, the Rugged Armor passes them all with flying colors. Cutouts are precise and well-sized, buttons are nice and tactile, and branding is minimal. 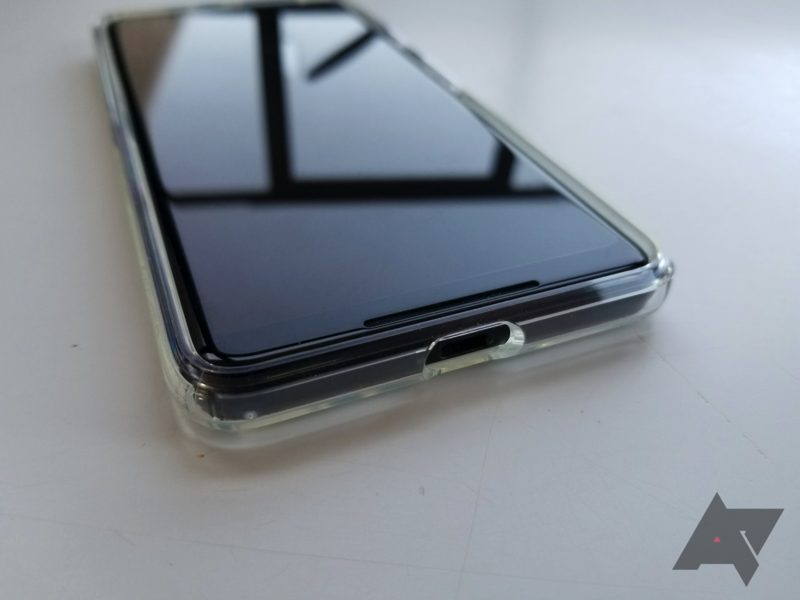 There's a subtle lip up front, and it's enough to clear a glass screen protector when laid face-down. The case itself feels more taut around the phone than most other cases I've used; it fits like a glove, which can't be said about some other cases. This sounds like a strange stipulation, but if you have dry hands, you may want to stay away from purchasing this. The price point is great, as is the case in general, but the feel is keeping me away from using it on a daily basis. Given the incredibly stout 4.9/5-star rating on Amazon, I could just be crazy. 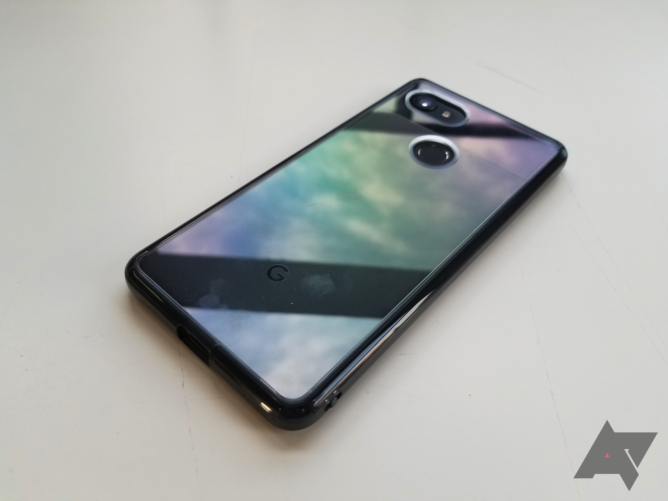 If you do want to purchase one, they're currently $11.69 a pop for the Pixel 2 XL and $12.99 apiece for the Pixel 2. Recommendation: Buy it if you don't have dry hands. If you're the kind of person who doesn't drop his phone often and just wants a bit of protection from scratches, the Thin Fit is for you. 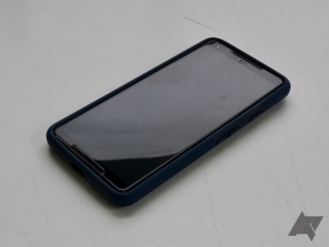 As you might be able to tell from the name, this is the thinnest case that Spigen offers. It's practically just a plastic shell, and it doesn't even have buttons - just cutouts. 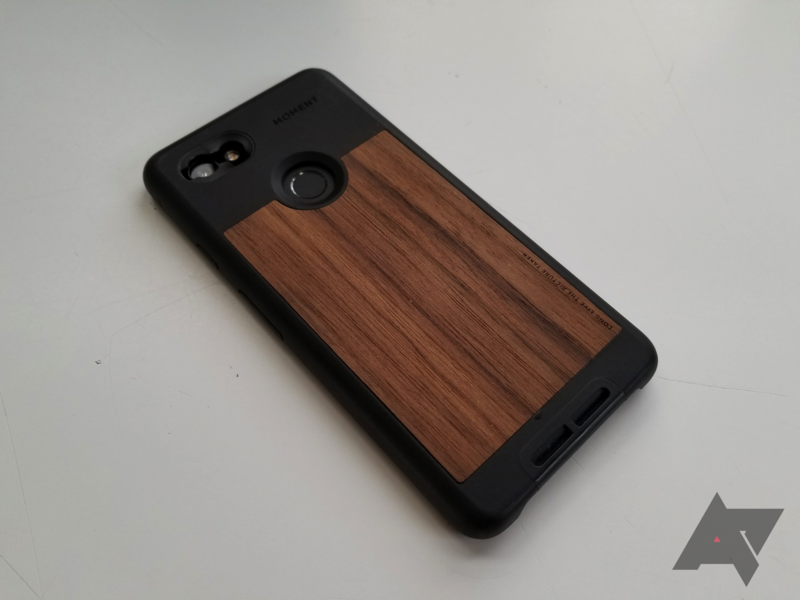 It offers a little less coverage than I've come to expect, even from previous Thin Fits, but it's still probably one of my favorite cases. Size It's barely there. It almost feels more like a skin than a case. Magnet insert I don't know why more cases don't have this. Protection The top and bottom are both exposed, and the entire thing is just a thin piece of hard plastic. Finish Fingerprints are collected very easily. As a case, the Thin Fit is less than ideal. It's pretty much just a hard plastic shell. The top and bottom are both exposed to the elements, which could be fatal in the event of a drop. For the sake of minimalism, it doesn't even have buttons - just cutouts. Yet in spite of all this, I still find myself using it pretty often. 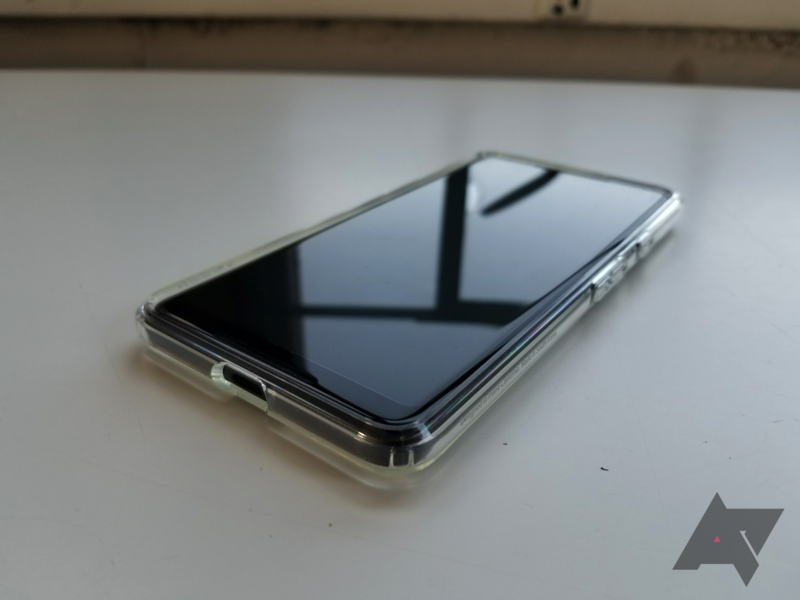 Whereas the Thin Fit for the Galaxy S8 (and probably other phones) covered all the edges, this one leaves the top and bottom wide open. Thankfully, the case does wrap around the bottom half of the phone, but you're still screwed if your phone falls the wrong way down. The button cutouts aren't my favorite since the case's frame gets a little in the way of them, but I still prefer them to spongy buttons. 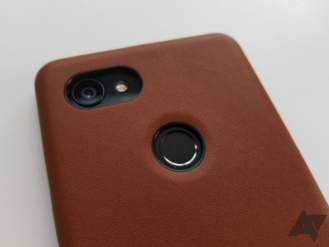 The cutouts for the camera and fingerprint sensor are precise, adding to the general look of the minimalist case. 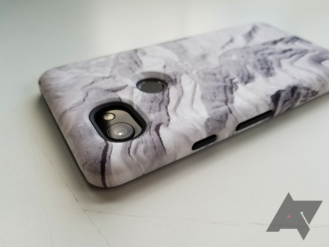 The case's finish has a soft-touch feel to it, which makes it feel great in the hand, but it does collect fingerprints very easily. When it's clean, the case looks great, but it dirties in virtually no time. Touch it, and you'll see an oily mark, even if your hands are clean. It's a little irritating, and you'll probably find yourself wiping your case on your shirt a lot more. But the main reason I love this case is the little insert for a magnet it has inside the back. Buy one of Spigen's car mount kits (other manufacturers' should work too), stick the magnet in the back and then mount on an air vent in your car, and you'll be able to just place your phone and drive. I don't know why more of Spigen cases don't have this, because they really should. It's just so convenient if you don't have a car with a multimedia system or Android Auto. Obviously, this isn't a protective case, but it's not marketed as one. You can tell that it's meant for people who just don't want their phones to get scratched, and not those who work on a construction site. The Pixel 2 XL is already large, and this case prevents it from becoming even harder to hold. The recess for the magnet is the cherry on top. And at just $11.99 for each, you can afford to buy another case if you know you'll be going somewhere you need a little more protection. Recommendation: Buy it if you don't need much protection. When you label a case 'Tough Armor,' you set some pretty high expectations. Luckily, as the beefiest case Spigen produces, it does live up to that name. 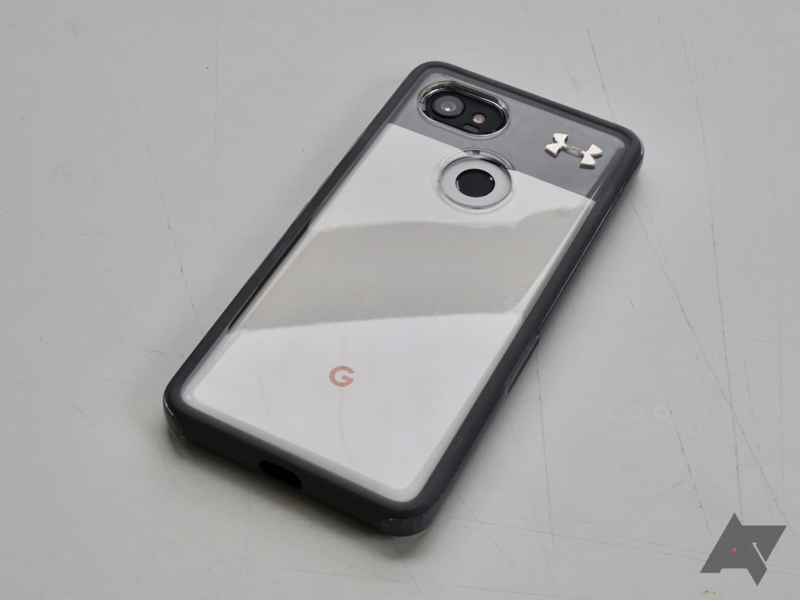 The Tough Armor for the Pixel 2 definitely lives up to its name, both in terms of protection and aesthetics. Plus, that kickstand is incredibly useful. Protection The dual-layer, full-coverage protection is very confidence-inspiring. 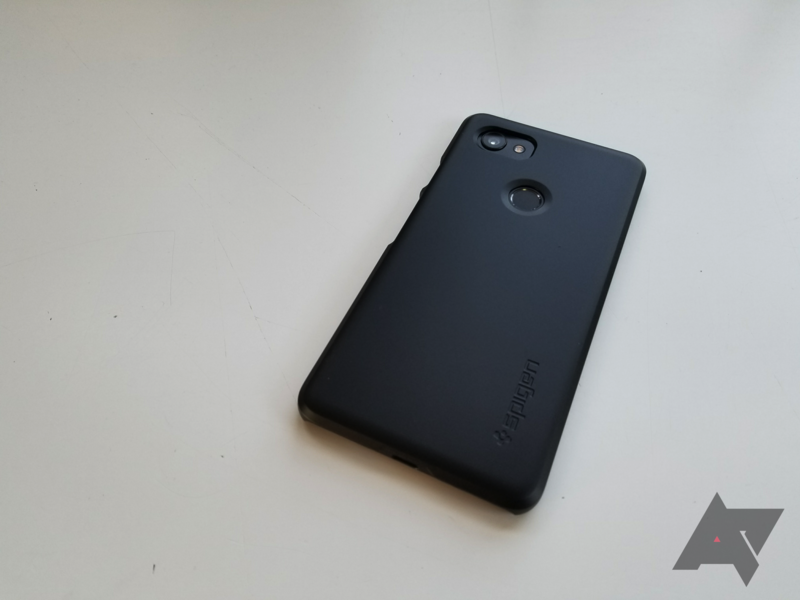 Design Spigen has managed to make a protective case good-looking, something that some other manufacturers can't say. Kickstand Every case needs one of these. Finish Like the Thin Fit's, while it feels good, it collects fingerprints easily. The Tough Armor manages to combine good looks with a lot of protection. You can tell that it's beefy, but it's all contained within a modern body. It's a dual-layer case, with a thick layer of TPU wrapping around the phone and a hard plastic soft-touch panel that seems to be made out of the same material that the Thin Fit is. That means that while it looks and feels good, it attracts fingerprints like flies. 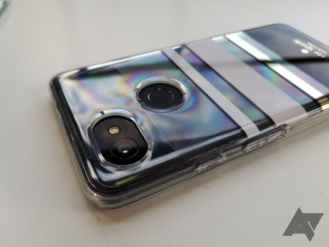 The two pieces combine to form a sort of beveled edge on the side, which is a nice stylistic touch and one that Spigen's been doing for a while. 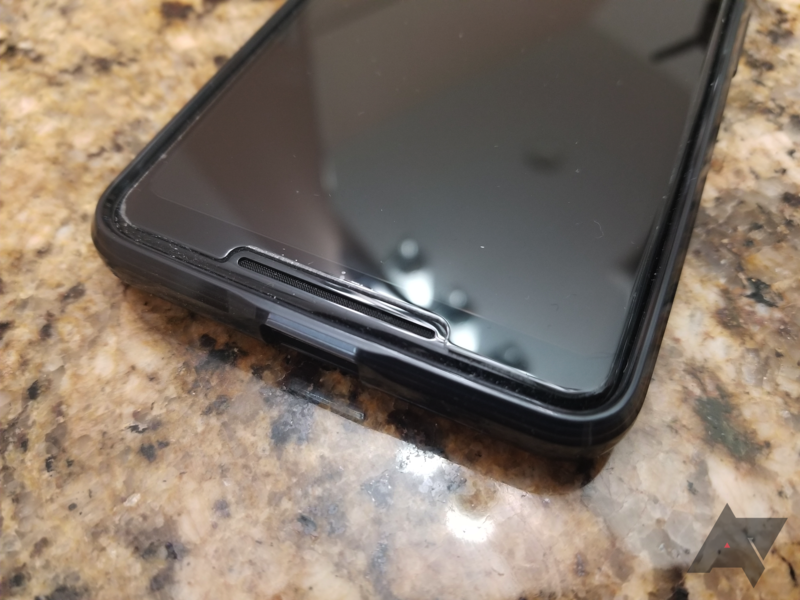 Buttons here are different from those on any other Spigen case. The power button is ridged, keeping it from getting confused with the volume buttons. 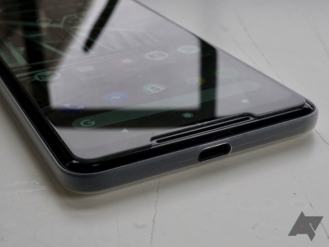 The volume buttons don't actually protrude from the body like most do, but because they wrap around the side of the phone, they're still easy to press and tactile. 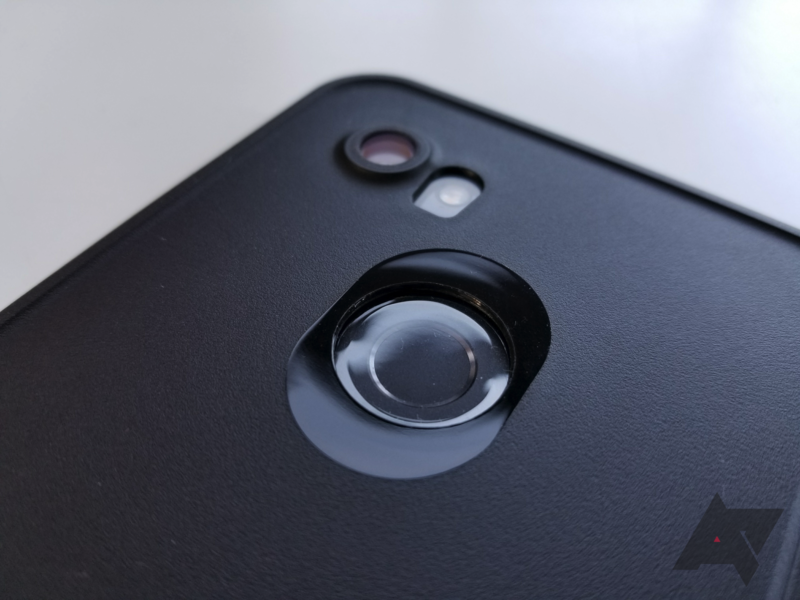 There's nothing too noteworthy about the fingerprint sensor and camera cutouts, though the recess for the fingerprint sensor does have a glossy accent. All that is well and good, but my favorite part of the case is the kickstand. It's easy to open (as long as you have at least some fingernails) and can be set up at 110-degree and 150-degree angles. For such a simple little plastic addition, it makes a huge difference for multimedia consumption. These need to be on every case. 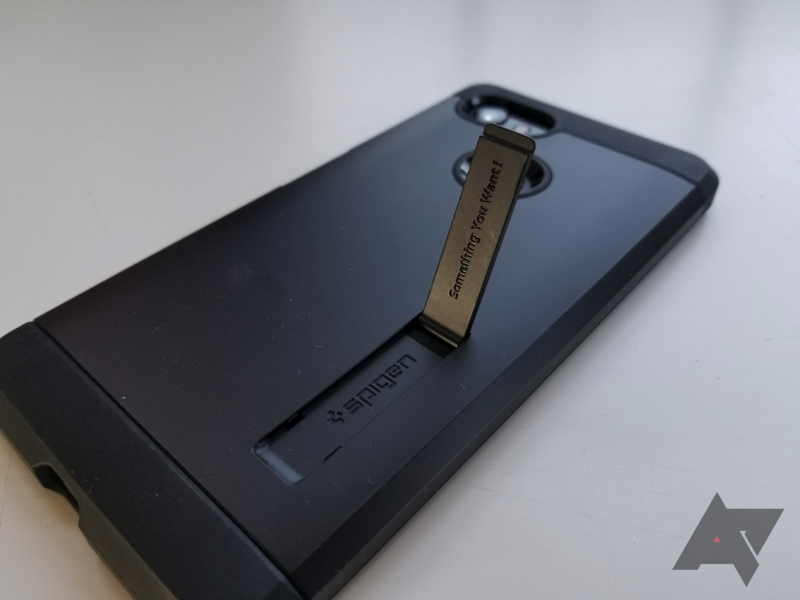 Speaking of the kickstand, there is some small 'Spigen' branding on it... and under it... and Spigen's slogan, 'Something You Want!' on the bottom of the kickstand. The only other bit of branding is some small 'Tough Armor' text on the right side. Long story short: the Tough Armor is a great case. It's virtually flawless aside from the finish getting a little too grimy too quickly. 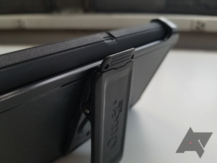 The kickstand is something few other cases have, for whatever reason. 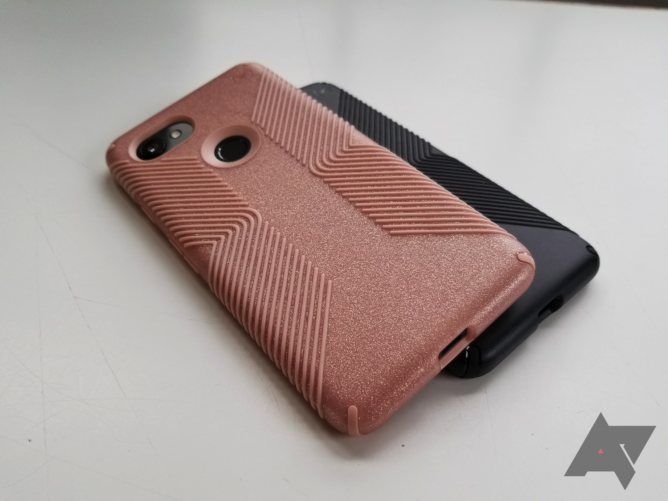 The Tough Armor costs $16.99 for the Pixel 2 and $17.99 for the 2 XL. To get the gunmetal finish (I have the black) which I'd imagine would hide fingerprints better, you'll need to pony up an extra dollar. The price is on the high end for Spigen, but it's still very reasonable. Recommendation: Buy it - it has so many things going for it. I've had a few tech21 cases over the years, and they all follow the same basic design: a clear back with a pattern, plus a colored frame. 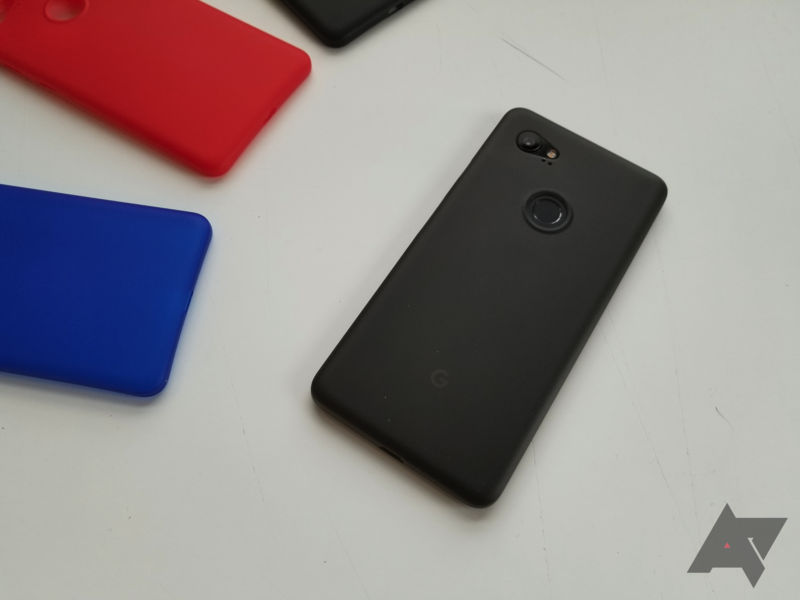 The Pixel 2 versions use the exact same formula, and while the result isn't bad, it's certainly not worth the $39.99 (add $5 for the XL) tech21 charges. Protection All four corners and edges are covered by a thick layer of TPU. Design There's no rainbow effect on the back like many other clear cases produce - for the most part. Fit and finish The material stretches in an odd way around cutouts, which makes for a less-than-premium feel. Price These are not worth $40-45. I wouldn't even pay half that. The EVO CHECK features either a clear back and white frame, or smoked back and black frame. I received both for testing, and I'm really not sure which I prefer. The backs are smooth on the outside, but ridged on the inside from the little 'x'-shaped pattern, which tech21 calls a 'check' pattern, in order to prevent the rainbow effect that tends to happen with clear cases. This is effective for the most part, though you may see some discoloration around the fingerprint sensor, camera cutouts, and branding at the right angle. 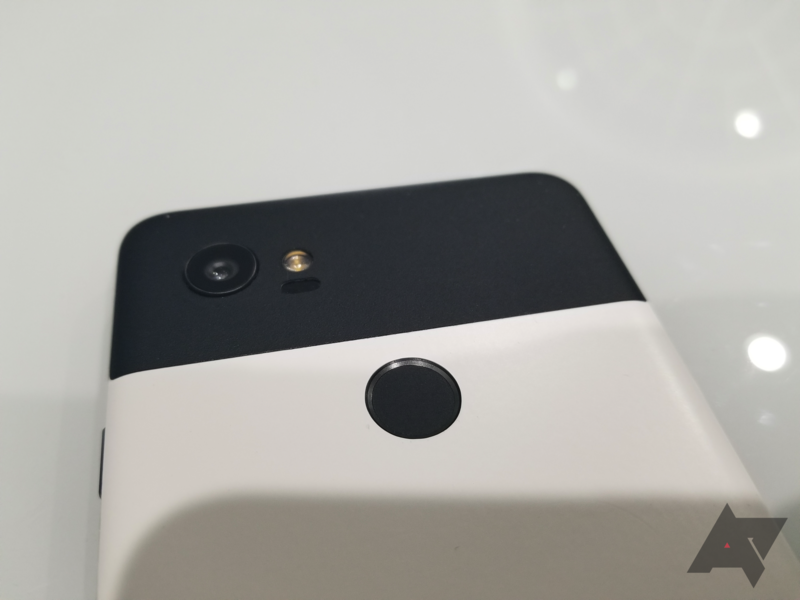 Speaking of those cutouts, they're not very well-done; the one for the camera isn't centered properly, and I noticed the one for the fingerprint sensor would sometimes become misshapen. Luckily, neither issue interferes with use of either function. There's a bit of tech21 branding near the bottom, which I don't mind. Looking from the front, the case looks a little strange around the cutouts, where there are little gaps in the white/black color with plain, clear TPU. You might not mind this, but it looks a little lazy to me. The buttons are of this clear variety as well, and they take much more effort than they should to push down. The back is very vulnerable to fingerprints, which is true of every other clear case. It's difficult to put on and take off, and fits very tightly around the phone. The only saving grace for this case is its FlexShock technology, which features small ridges within the thick border aimed at dissipating energy when the phone is dropped. I would trust this case if I dropped my phone in it, but I'm really not a fan of anything else about it. That's not to mention the $39.95 price tag for the Pixel 2 and the $44.95 price for the Pixel 2 XL. Quite frankly, with all of this case's flaws, I would hesitate to pay half that amount. If you do want one, though, keep in mind that Amazon only sells the clear/white variant for both phones. Recommendation: Don't buy it - it just feels cheap. 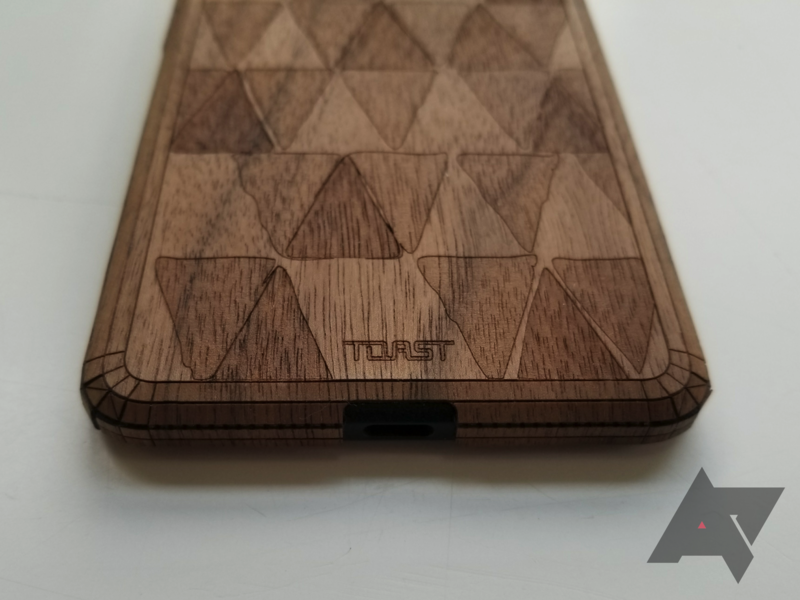 Toast has been producing laser-cut wood covers for phones for some time now, and it's pretty much the only company that does so. However, I've never actually tried one - until now. 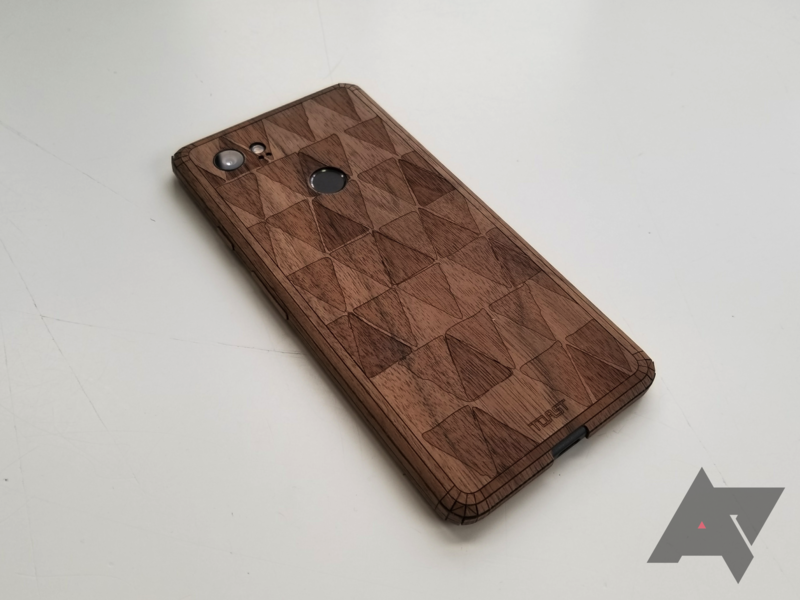 I was sent a cover in the standard wood finish with the Triangles design. Though it's definitely something that nobody else on the street will have, the cons outweigh the pros (for me, at least). Uniqueness I doubt you'll see someone else with wood stuck onto the back of their phone. Customization There are a ton of different designs you can choose from, and even further personalization if you're willing to pay up. Comfort It just doesn't feel nice in the hand, with all the sharp wood edges poking you. Price $40 is the base price for one of these, and the price only goes up from there. Use Once you put it on, you won't be able to use any other cases. Take it off, and there's a good chance it'll rip and become useless. Installation is simultaneously straightforward and tedious. It's straightforward in that you should simply be able to line the camera and the flash up, then fold the edges down to surround the sides of the phone, but it's a lot more difficult in practice to get these all lined up and centered. This was not helped by the adhesive's backing having tons of little circles stuck on the adhesive, meaning that I had to painstakingly remove each one (first-world problems, I know). 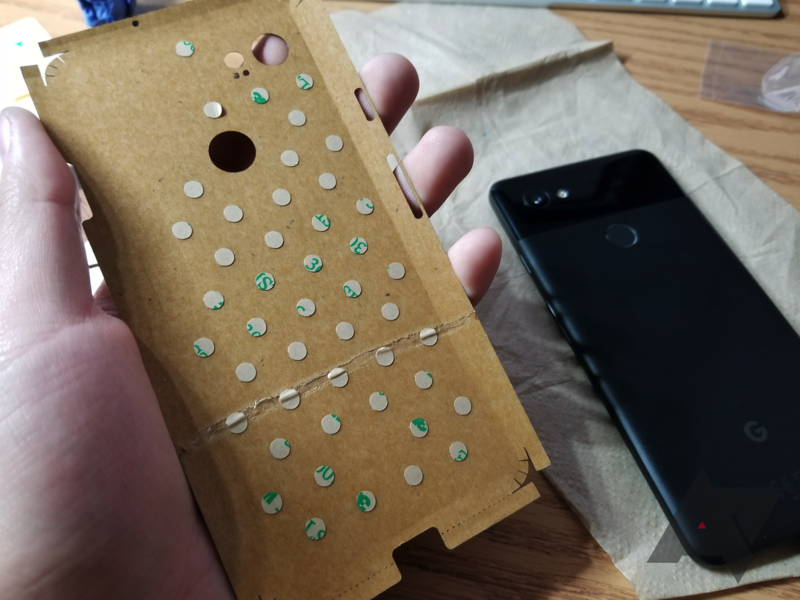 After finally somewhat centering the skin around the USB Type-C port and having all the corners line up, which took about 20 minutes, then applying the little wooden buttons included on a separate sheet (which was pretty easy), I was finished. The final product ended up pretty nice for the most part, though I did have one corner that refused to fully adhere to the phone. The triangles on the back demonstrate a level of craftsmanship that can't be found on a plastic case, and the Toast branding on the bottom is subtle. I wasn't able to install the front skin due to the glass screen protector I had, but I wouldn't have done so anyway as it makes the screen harder to swipe on. The cutouts for the camera and the fingerprint sensor, as well as those for the buttons, were accurate. 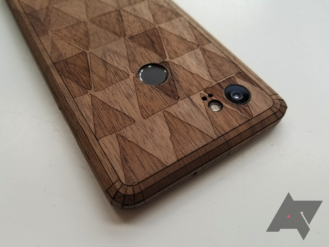 The design definitely made the phone eye-catching, but I had a hard time dealing with all the sharp corners that inherently come with wood products. I also just wasn't a fan of not having any real protection on my $900 phone. Sure, the Toast cover is thicker and more protective than a vinyl skin, but still significantly less so than an actual case. While a vinyl skin can still somewhat fit underneath a case as long as it's not too tight, the same can't be said for this wood skin. Since I had more cases to review, I had to take the Toast cover off. I tried to remove it as carefully as possible in hopes that I could maybe reuse it down the road, but the bottom part of the skin ended up ripping cleanly off due to the strength of the adhesive used. Thankfully, the only adhesive left behind on the phone was on the volume rocker; however, this was easily scraped away. Toast warns in its instructions that trying to pull the button covers straight off may drag the actual button off with it, and that's what happened to my power button. Luckily, it snapped back in without issue, and I pushed the button cover away from the side. 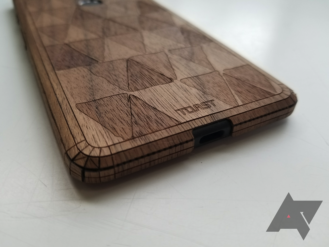 Unless you really like the look of the wood cover (which is definitely understandable, as they do look good), I would hesitate to recommend a Toast cover. They're pricey, uncomfortable, can't realistically be reused, don't provide much protection on their own, and can't be used with cases. At $40 for just the back (with a design, if you'd like) before any additional personalization, this is definitely a niche product. Nevertheless, I applaud Toast for continuing to produce these for those who want their phones to stand out of the crowd. Recommendation: Don't buy it unless you really like the wood look. 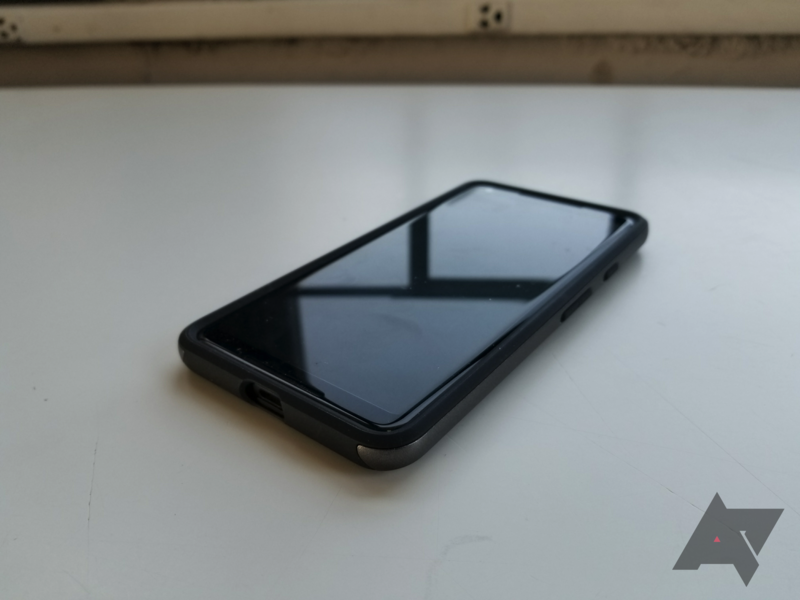 Urban Armor Gear is no rookie in the case game, and its latest Plasma case for the Pixel 2 and Pixel 2 XL illustrates that - for the most part. 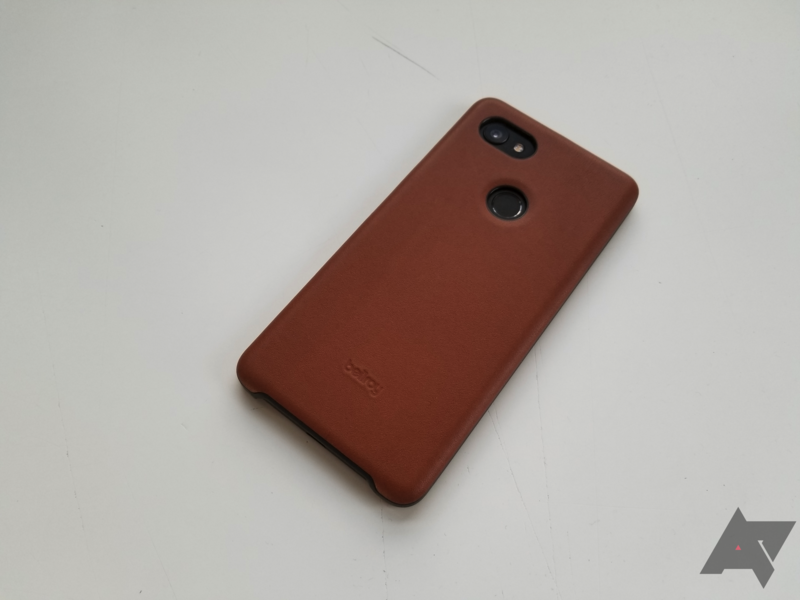 The unique, rugged look is a love it or hate it kind of design, and while I'm a fan of it and the case overall, I just can't stand using it because of one stupid flaw that could have easily been avoided. Design It's certainly unique, with its honeycomb pattern, imitation screws, and giant bumpers. Power button This one button is so poorly designed that it's downright annoying. I hate it. Price $39.95 is pretty expensive for something that isn't perfect. 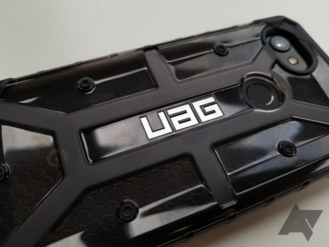 No other cases on the market look like UAG's. 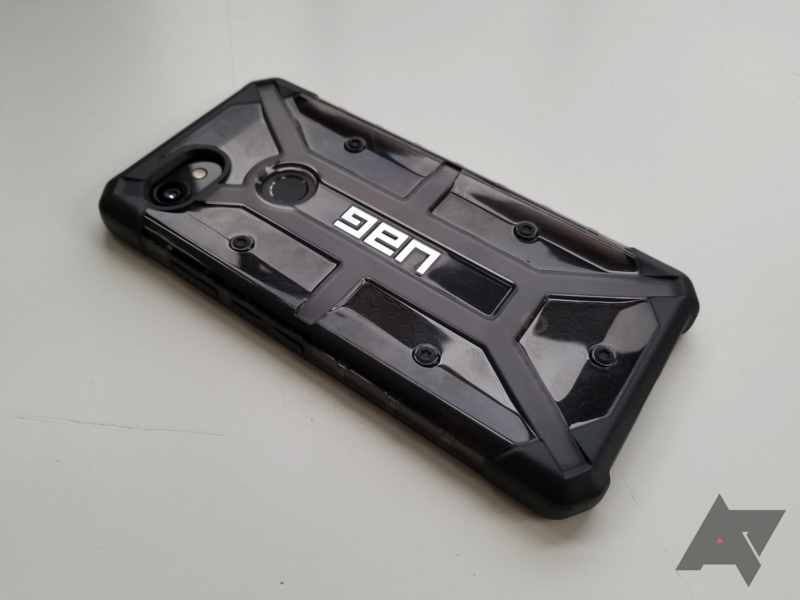 The back features a clear back with a honeycomb design that's topped by a giant plastic bug-esque plastic piece and some massive UAG branding. I have the 'Ash' color, which features a slightly smoked back when compared to the clear 'Ice.' The corners are heavily reinforced for maximum shock resistance, and there are fake rubber screws on the back that don't really do anything. There are also some plastic ridges on the side for added grip. This isn't the type of case that I'd ordinarily buy, but I can certainly see the merit in the design. It's rated for MIL-STD 810G drop resistance, so all this must come together to do something. 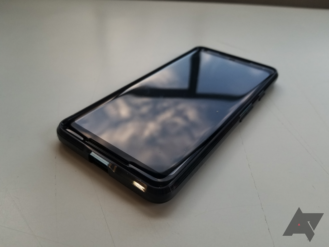 Cutouts are pretty good - the fingerprint sensor is perfectly accessible, the camera isn't blocked, and there's adequate space for a USB-C cable on the bottom as long as it's not massive. The lip is adequate, though a glass screen protector might end up being thicker than it. The volume buttons are tactile, if a bit too recessed. The power button, however, ruins the whole case for me. UAG chose to put a flap about twice as long as the actual power button, and it's hinged in the center. That means that you have to press directly on the center of the button to be sure that it'll turn your screen on and off. Press too far up or down, and the button simply won't activate unless you push really, really hard. It's an infuriating design, and I'd say that about 50% of the time I press the power button, I'm greeted with nothing. The case itself is also harder than it should be to install and remove. The Plasma is an average to above-average case for the most part, with the exception of the power button. Unless you're confident that you can hit the power button right in the middle every single time, I'd stay away. It's not like it was a great value at $39.95, anyway. 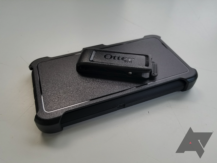 If you're really looking for a rugged case in this price range, consider the Speck Presidio Grip instead. Recommendation: Don't buy it - the power button issue is genuinely infuriating. As any avid smartphone user will know, it's getting increasingly difficult to find a glass screen protector that actually sticks to the phone with no issues. 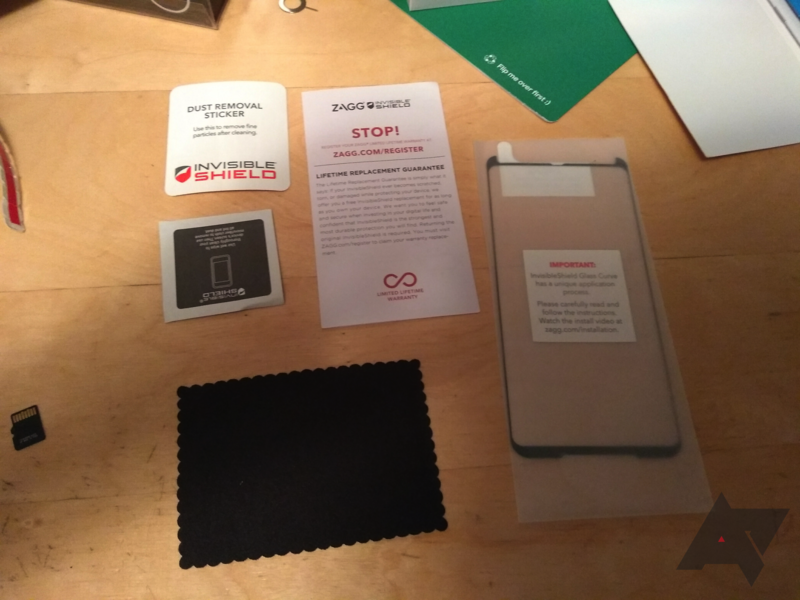 The ZAGG InvisibleShield caused terrible screen sensitivity, and I don't dare touch any of the cheap offerings on eBay. 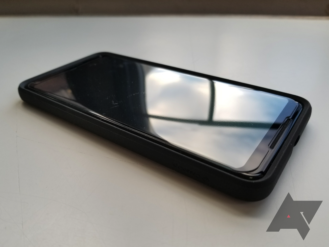 However, there is one company that screen protector enthusiasts have begun to flock to: Whitestone Dome. 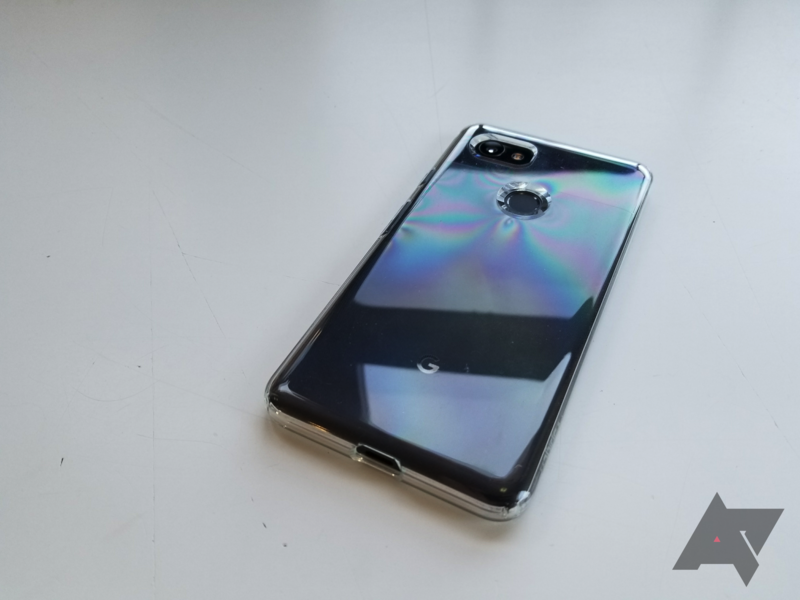 The South Korea-based company uses separate UV-dependent adhesive for its glass protectors, and it works wonders. Fit It's small enough to be compatible with almost all cases, but large enough so that it covers the entire screen. Installation Everything you need to install it is included, from the UV light to the plastic frame guide. It's bonkers how much stuff is here. Screen sensitivity Since the glass is actually adhered to the screen, you'll have zero instances of missed touches. Special powers It hides the scratches that were already on the phone. Price It hasn't been officially announced yet, but it won't be cheap. First things first: This screen protector is actually good. It requires a pretty complex process, more complex than I've ever had to go through for a screen protector, but it produces great results. The instructions are a bit hard to follow at times, and I did have to remove the glass from my phone and start over once, but I eventually was left with a near-perfect installation. You will have to set aside maybe half an hour to do it though, and you absolutely cannot rush it. 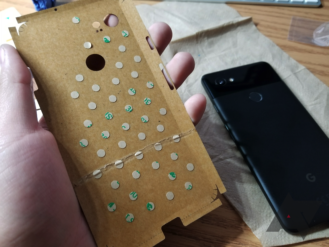 I won't go into too much detail on the process, but basically, you put your phone into the included plastic frame and make sure it's free of dust/oil/fingerprints there with the included alcohol pads and microfiber(s). You then prep the display by opening one of two small bottles of adhesive (the second one is there in case you mess up, which I did). 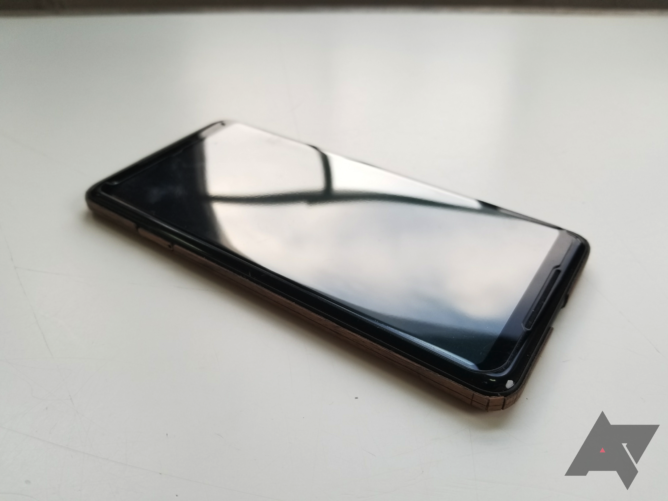 After you lay the glass down on the screen, you use the frame's built-in tilt function and let the adhesive naturally flow to the bottom of the screen. Then, you grab the included UV light and place it over the top and bottom for x amount of seconds. left: Note the bubbles on the right side of the screen. right: Lo and behold, the bubbles are still there. If you do mess up, do not put it under the UV light, as that activates the adhesive. As stated previously, there's a second adhesive bottle for this purpose. I went ahead with the installation my first time around and was left with bubbles everywhere. I'm embarrassed to say this, but I actually had to open a second kit because of this. The adhesive will wash off the glass before the UV, but not after. That being said, my final product did have a few issues. There are some areas on the edge where the adhesive didn't attach properly, but that's mostly on me for not properly cleaning the glass panel before putting it on again. The same is true for the area right above the bottom speaker, but that's because the plastic protector placed over the speaker (to prevent adhesive from getting on/in it) was placed a little higher than it should be. Maybe it's just common sense, but I would have liked for that to be more clear in the instructions. Recommendation: Buy it if you can spare the change. 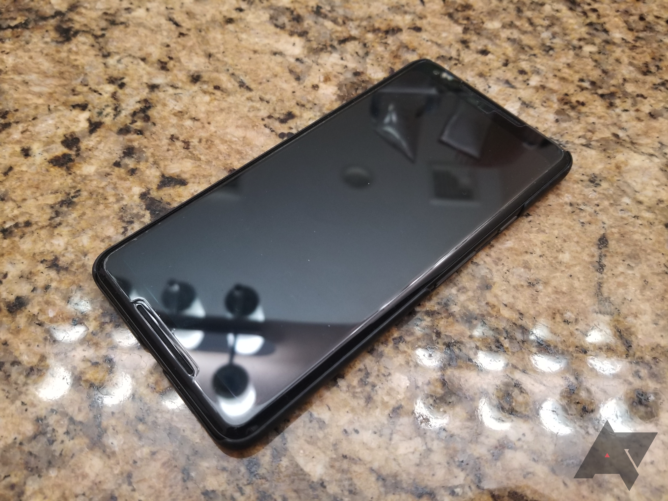 I was so looking forward to installing a glass screen protector on my Pixel 2 XL, given the $900+ that I had to trade Google for it. I've been using them for years and have installed a metric buttload, though in recent years, they've been getting worse due to curved screens. ZAGG is not immune to this, and its InvisibleShield Glass Curve made me realize I'd rather have no screen protector and risk scratching/cracking my screen than have a crappy one. Size It covers most of the screen, and the black borders hide any potential bubbles or dust. Screen sensitivity It completely ruins the ability to tap on the screen without forcing it down. Price $49.99 for something that restricts use of your phone? No thank you. I consider myself a pro at installing glass screen protectors, priding myself on making sure the screen is completely clean before gently laying the protector on. 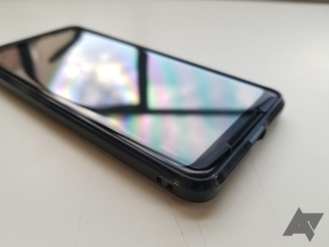 Yes, it's stupid, but I personally can't stand if the screen protector has even the teensiest bit of dust or if it's misaligned by half a degree. As a result, I was pretty proud of myself when I nailed the installation the first time. But while I was installing it, I noticed that only the edges had adhesive, much like (crappy) glass screen protectors I'd experienced in the past with phones like the Galaxy S7 edge and Galaxy S8+. I decided to give the ZAGG a shot anyway. Big mistake. Since there's no adhesive on the screen area, there was a giant gap between the screen and the protector. That completely ruins touch sensitivity, and I virtually had to push down on the screen to use the phone. I started to miss letters while typing and just have things not activate when I touched them. However, I still wanted to keep it on since I didn't want to scratch my screen up, and I thought that perhaps I'd get used to it. That didn't happen. I tried to keep it on for the sake of keeping my screen mint, but after about four days I took it off: I was just pissed off that I couldn't even use my screen properly. While using the phone in the rain, I even discovered that water had seeped underneath. After the water was removed and the screen dried, I was left with a noticeable mark. The potato quality of this picture represents my feelings about its subjects. I legitimately don't understand how a company could even approve a product of this quality for production. I'd always known that ZAGG products were expensive, but they were at least high-quality. But this InvisibleShield, which retails for $49.99, is the opposite of high-quality. It completely fails at being a screen protector, and I'd rather have no protection on my screen than have this thing on it. If I sound angry, it's because I am. I'm not sure how this made it past the prototyping stage, and I wouldn't even pay a tenth of the price for it. ZAGG has informed me that the reason I had problems with screen sensitivity on my InvisibleShield Glass Curve example could be the variances in glass curvature of Pixel 2 XL cover glasses from the factory. The Glass Curve is reportedly designed to fit most phones, but it seems like my Pixel 2 XL's display curvature deviates from the norm. In fact, ZAGG told me that only 4% of customers have complained about screen sensitivity; that's still higher than it should be at this $50 price, but it's understandable. 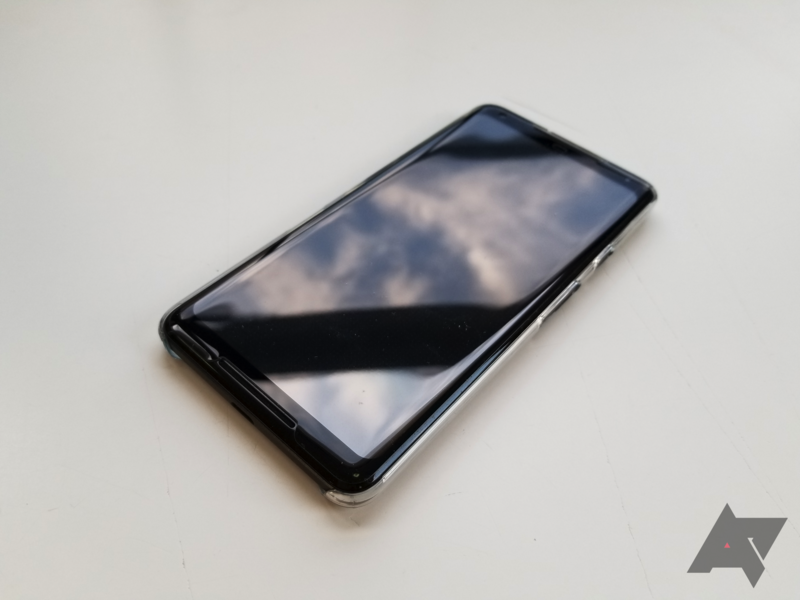 In the comments, three readers have said they're satisfied with their Glass Curves, whereas there's one other person who's had screen sensitivity problems as well. I still can't recommend the Glass Curve if it inherently won't fit some phones properly, but I will link their site if you'd like to take a chance. Recommendation: Don't buy it - it works for some devices, but it outright won't for others (like mine).